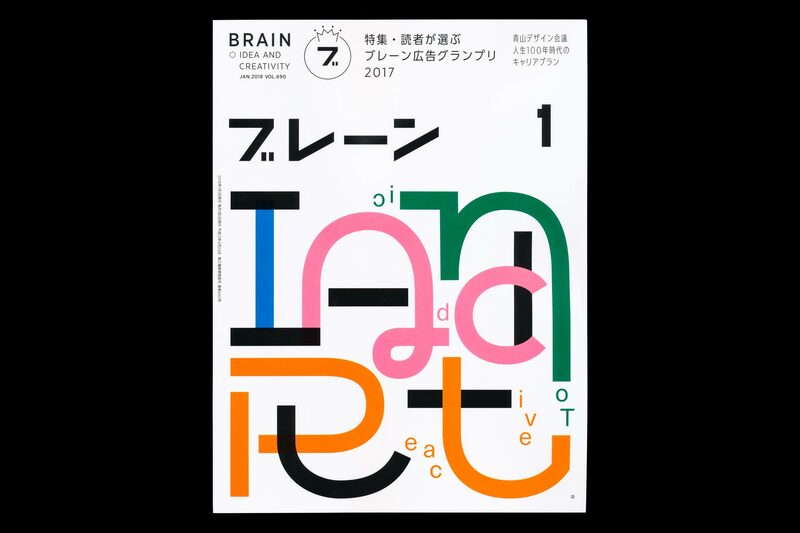 Cover design commission responding to the theme Creative Addiction and a short interview, for the January 2018 issue of Japanese BRAIN Magazine, published 1 December 2017. 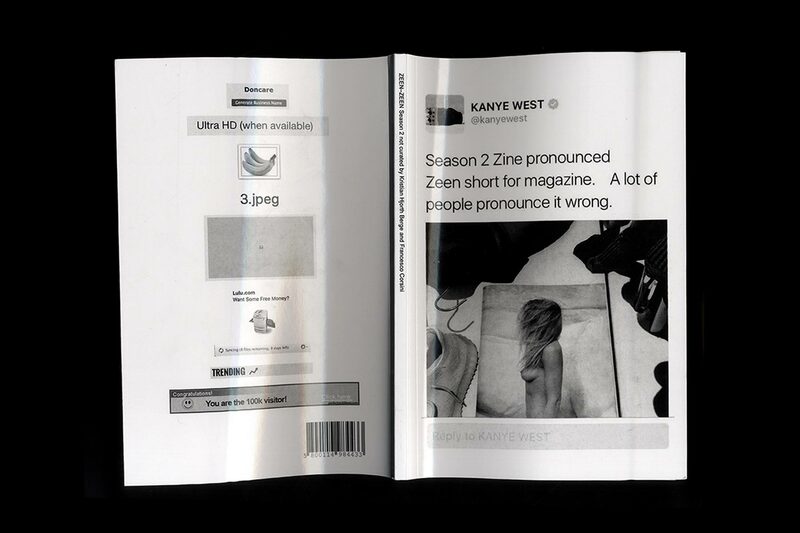 What is the idea for this cover? 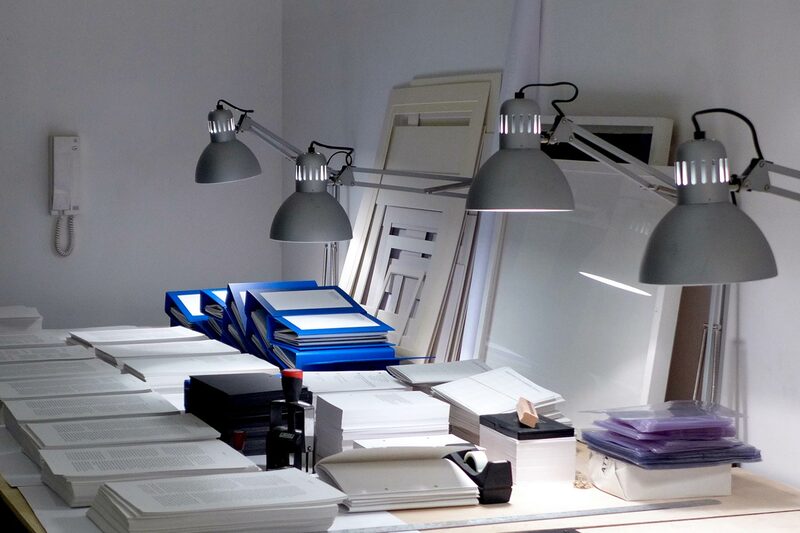 In our day-to-day work, we see the creative process as a continuous task of problem solving, much like a puzzle. 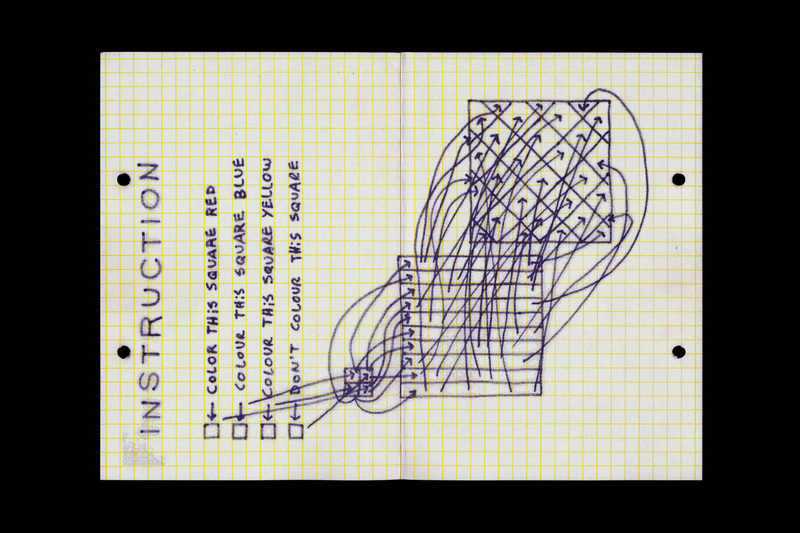 Starting with a brief, in this case just two words, from there somehow you have to find your way to some great final, unknown solution. 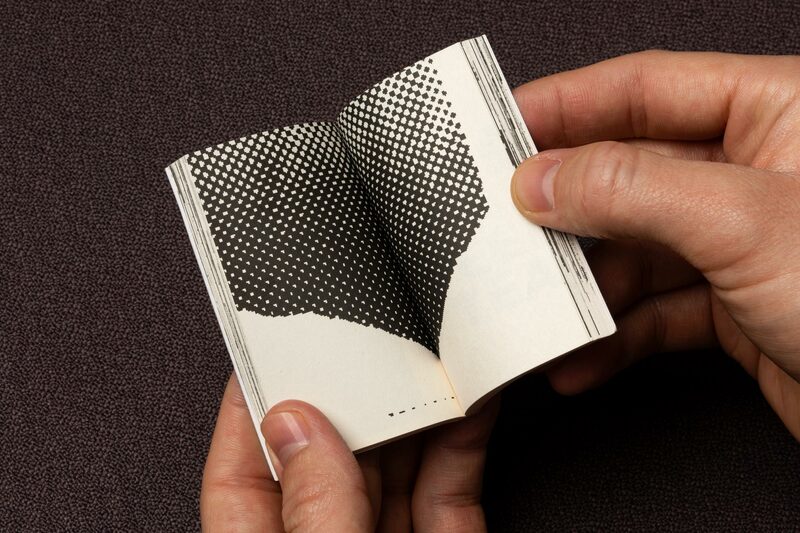 It can be a very daunting experience when you feel like you have to pull something clever out of thin air, seemingly with endless opportunities – but that makes it all the more exciting once you find a clue and start winding your way down a good path. 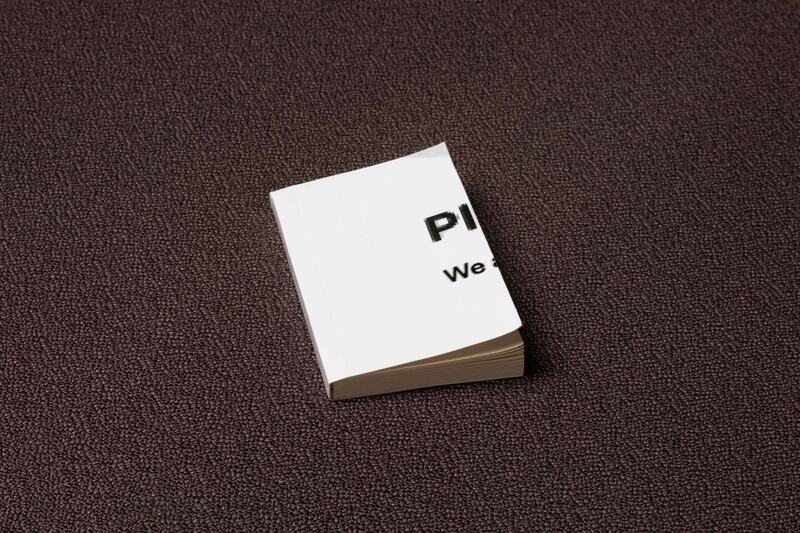 This addiction to problem solving is maybe what makes us “creatives” want to keep doing what we do. 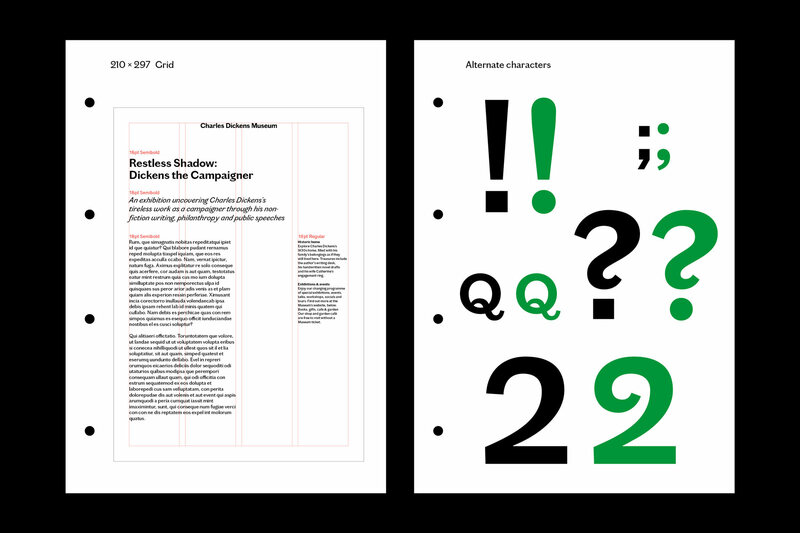 Our cover extends this problem-solving task to the readers, presenting them with a puzzle in several layers in a sort of reverse version of our creative process. 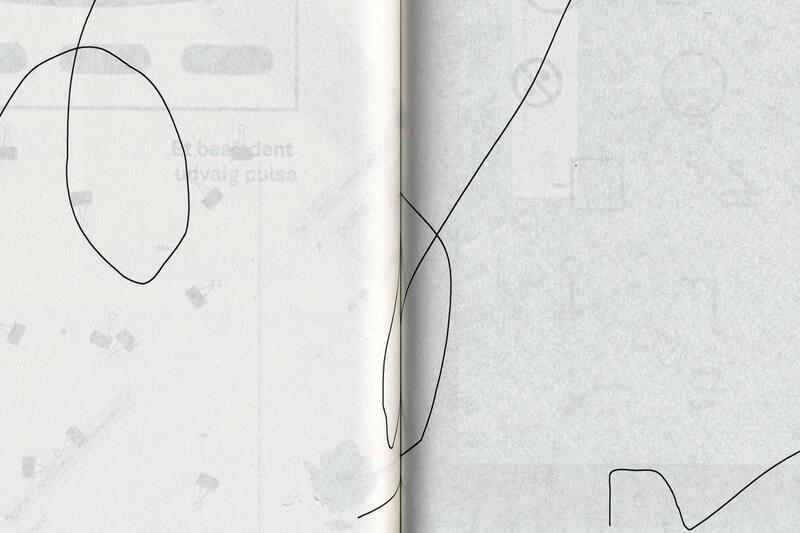 First, they need to decode the letterforms. 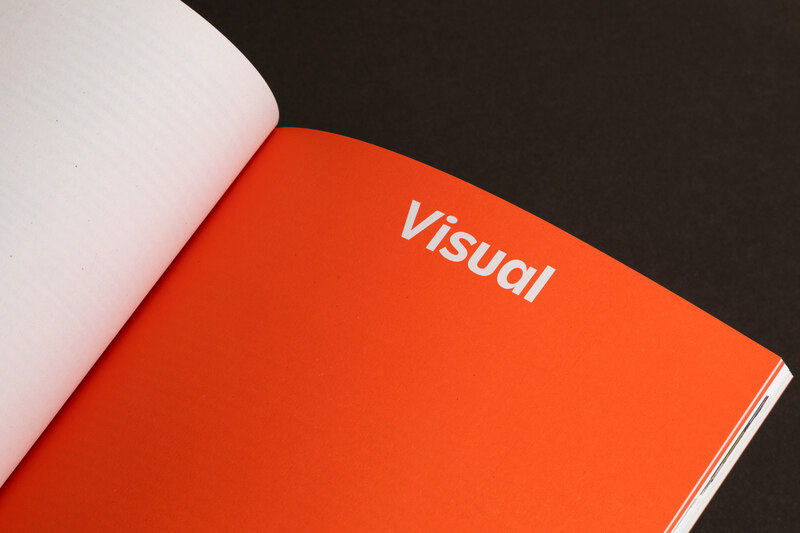 Then they need to understand the system of colour coding which ties the words together. 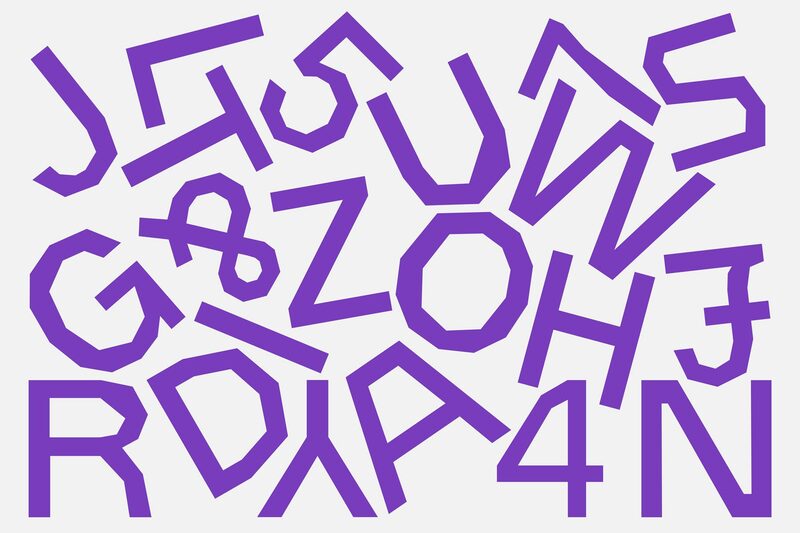 Once the individual words are readable, they can start trying to combine them into a sentence; “I add reactive tonic” seems like the best option, but it’s strange—because it’s an anagram. 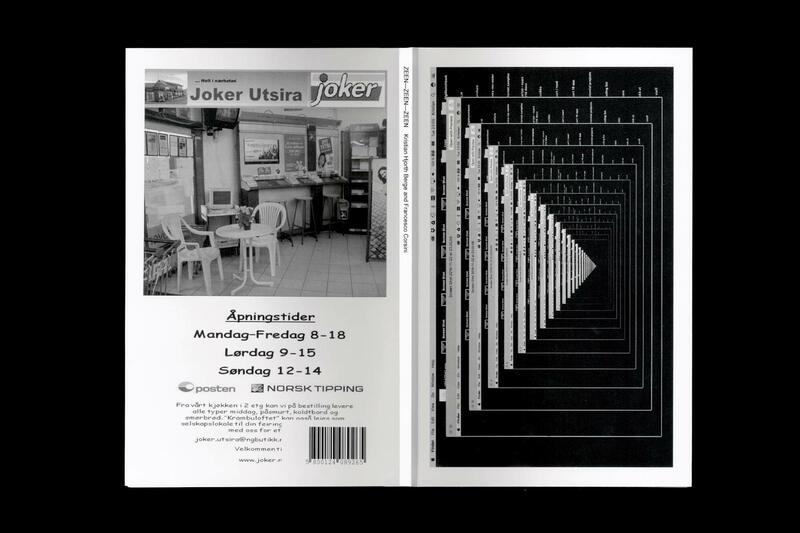 Arranged another way, the sentence reads “creative addiction”. 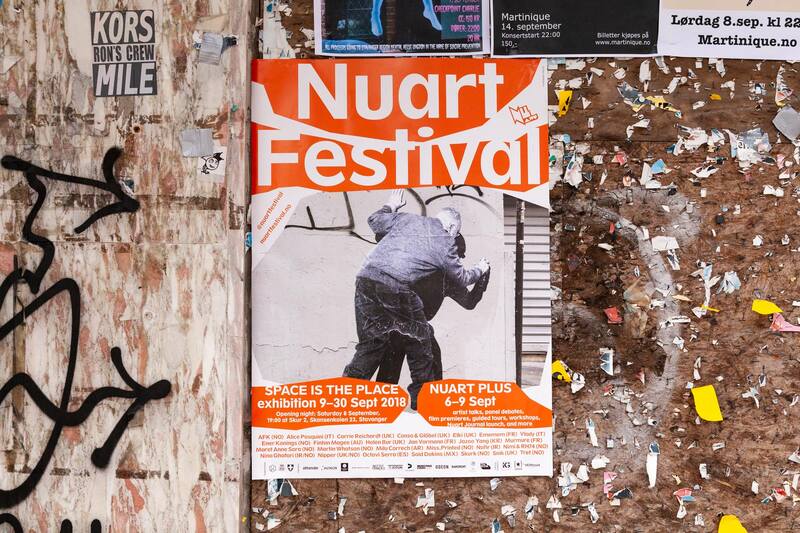 Over the past couple of years, we’ve collaborated with Nuart on a series of interventions. 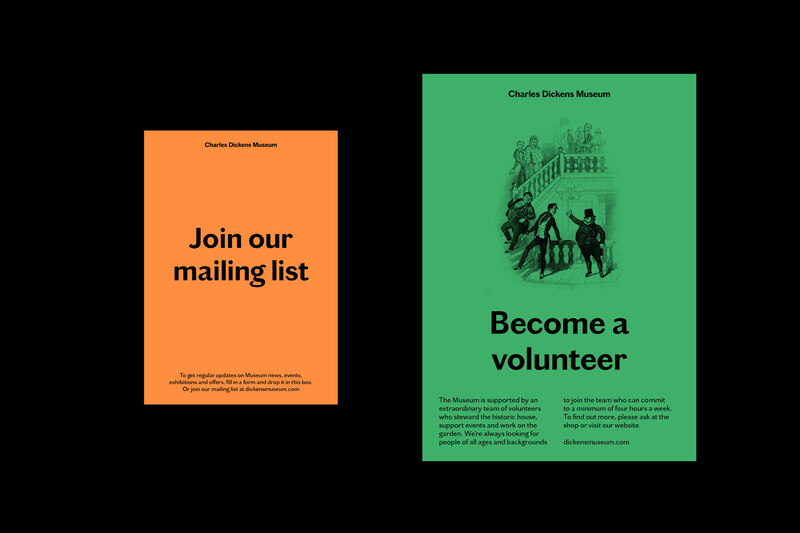 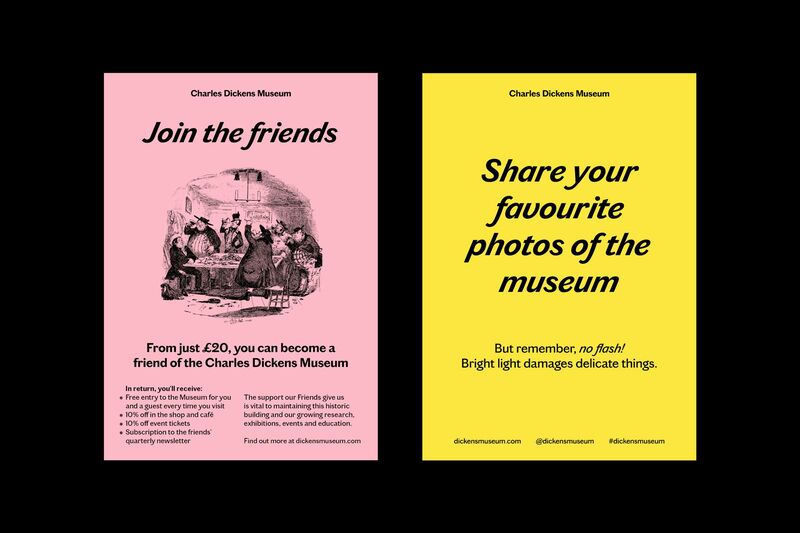 Taking from their main inspiration, the Situationists, we referenced a set of slogans associated with the movement and printed them on banners which were then hung around the city. 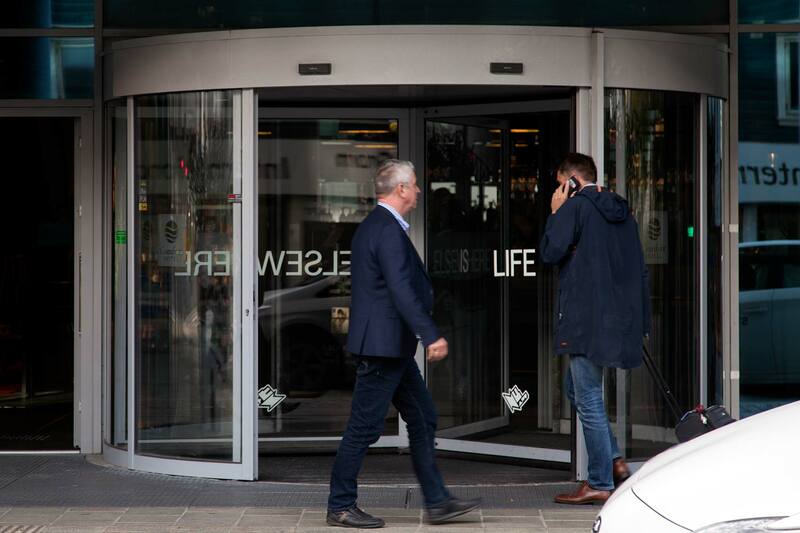 Slogans have also been printed as posters and stuck on the revolving doors of a hotel. 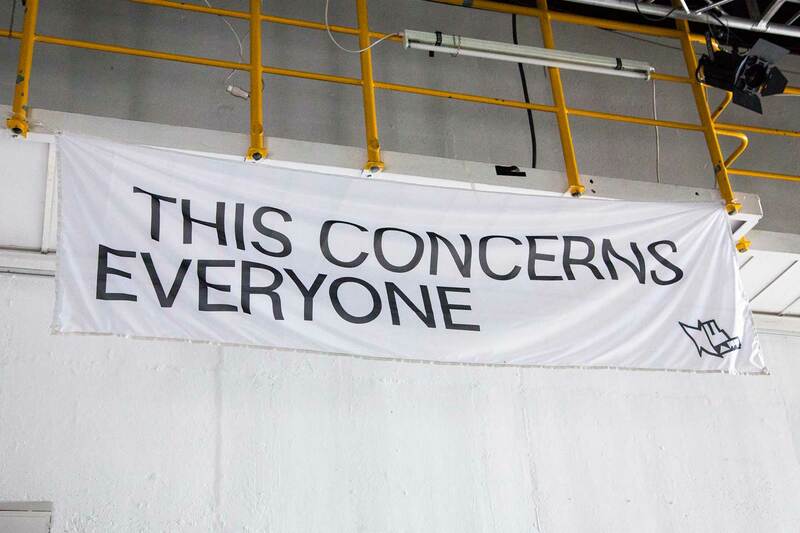 The banners serve as a sort of mobile manifesto, popping up in new places as the festival crew moves around. 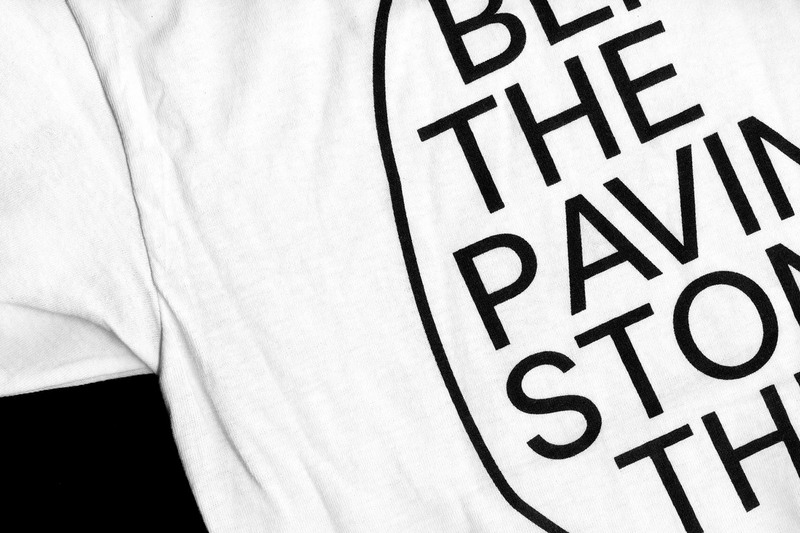 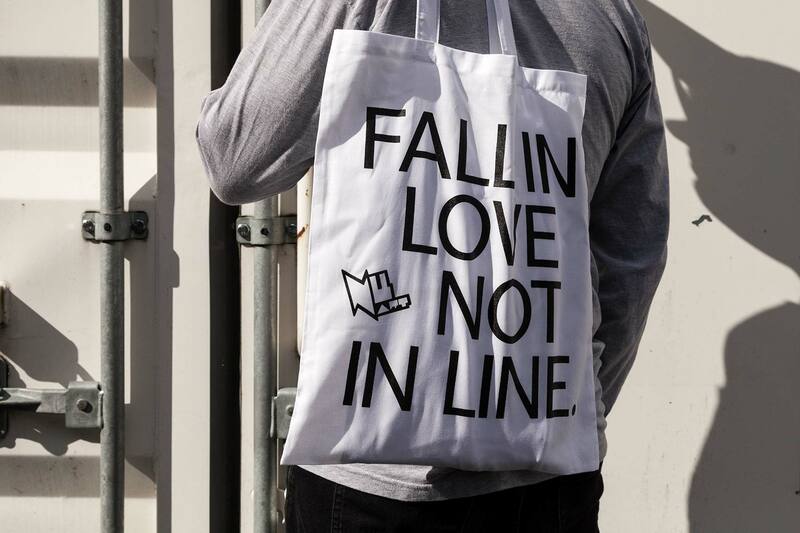 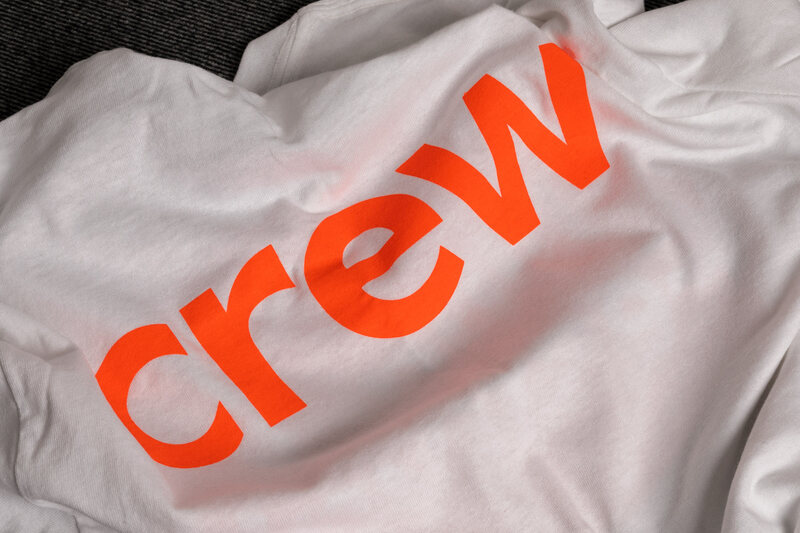 The slogans eventually made their way onto t-shirts and tote bags for sale and for use by the crew during festival rigging. 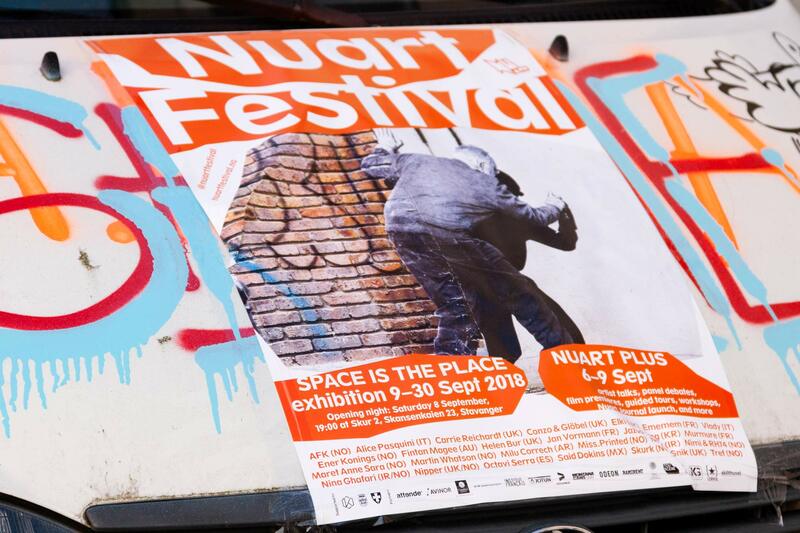 Nuart Festival is considered one of the world’s leading Street- and Urban Art festivals, comprising indoor and outdoor exhibitions, debates, and a critical forum. 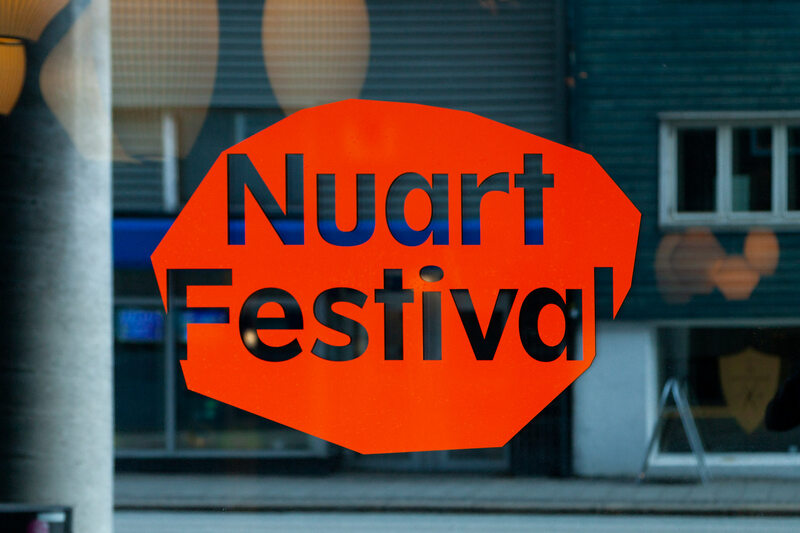 It was held in 2017 for its 17th year in Stavanger, Norway – our 5th year as Nuart collaborators and designers of the festival's visual identity. 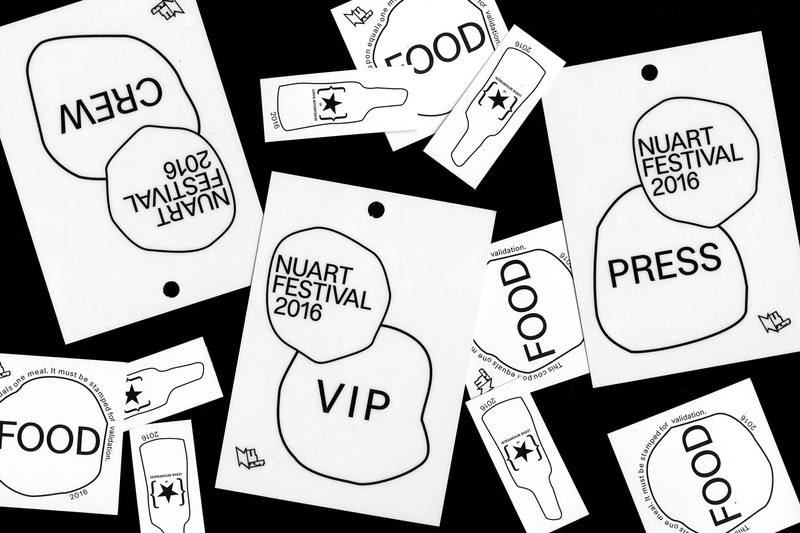 The 2017 identity focused on the concept of play, one of the keywords for Nuart and one of the cornerstones of Situationism, a constant point of reference for the festival. 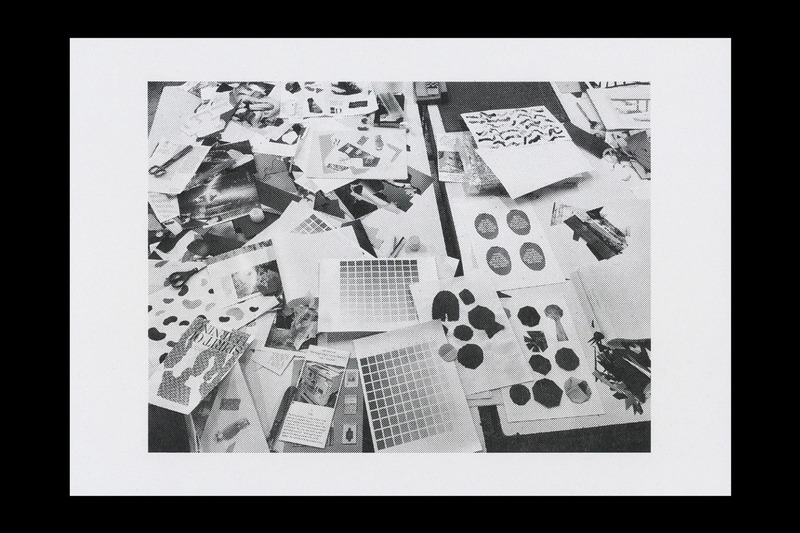 The main visual elements; digitally outlined shapes which reference collage, decollage, and cut-outs, and the way the type is used in conjunction with this; are a digital take on the DIY aesthetic associated with Situationism and its related movements and styles of political graffiti and image-making. 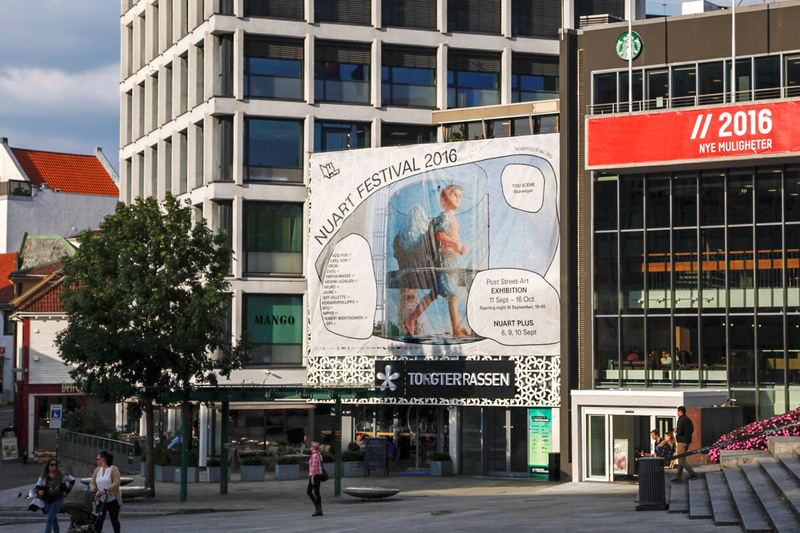 The image featured across the 2016 identity is a mural by Ampparito, titled I Accept the Terms & Conditions. 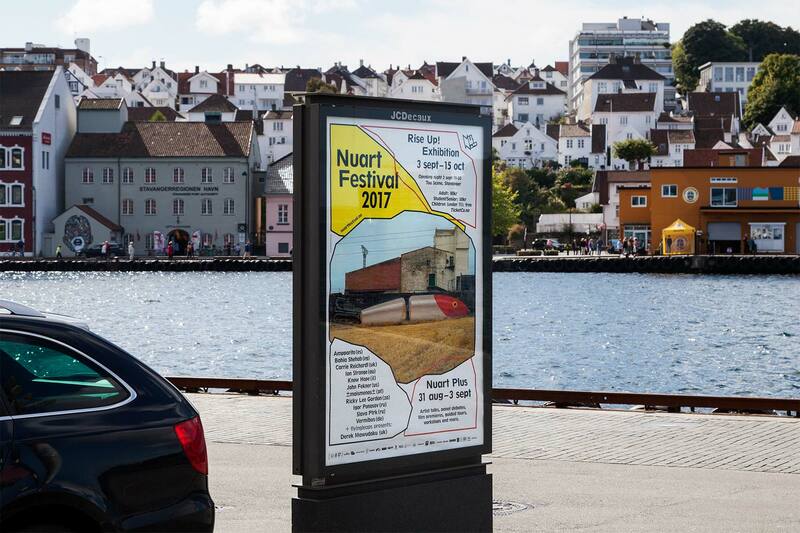 The image – a large painting of a fishing hook – was picked because of its reference in this context both to Stavanger as an old fishing town, and at the same time to the city's current ambition to brand itself as a "Smart City". 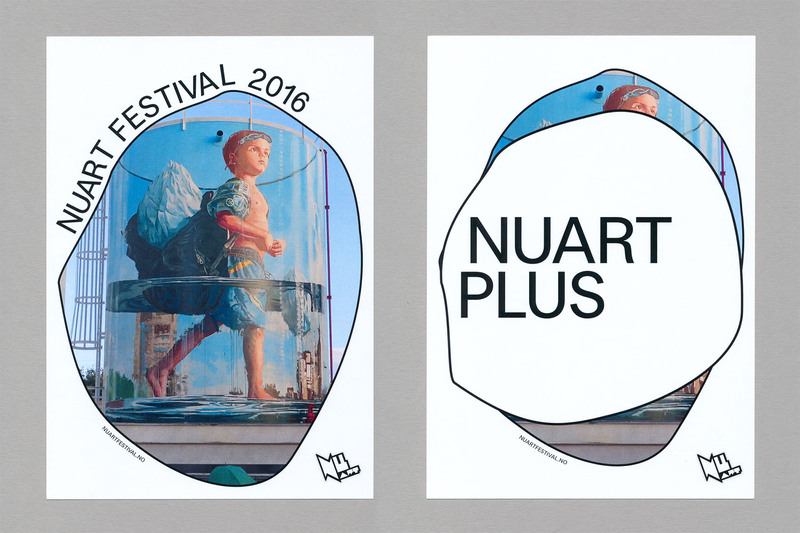 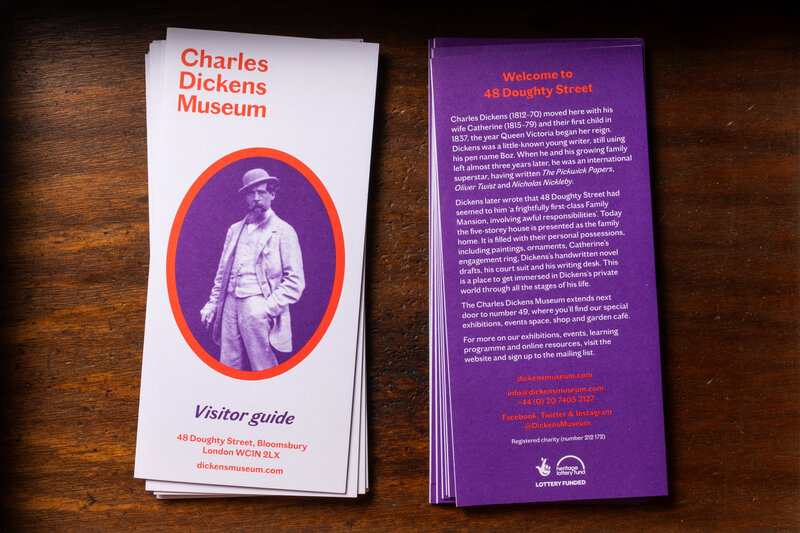 Studio Bergini were responsible for the visual identity and all related materials, including posters, flyers, advertising banners, newspaper and magazine ads, t-shirts, tote bags, food tokens, exhibition vinyls, web banners, newsletters etc. 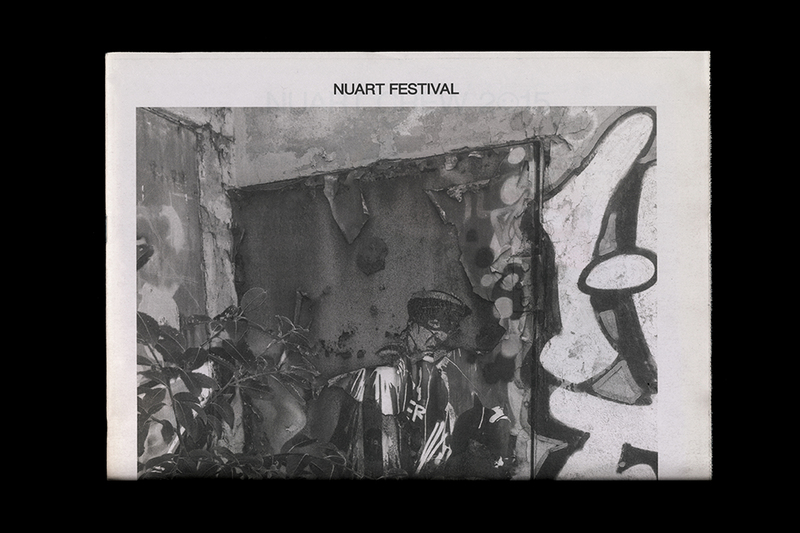 We also produced the first issue of the Nuart Journal, which doubled as the festival catalog, containing critical essays by leading academics, artists, and curators in the field (download available here). 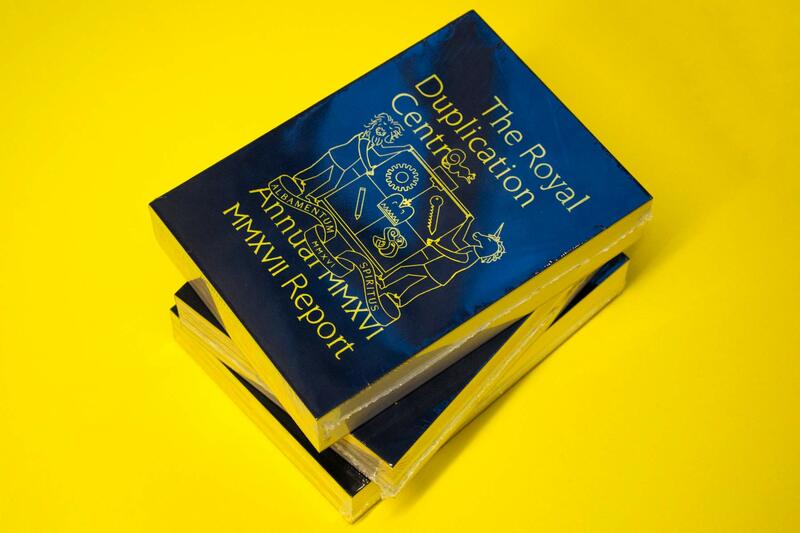 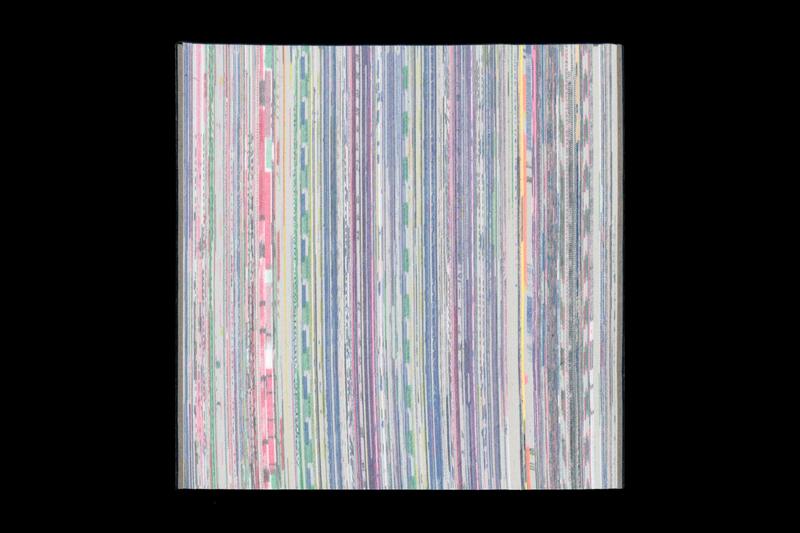 Edition of 40 books which together contain all of of the scrap prints produced at the Royal Duplication Centre, Royal College of Art, Kensington Gore, London SW7, during the years MMXVI & MMXVII. 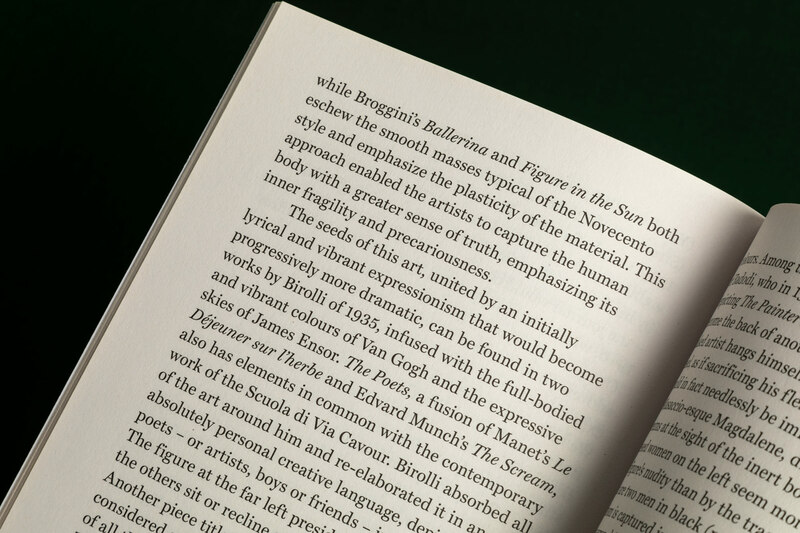 A special XL version containing 1/10th of the scraps was produced in an edition of 1 for the Ideal Science exhibition at the Newlyn Art gallery in Cornwall. 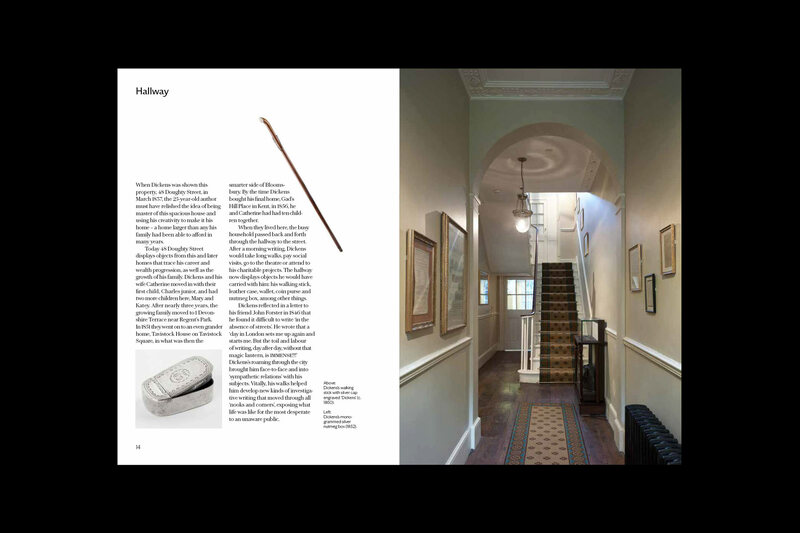 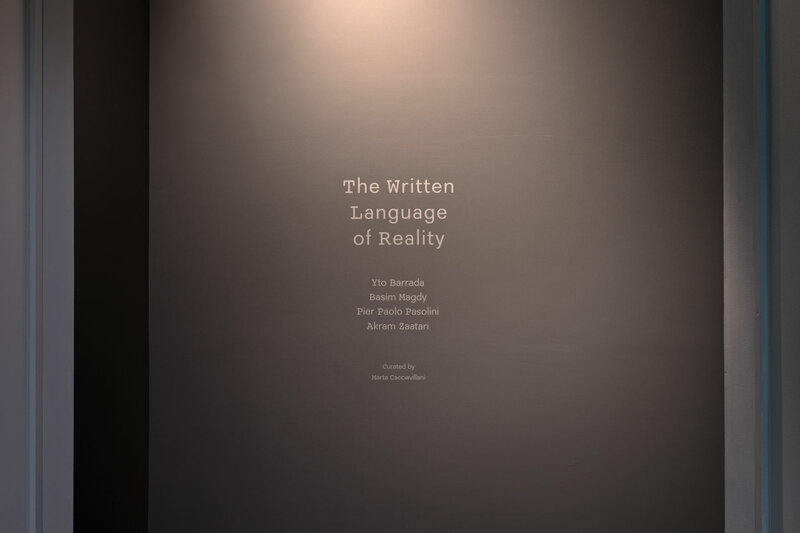 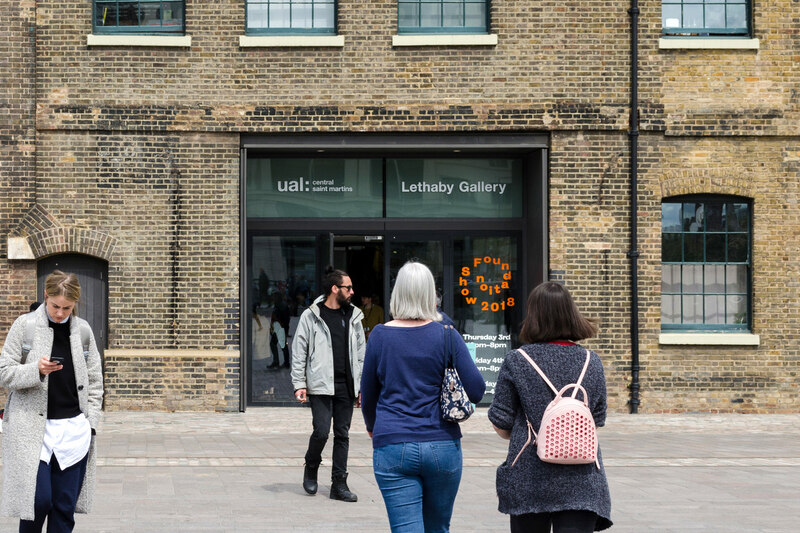 It was exhibited again at the RCA as part of HIDDEN, November 2018. 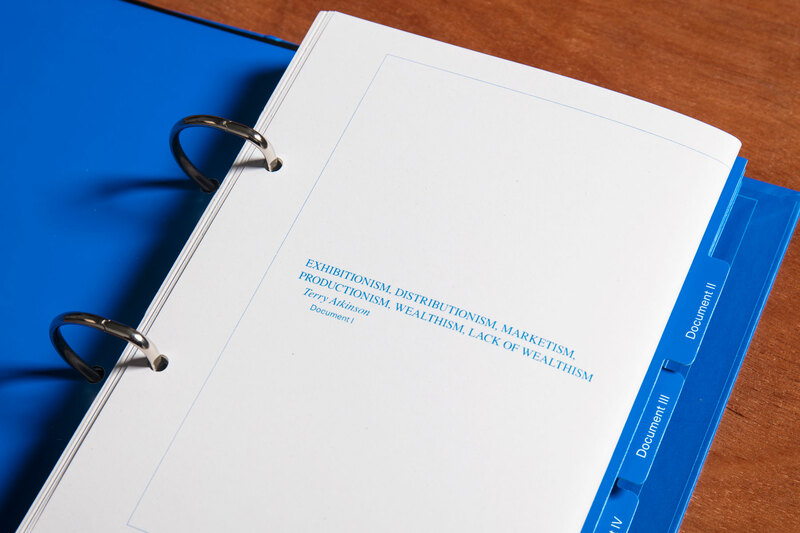 Perfect bound in velvet book cloth with foil bocked front cover. 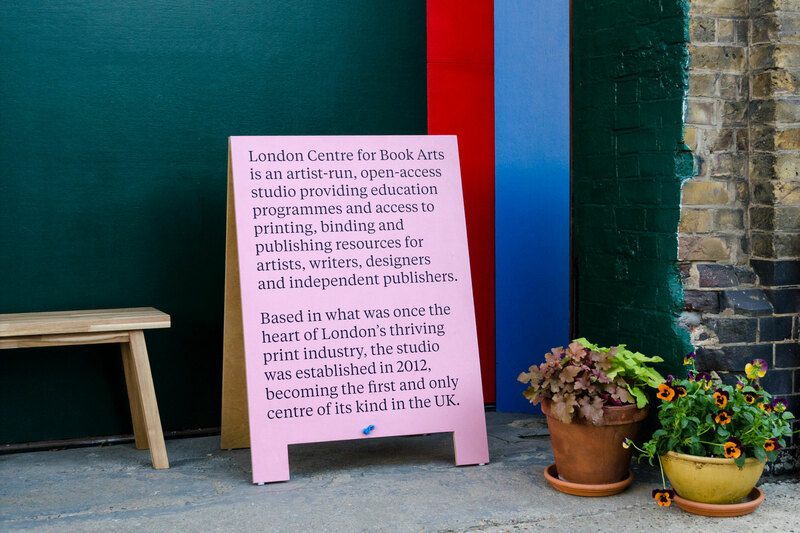 Produced at the London Centre for Book Arts. 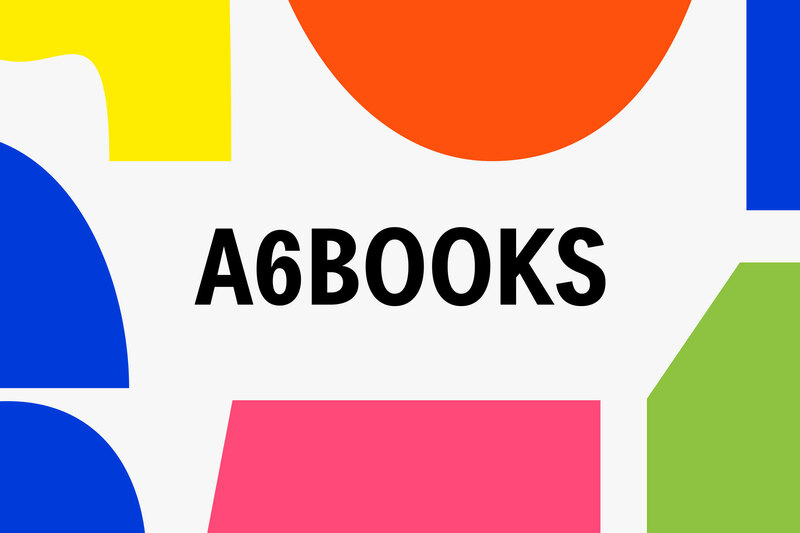 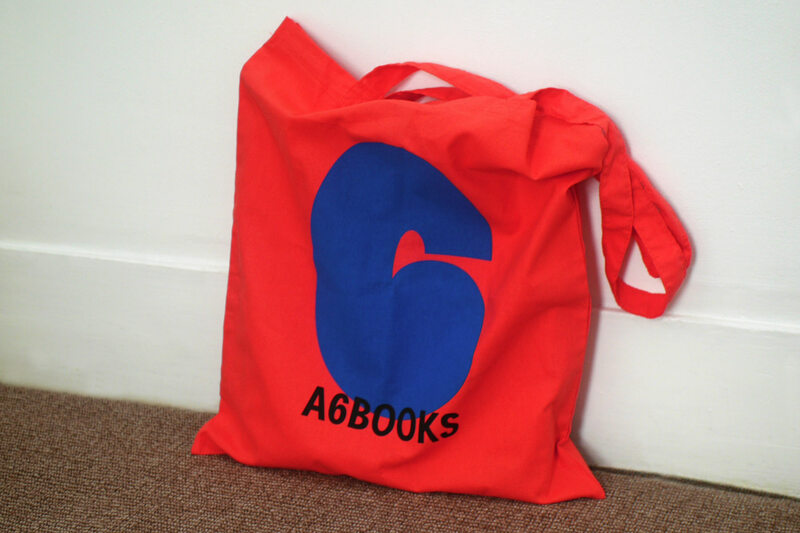 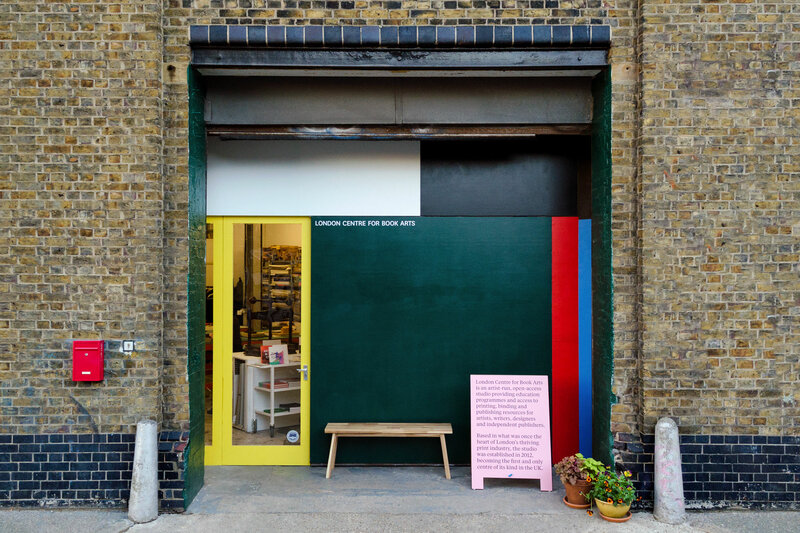 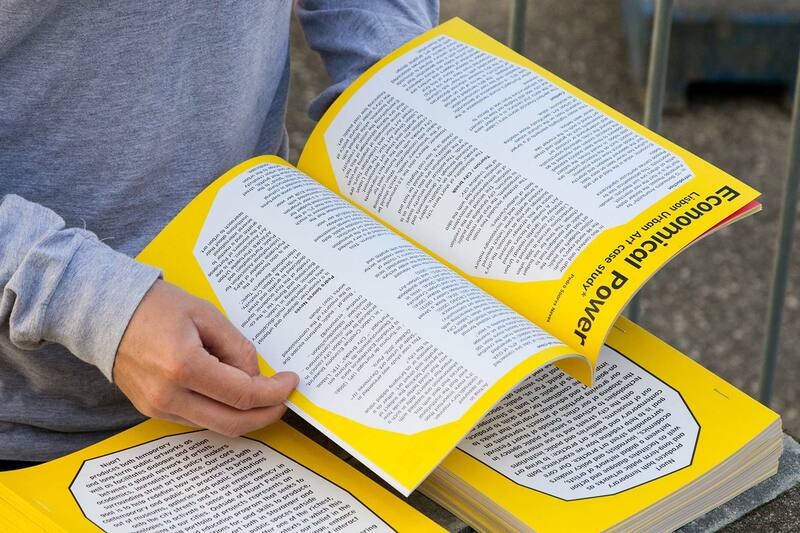 A6BOOKS is a new project by the London Centre for Book Arts. 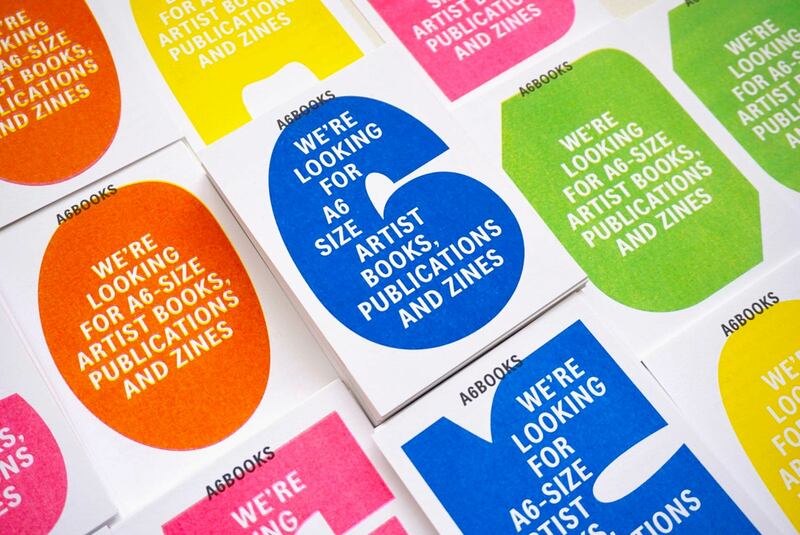 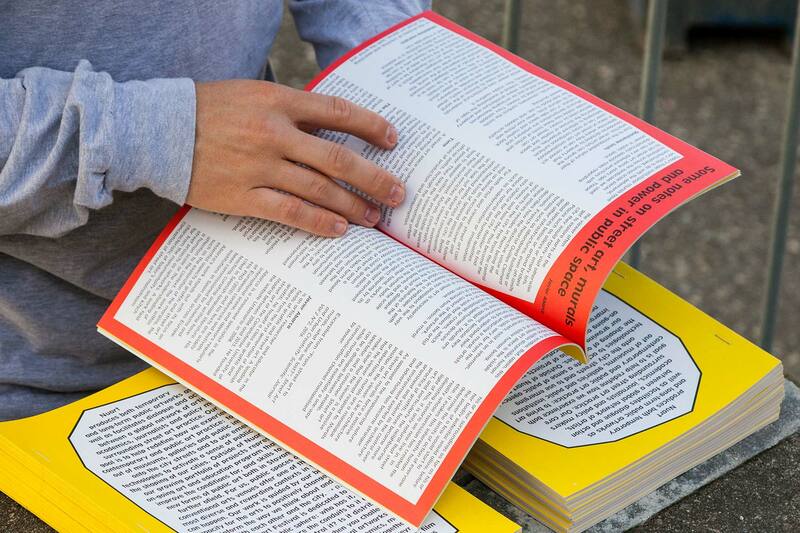 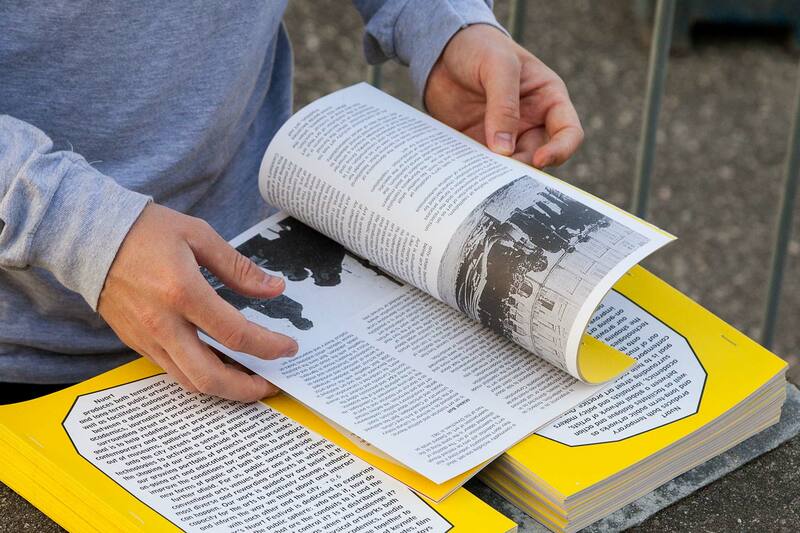 It aims to help promote and distribute books, zines, and publications by emerging artists. 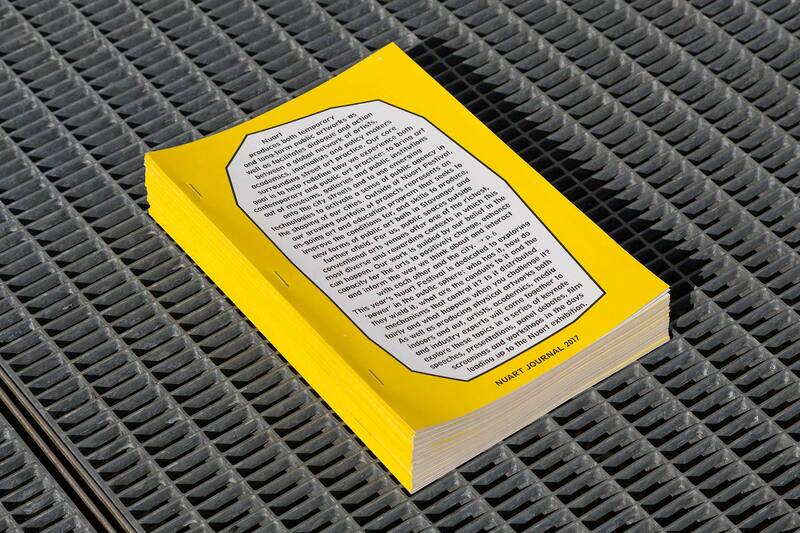 With a simple criterion – work must be A6 size [105×148mm] – and an inclusive open-submission process, they hope to create a new way for artists to reach their readers, with accepted submissions on display and available for sale in the LCBA bookshop. 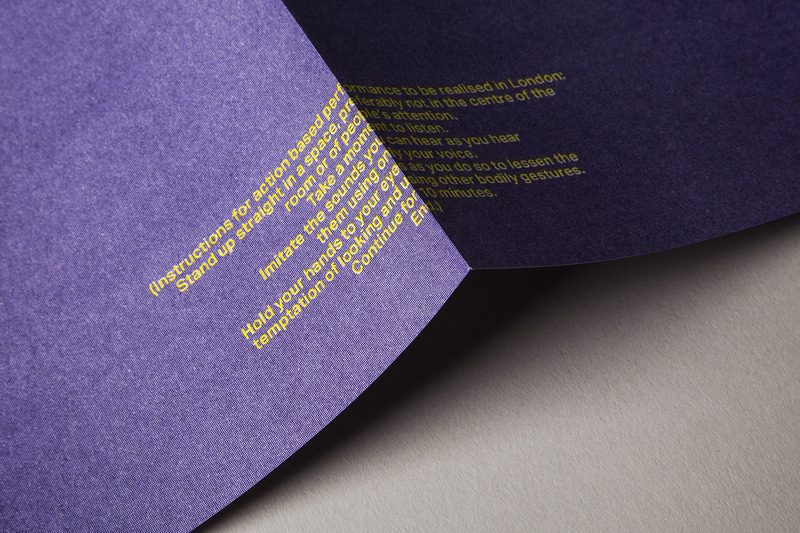 Studio Bergini were responsible for the project's visual identity and website design. 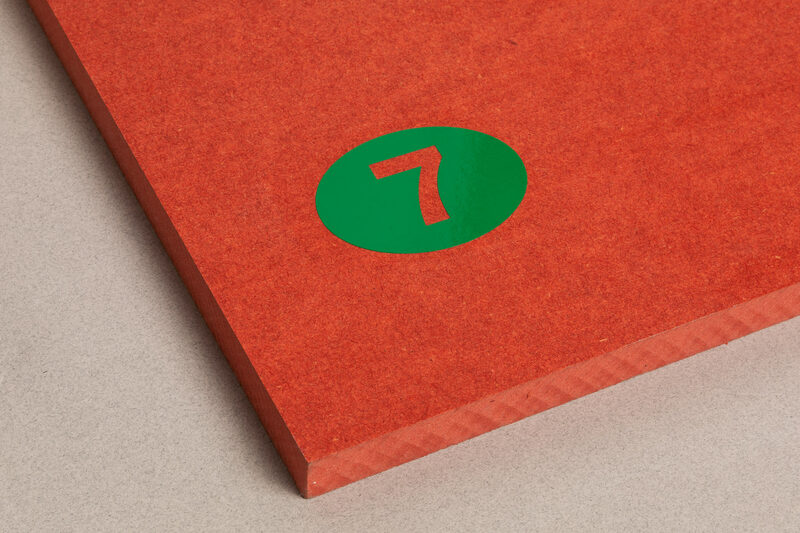 These follow a pared down approach that relies mainly on the colourful custom lettering we drew for the seven characters A 6 B O O K S (all based on the DIN A-size proportions), together with the font Lars Bold Condensed. 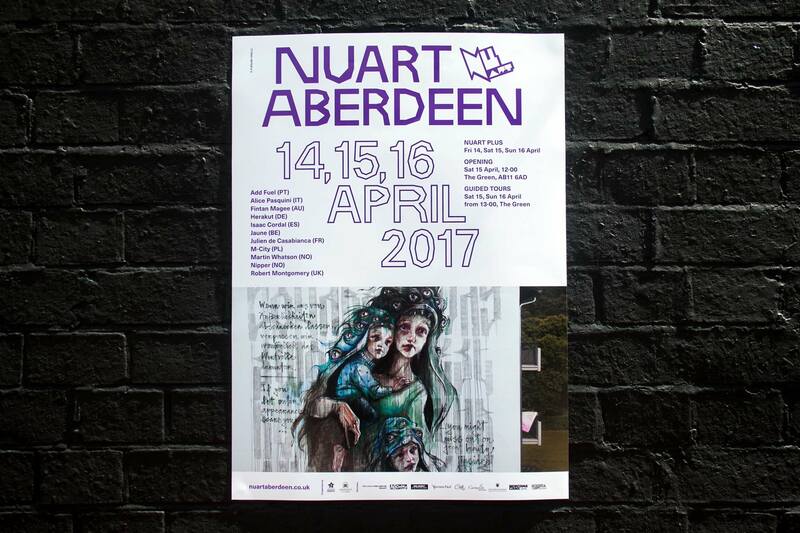 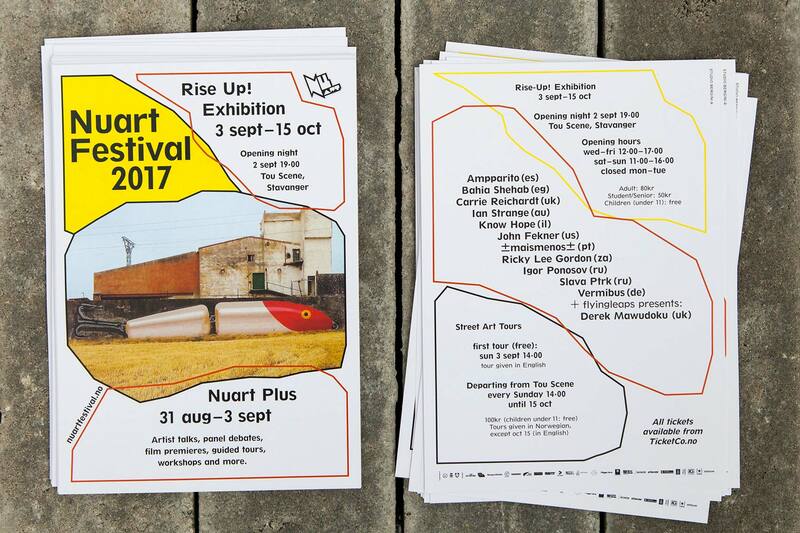 In May 2017, Nuart – the Street Art festival we’ve been working with since 2012 – organized its first edition outside the city of Stavanger, staging a festival in Aberdeen, Scotland. 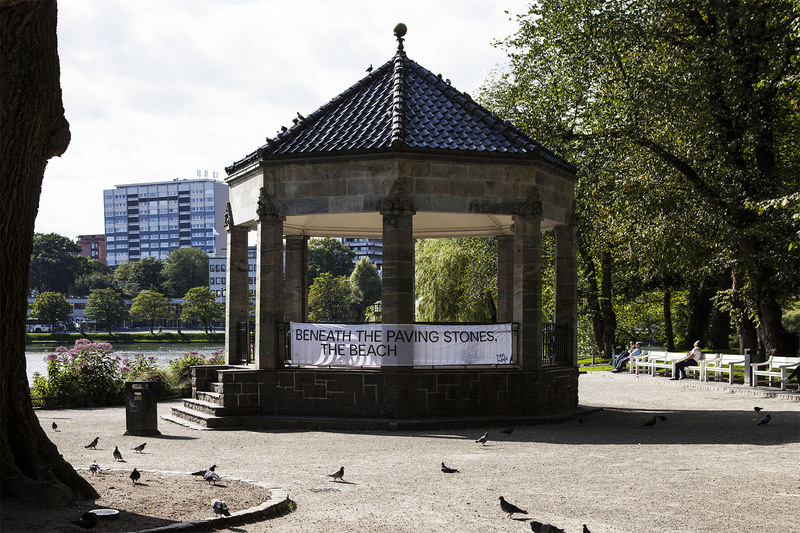 A huge public and civic success, it has been scheduled to return to the city each spring for the next four years. 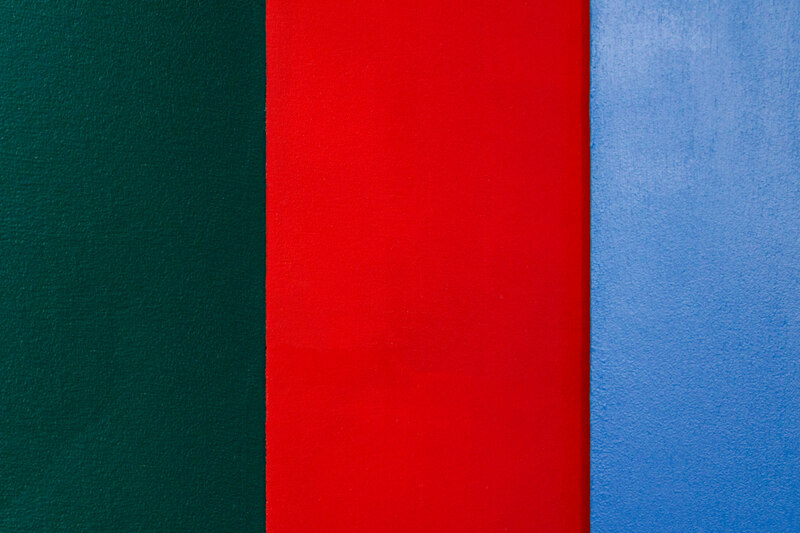 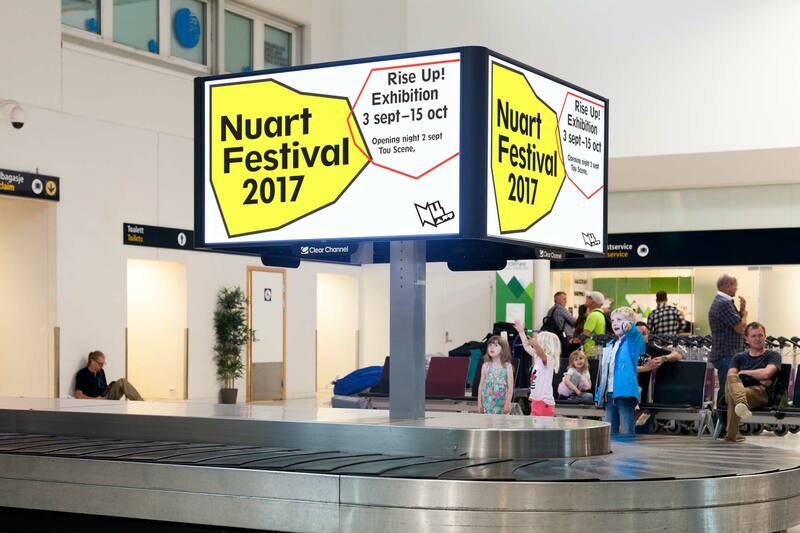 Known as the Granite City for its predominant use of granite as building material, Nuart Aberdeen was a fresh breath of colour to the city that saw its population interacting with their public spaces in entirely new ways. 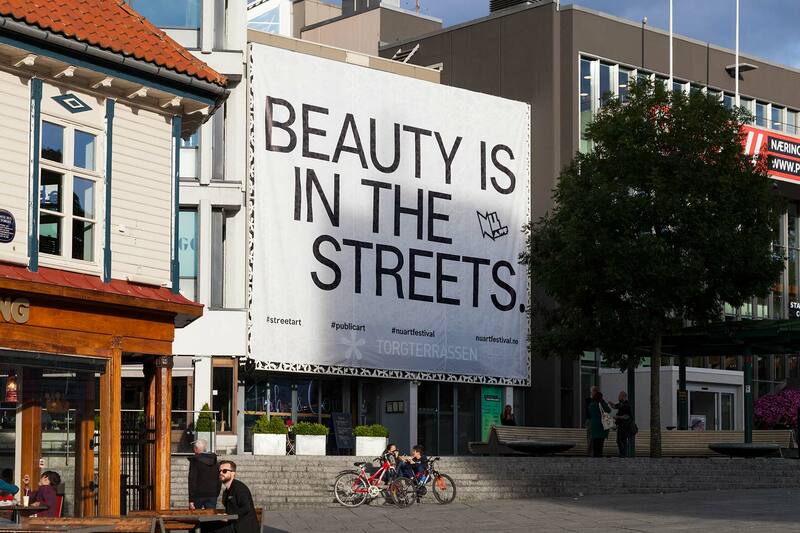 As the city is only just starting to loosen its zero-tolerance policies towards Graffiti, Street Art etc., the new public artworks had a significant impact on the otherwise pristine city centre. 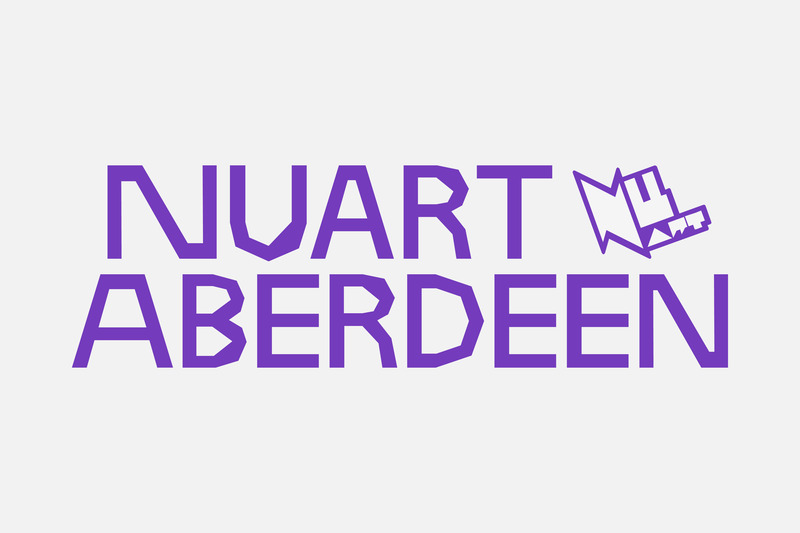 Taking our cue from Aberdeen’s nickname, we constructed a display typeface inspired by the way granite is traditionally cut: with many rough facets, as seen in plenty of the city’s architecture. 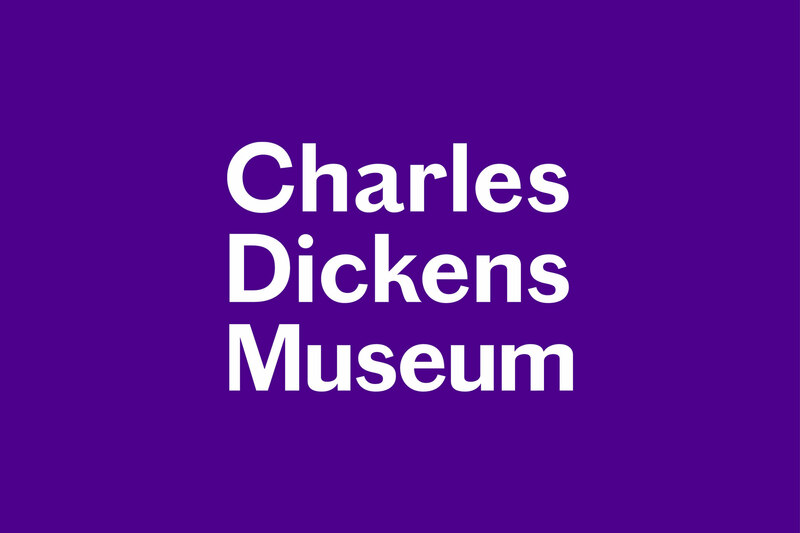 The font is in one weight and caps only, with a few alternate characters for variation. 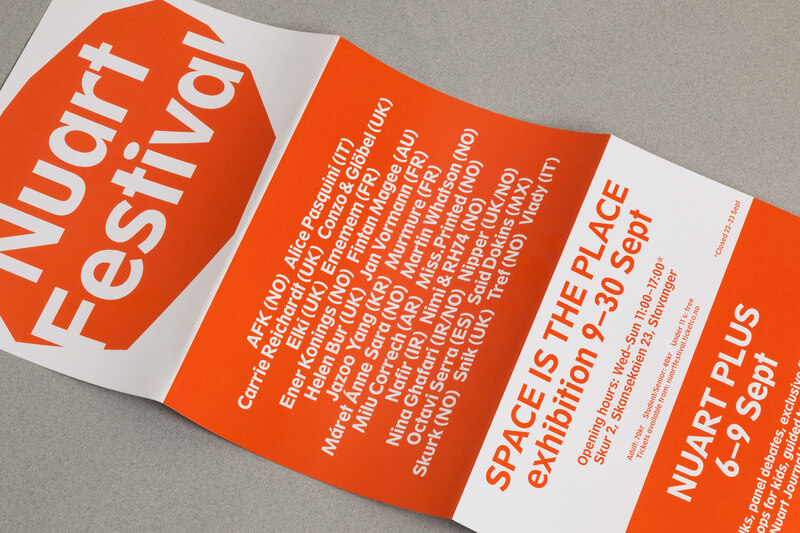 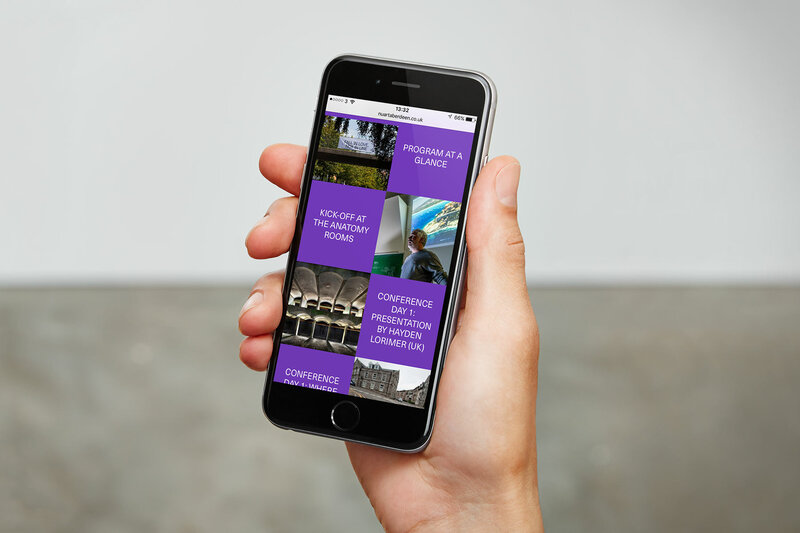 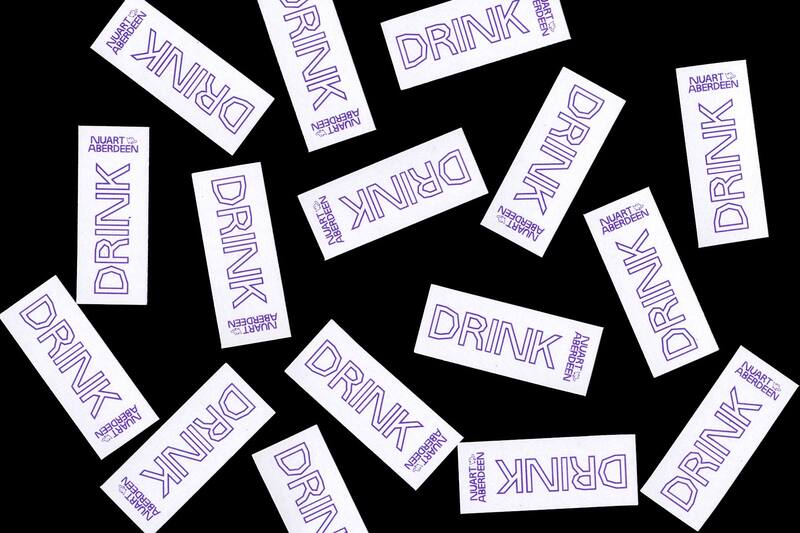 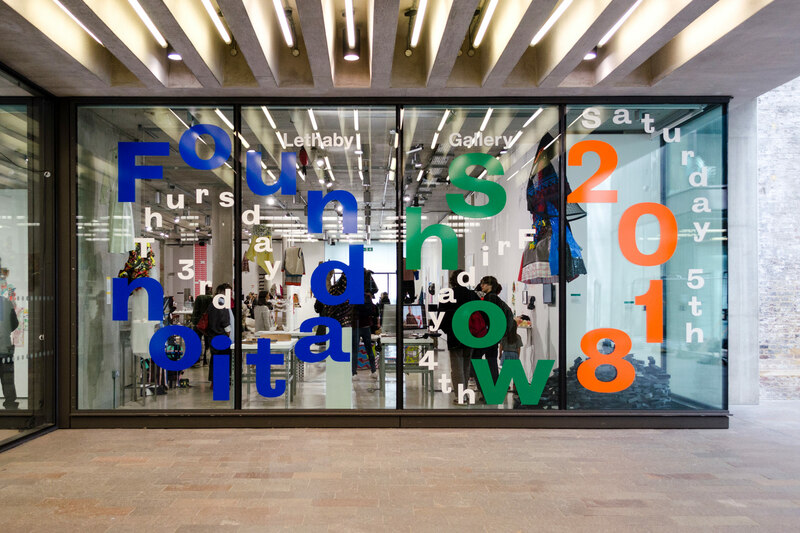 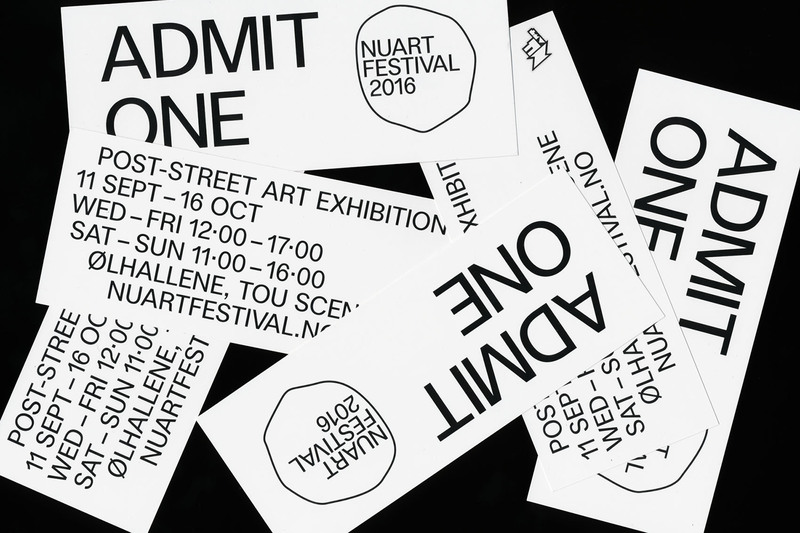 The font, called Granite Headline, became the backbone of our visual identity for the festival, combined with a strong purple colour and a very simple layout system dividing surfaces into separate image and text areas. 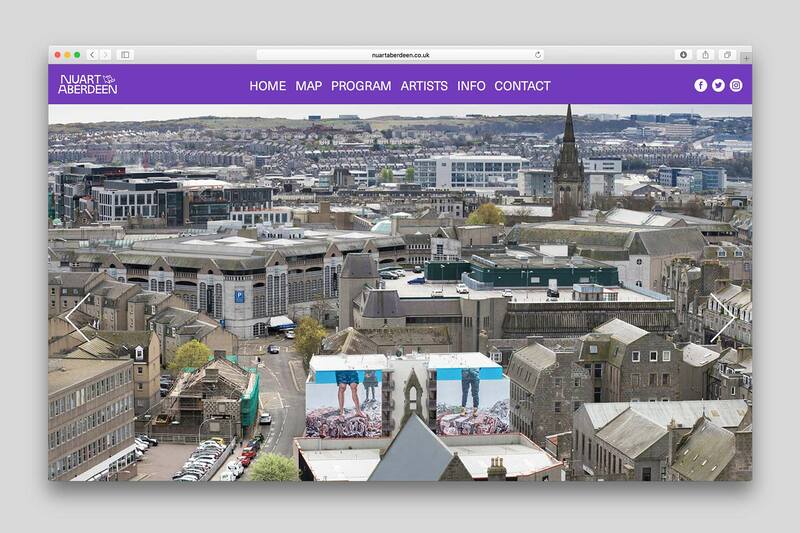 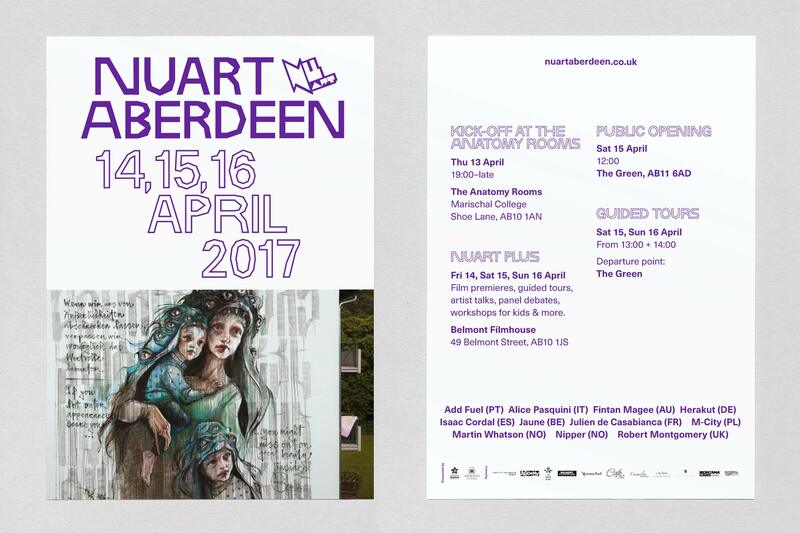 Nuart Aberdeen was also the first festival to pilot our custom-built web template for Nuart, developed in collaboration with Turtuga Labs. 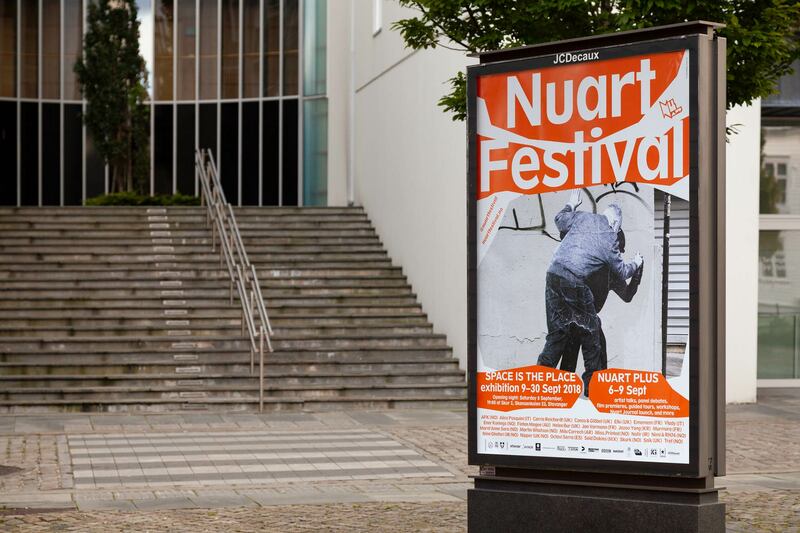 Nuart Festival is considered one of the world’s leading Street- and Urban Art festivals, comprising indoor and outdoor exhibitions, debates, and a critical forum. 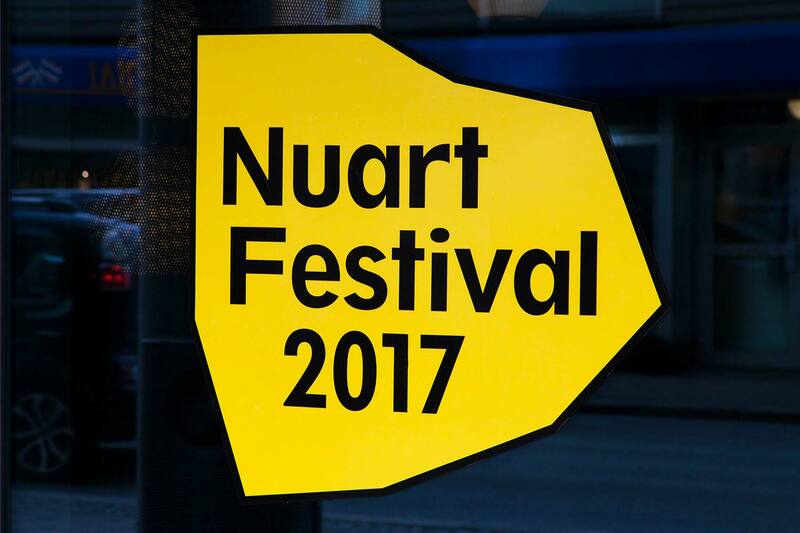 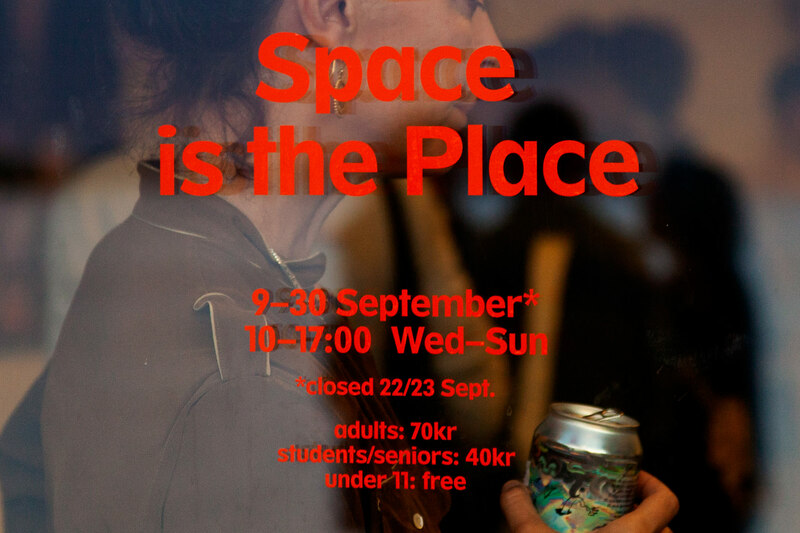 It was held in 2016 for its 16th year in Stavanger, Norway – our 4th year as Nuart collaborators and designers of the festival's visual identity. 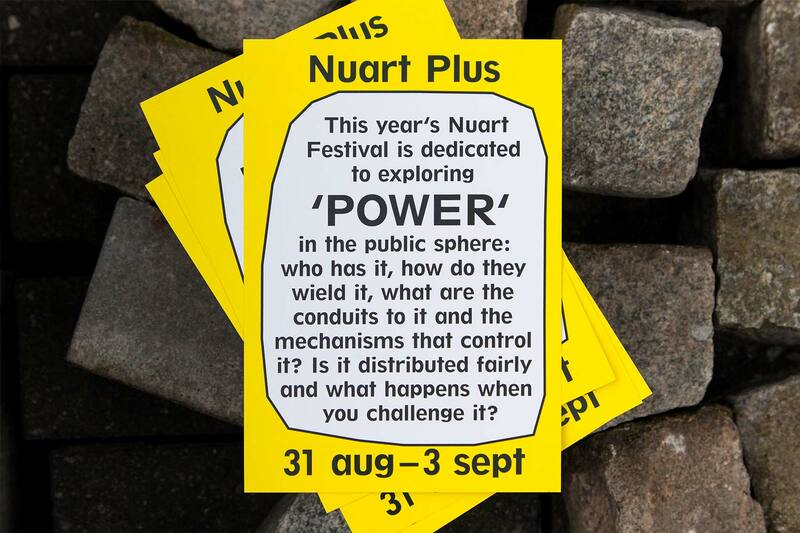 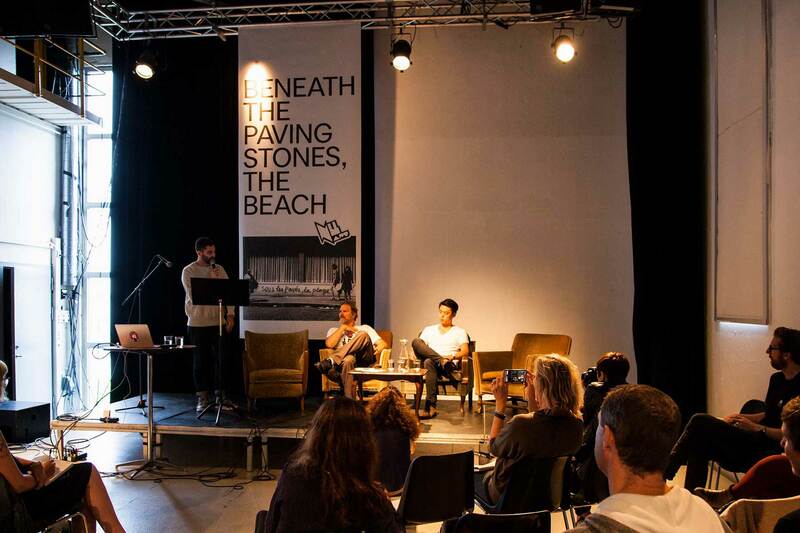 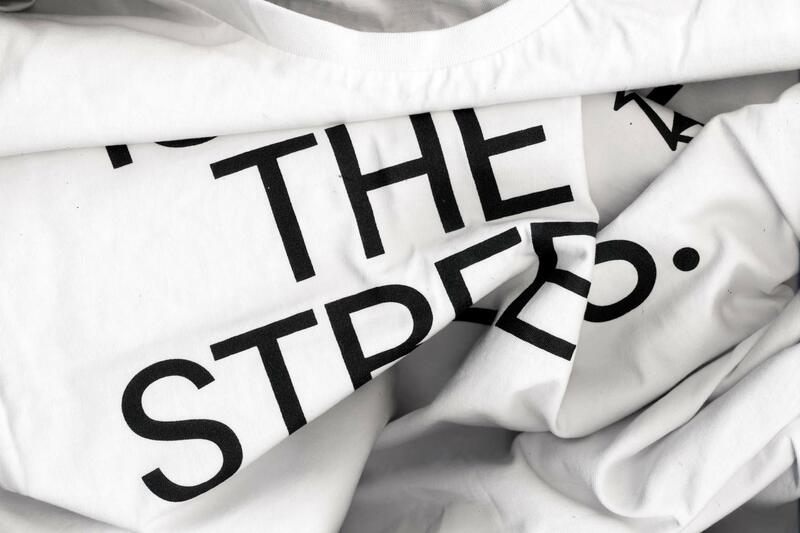 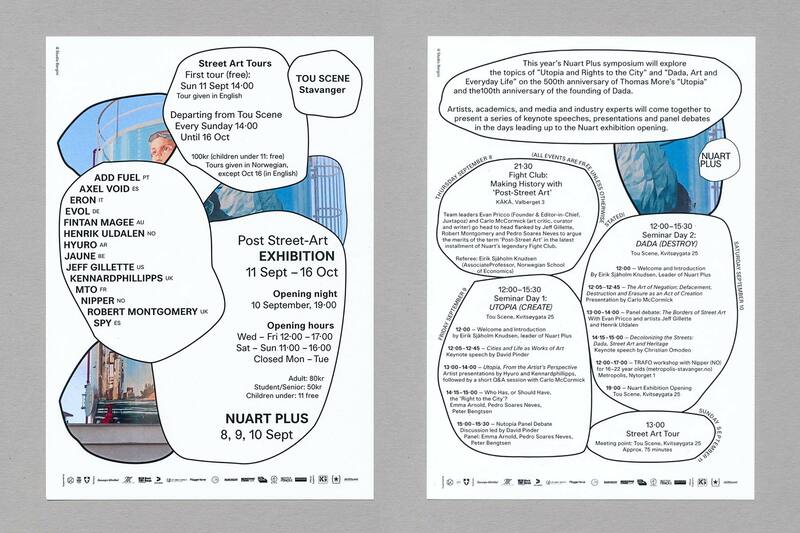 The 2016 identity focused on the concept of play, one of the keywords for Nuart and one of the cornerstones of Situationism, a constant point of reference for the festival. 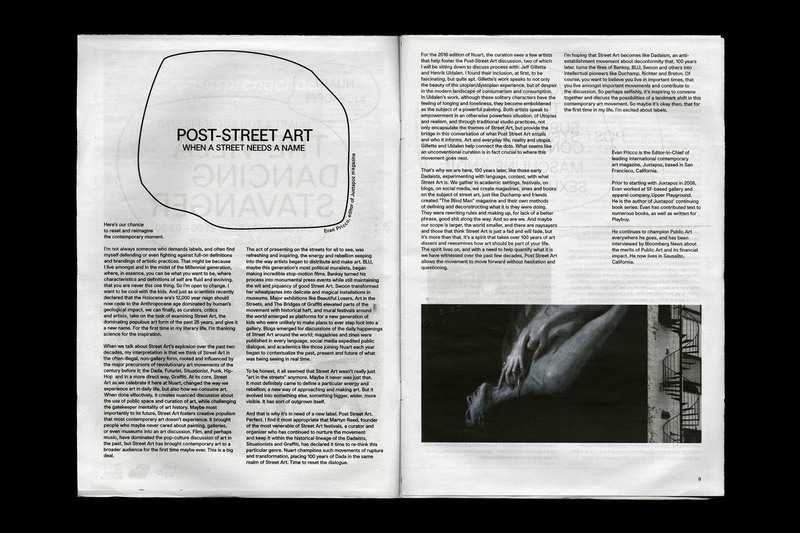 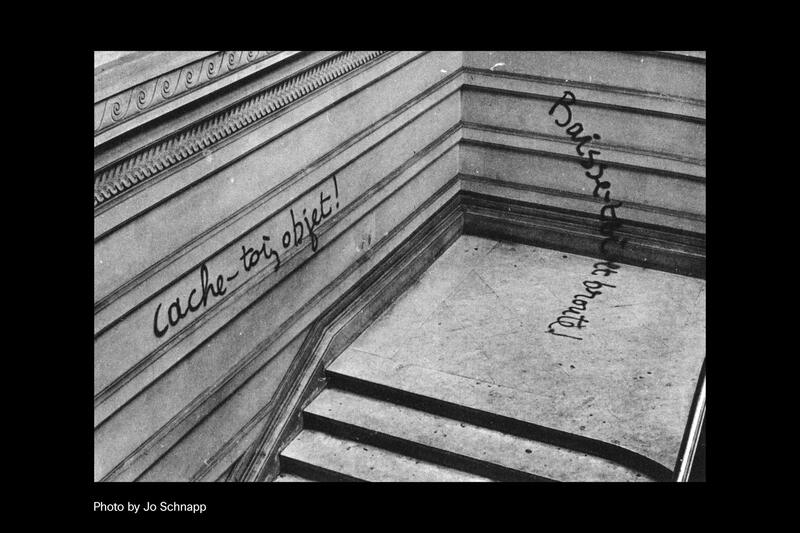 The main visual elements; digitally outlined blobs which reference collage, cut-outs, and hand-rendered typography; and the way the type is used in conjunction with this; are a digital take on the DIY aesthetic associated with Situationism and its related movements and styles of political graffiti and image-making. 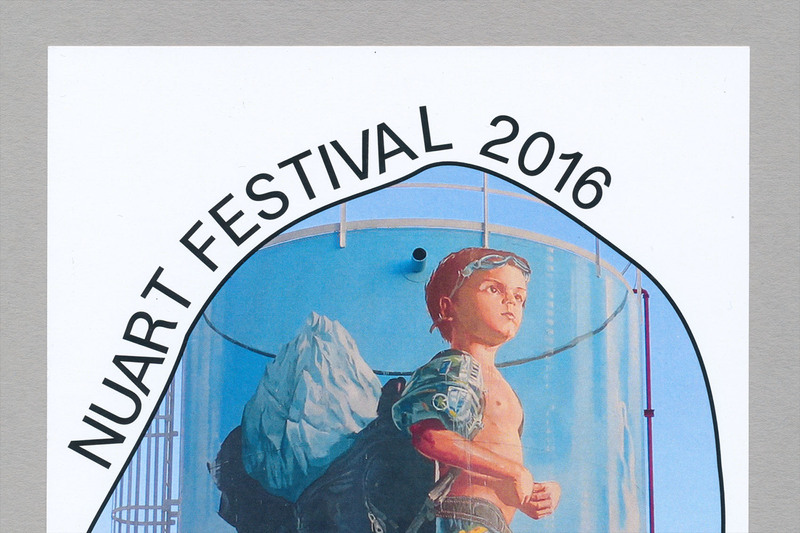 The image featured across the 2016 identity is a mural by Fintan Magee. 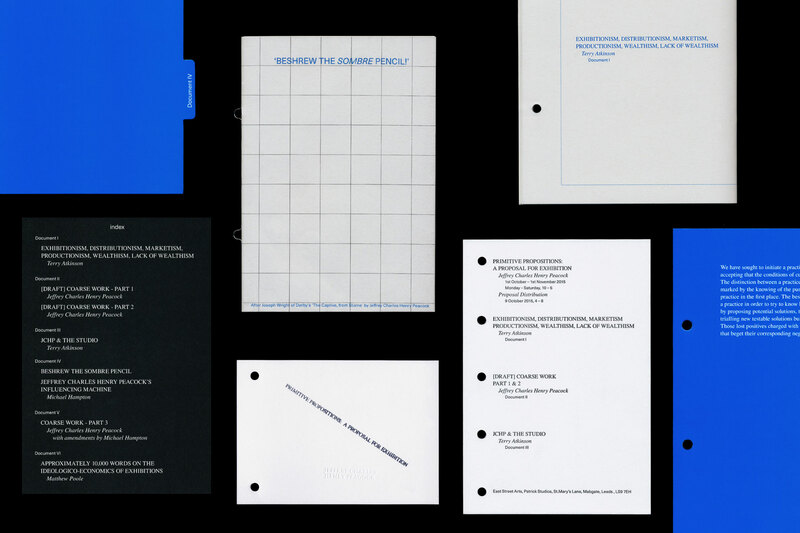 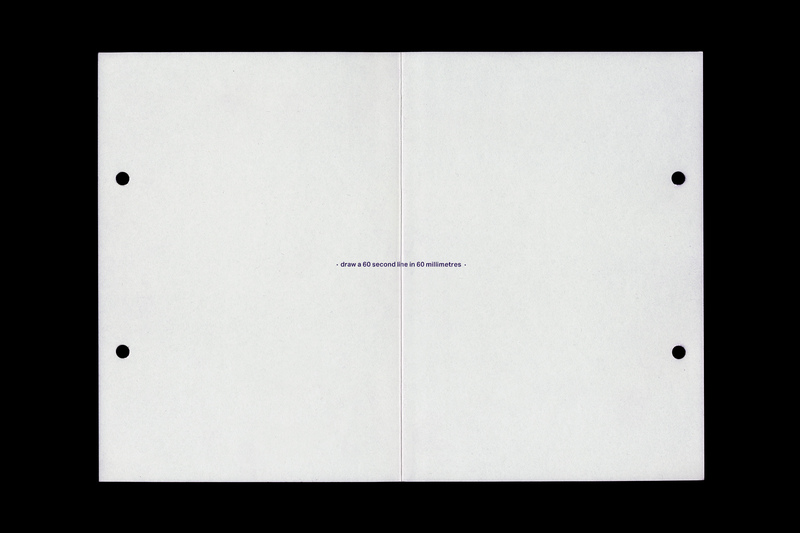 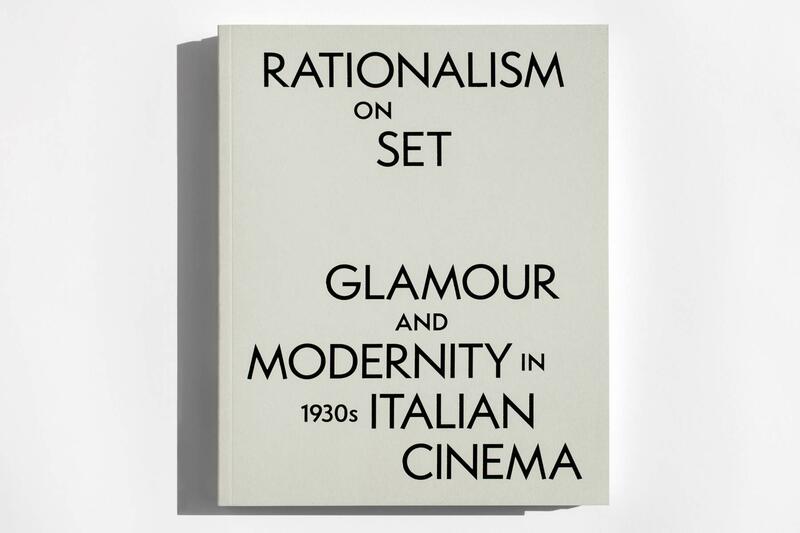 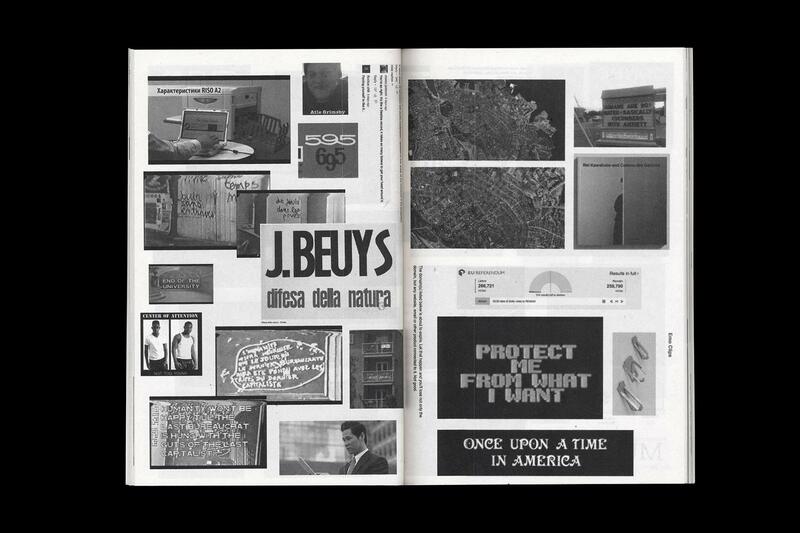 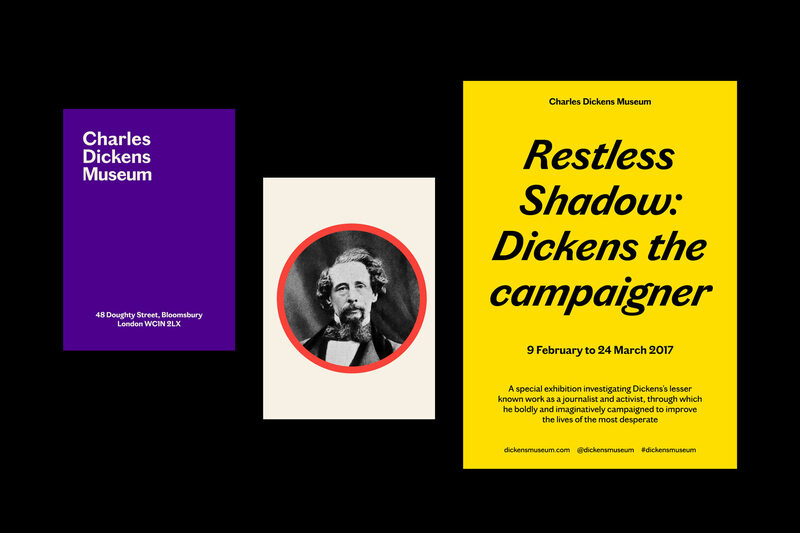 Studio Bergini were responsible for the visual identity and all related materials, including everything from posters, flyers, advertising banners, newspaper and magazine ads, t-shirts and tote bags, food tokens, exhibition vinyls, web banners, newsletters – as well as a newspaper catalog containing critical essays by leading academics, artists, and curators in the field. 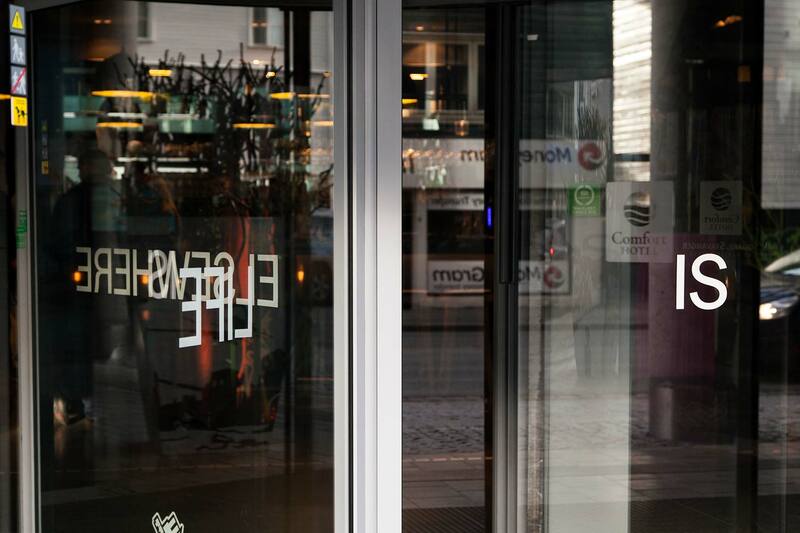 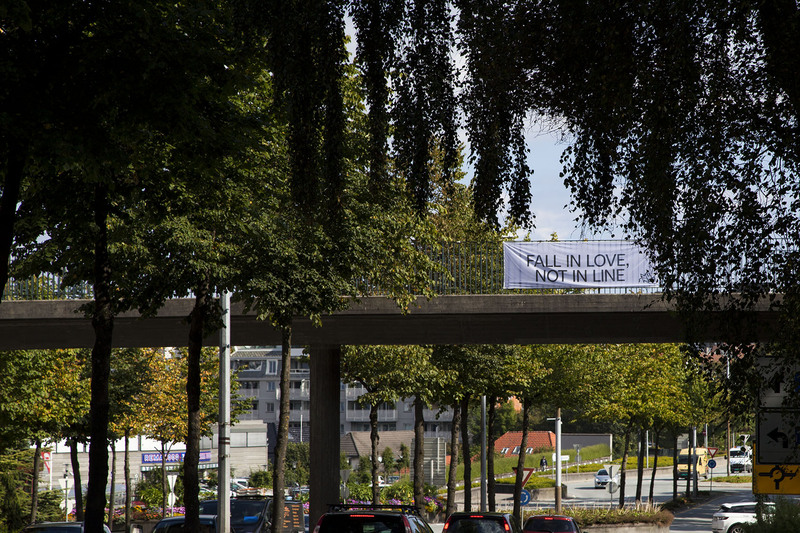 A small side-project was initiated during the 4-day festival period, in which eight 3×1m banners with situationist slogans were installed around the city of Stavanger. 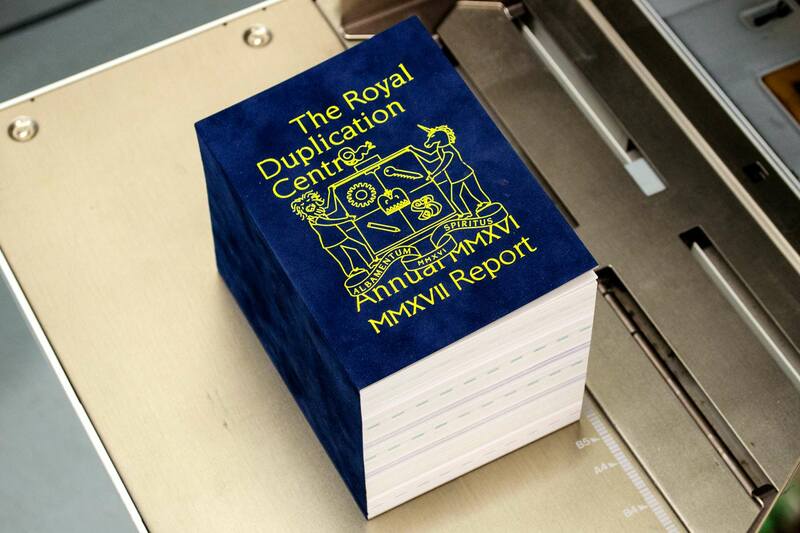 The Royal Duplication Centre is our stencil duplication/Riso printing workshop currently based in the Visual Communication department at the Royal College of Art in South Kensington, London. 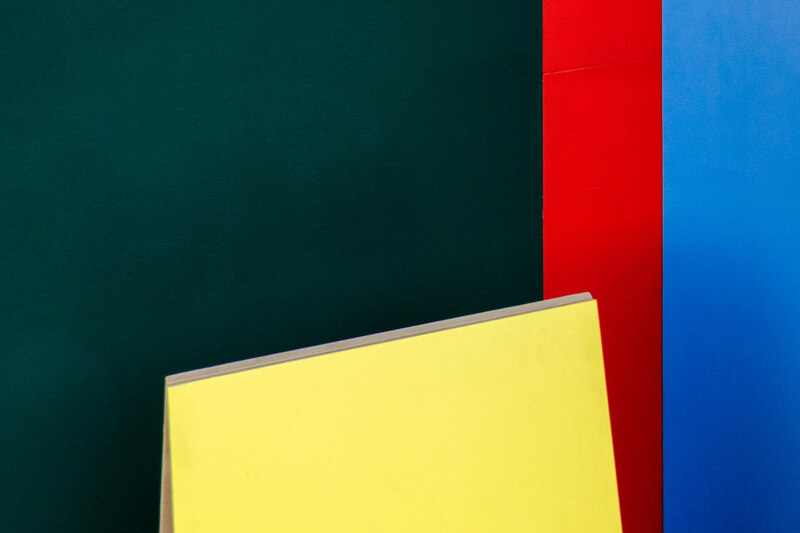 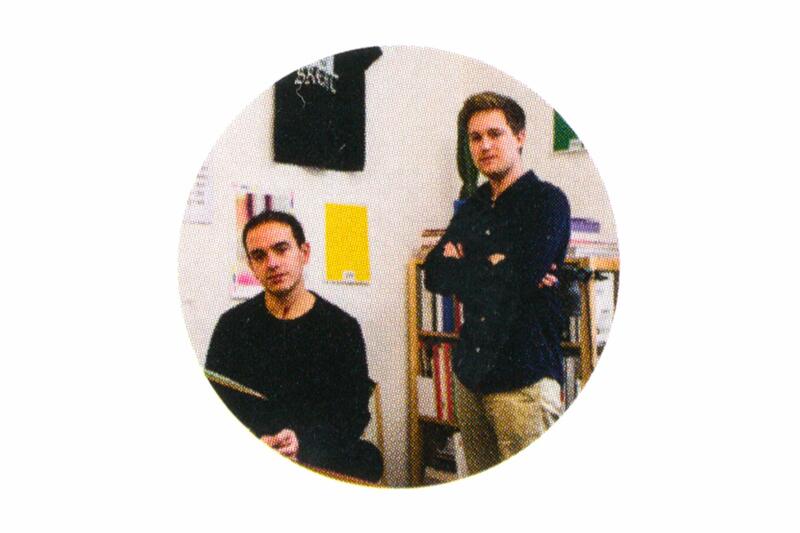 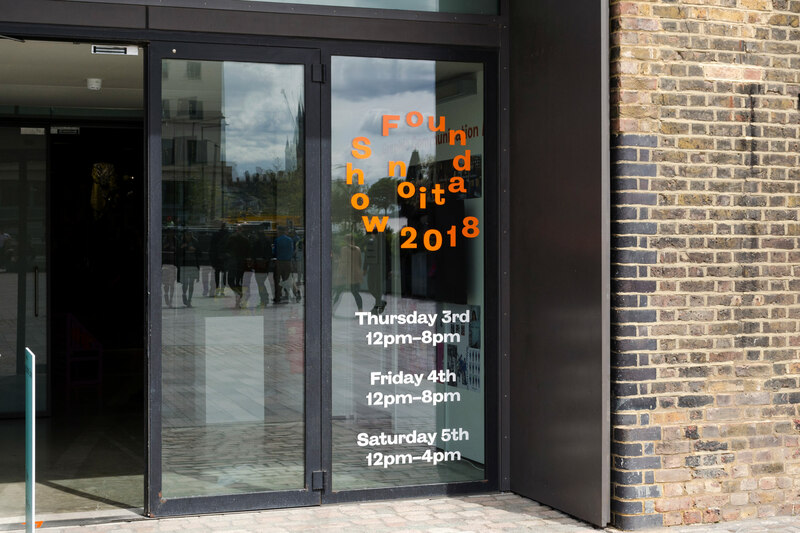 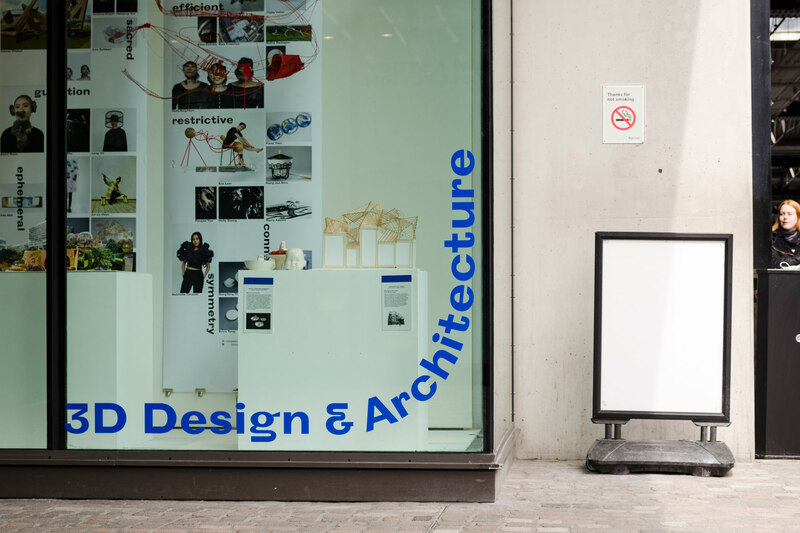 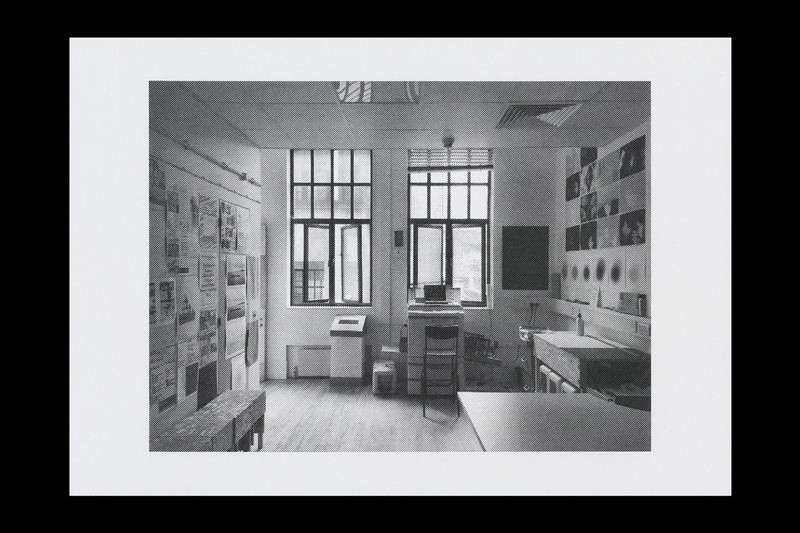 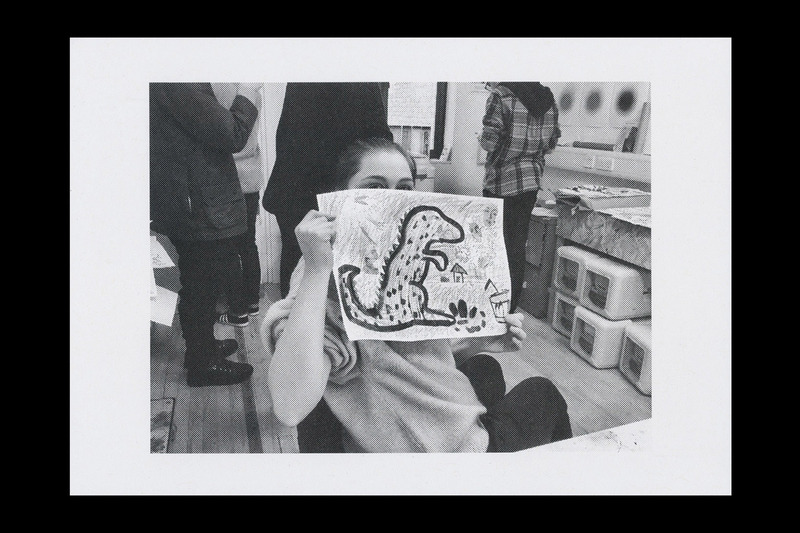 At the start of 2016, we were asked to set up our printing equipment in the RCA to introduce the MA Visual Communication department to Riso printing. 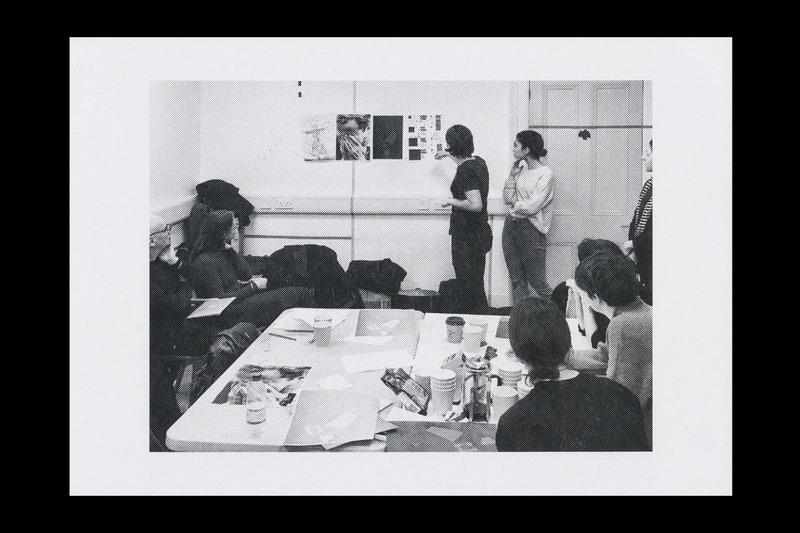 Since March that year, we have been managing the workshop, opening its services twice per week to teach the workings of the Riso printing process through introductory sessions and Riso-related workshops, experimentation, and helping students print their work. 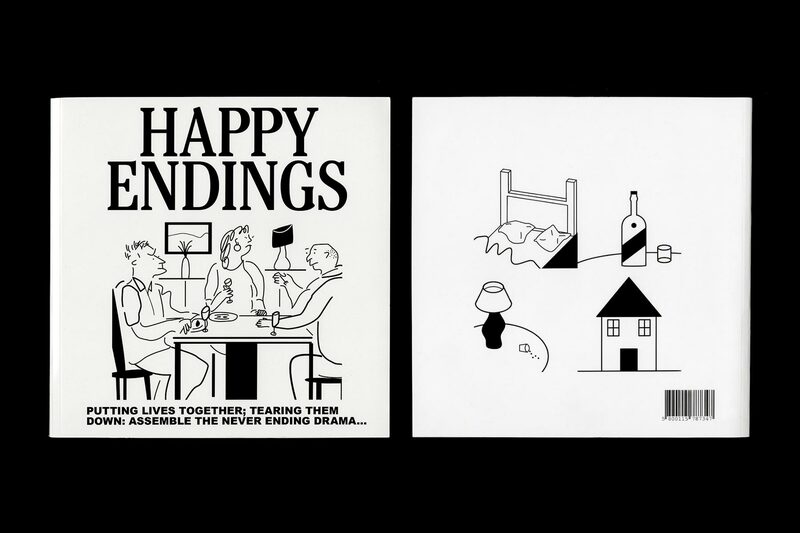 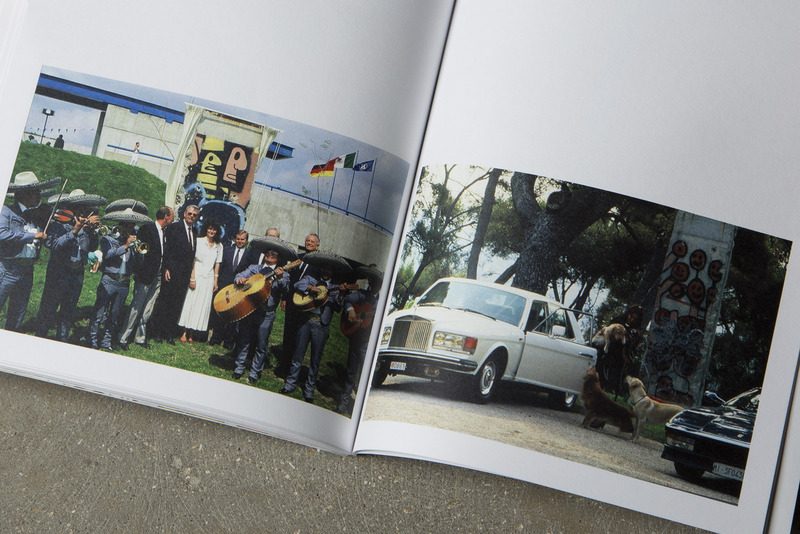 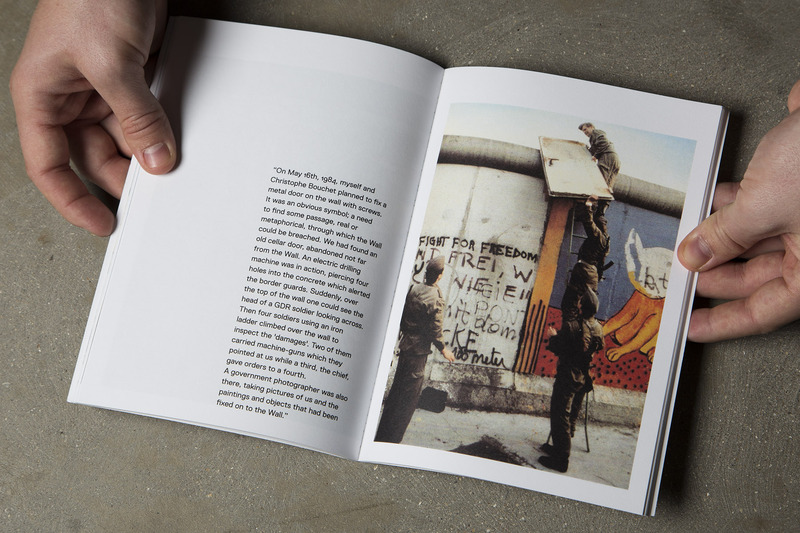 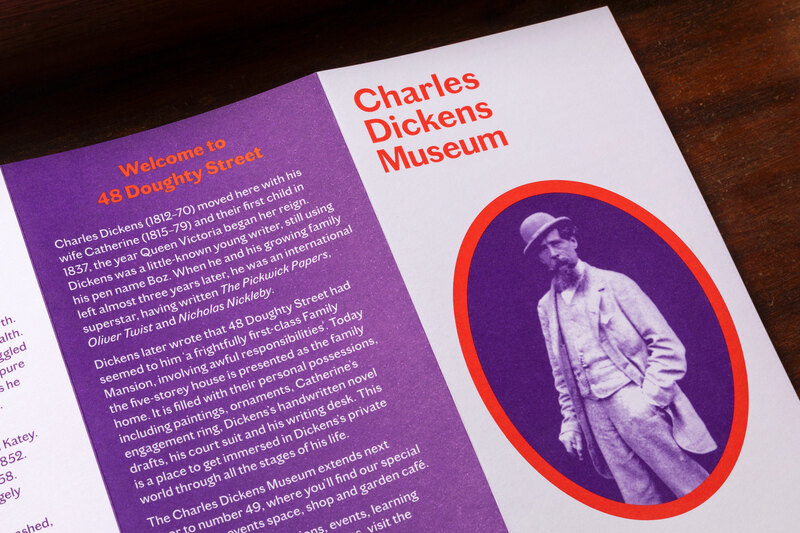 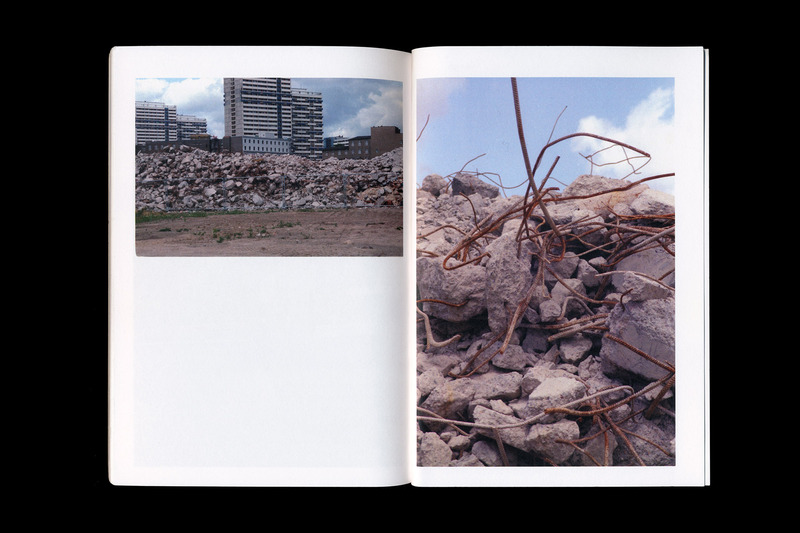 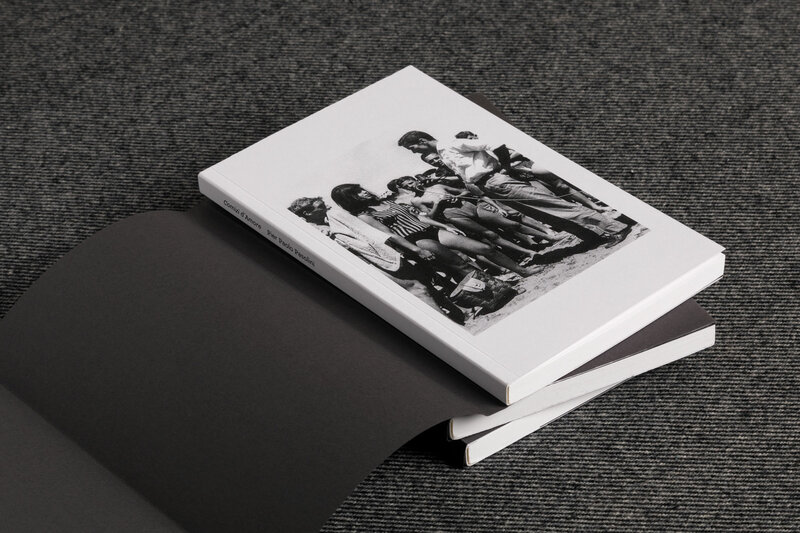 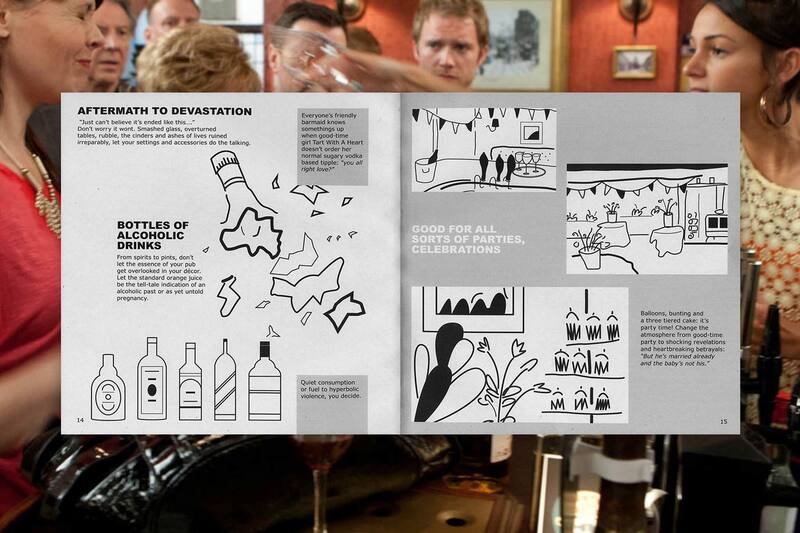 William Davey approached us to design a book for one of his projects, Happy Endings. 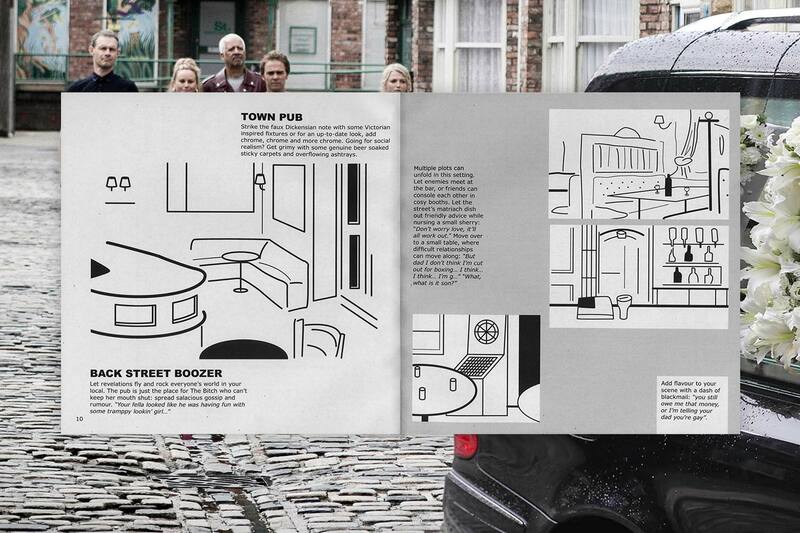 Our task was to give his texts and illustrations the likeness of a furniture catalog while supporting his examination of classic British soap operas, which we achieved through subtle typographic references. 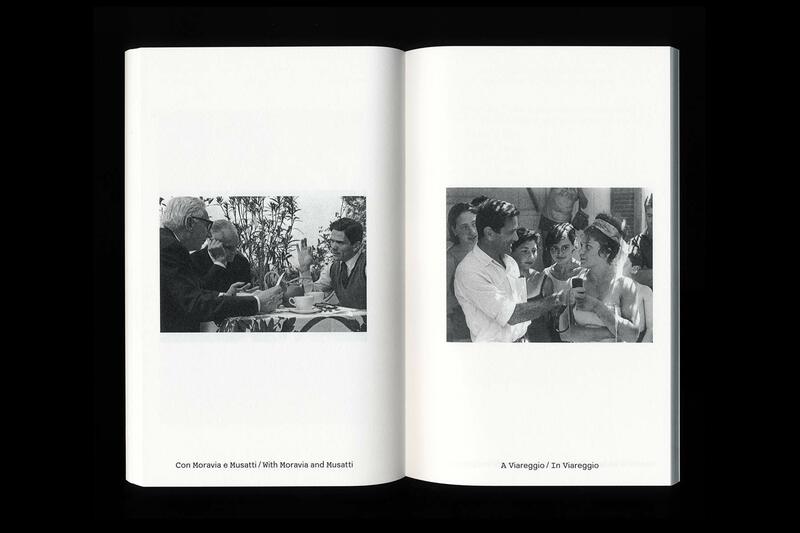 This project examines the storyline conventions and structures of soap operas. 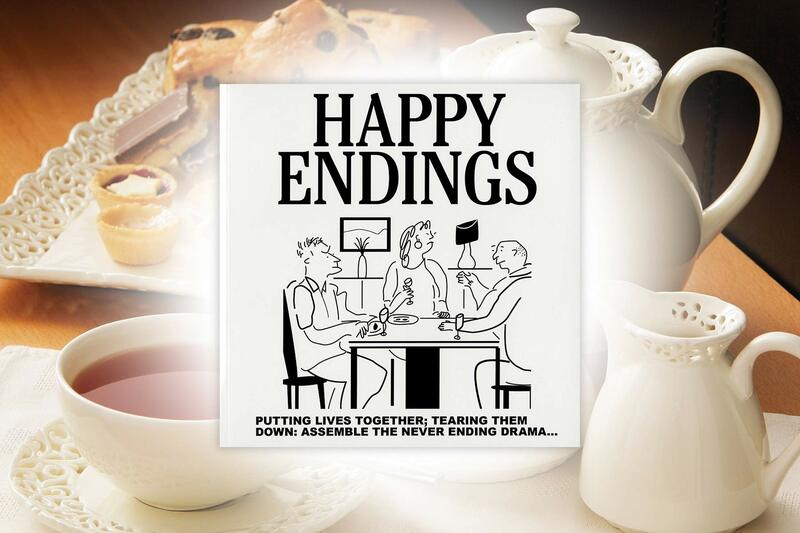 As a viewer we are told that the soap opera offers a reflection of real life through the identification of character tropes and hard hitting storylines. 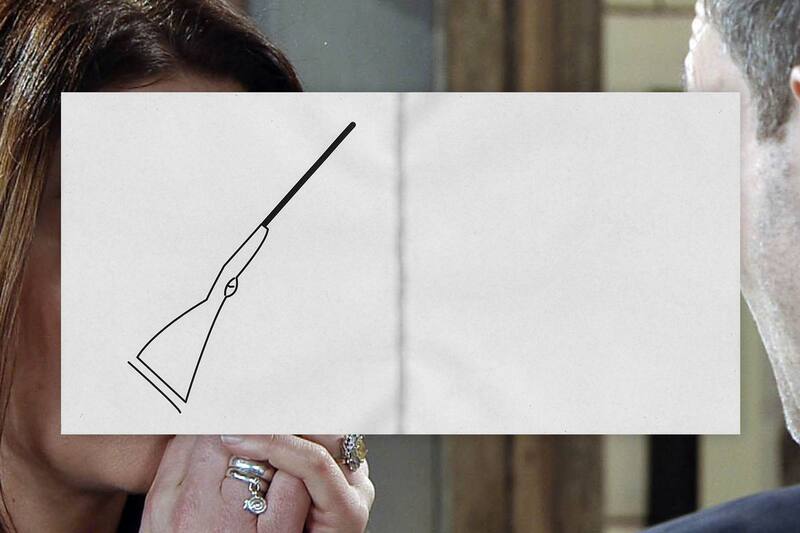 However, I believe soaps really offer a dramatized voyeurism through the ongoing episode, or the ever expanding middle. 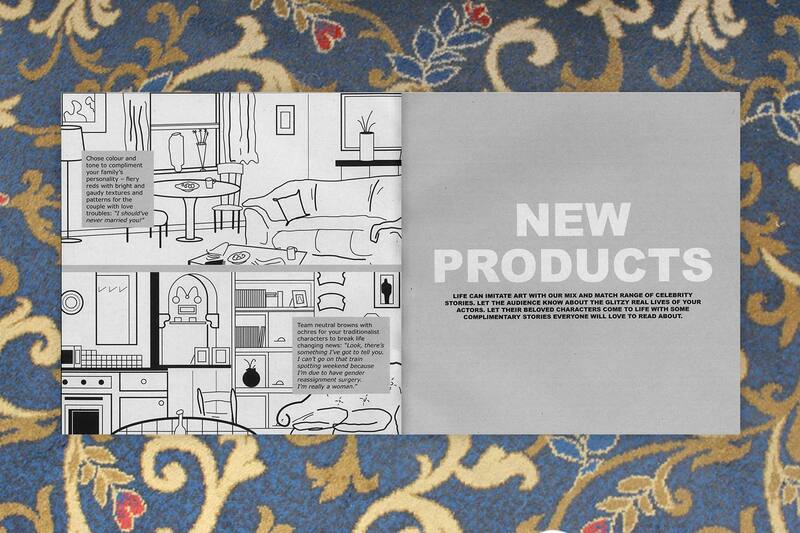 These archetypical soap opera assemblies easily lend themselves to the pre-packaged furniture catalogue. 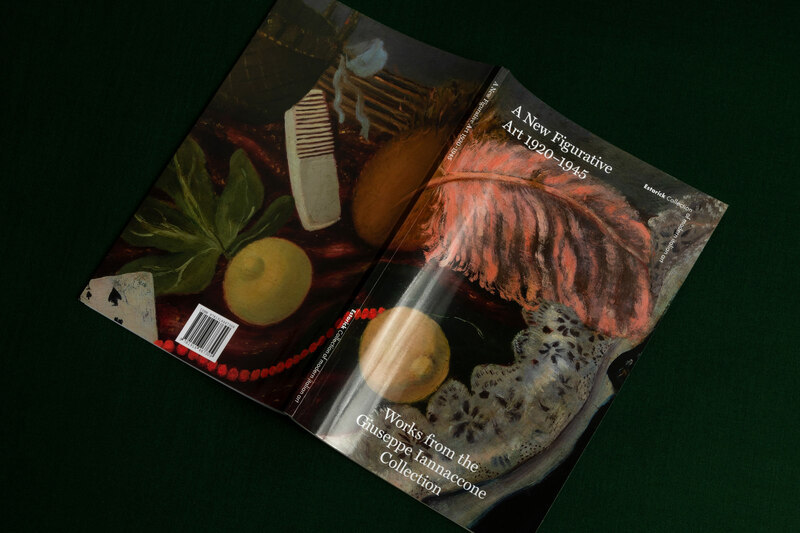 The catalogue promises convenience of choice, stylish design at an affordable price, and the organization of life through Tupperware boxes and waste storage ideas. 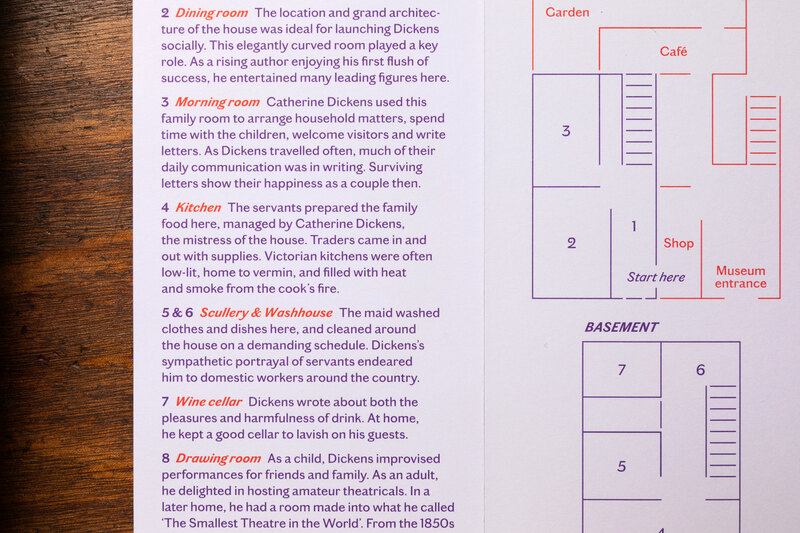 By reframing the soap opera in the context of the furniture catalogue I aim to reposition the familiar archetypes as a self assembly, flat pack commodity. 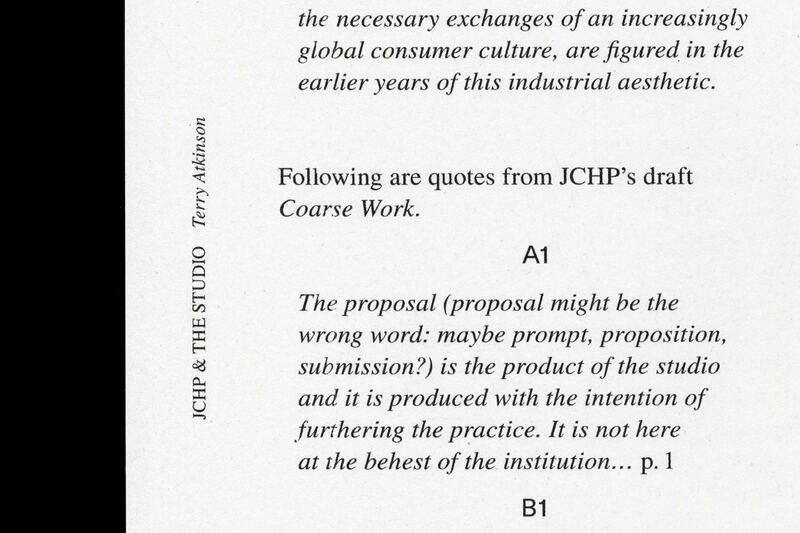 Primitive Propositions: A Proposal for Exhibition is a publication made in collaboration with artist collective Jeffrey Charles Henry Peacock including contributions from Terry Atkinson (of Art & Language), Michael Hampton, and Matthew Poole. 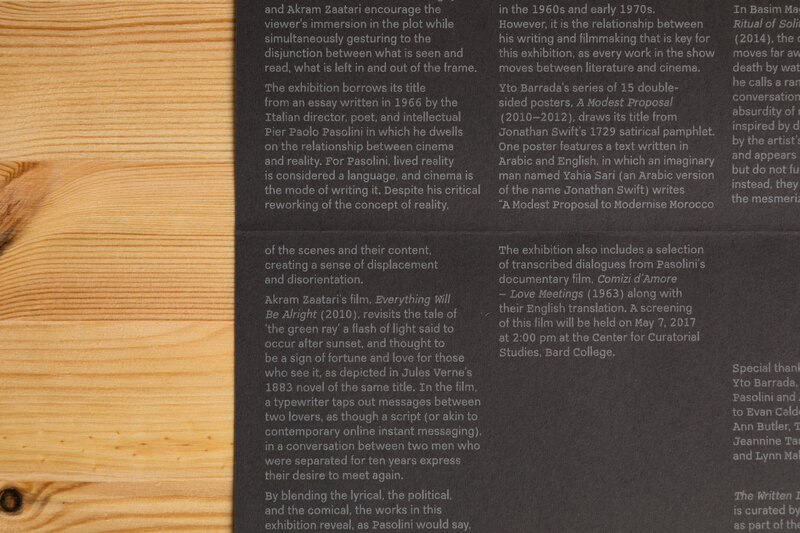 It is intended as a form of artist proposal, exhibition, and art object in itself. 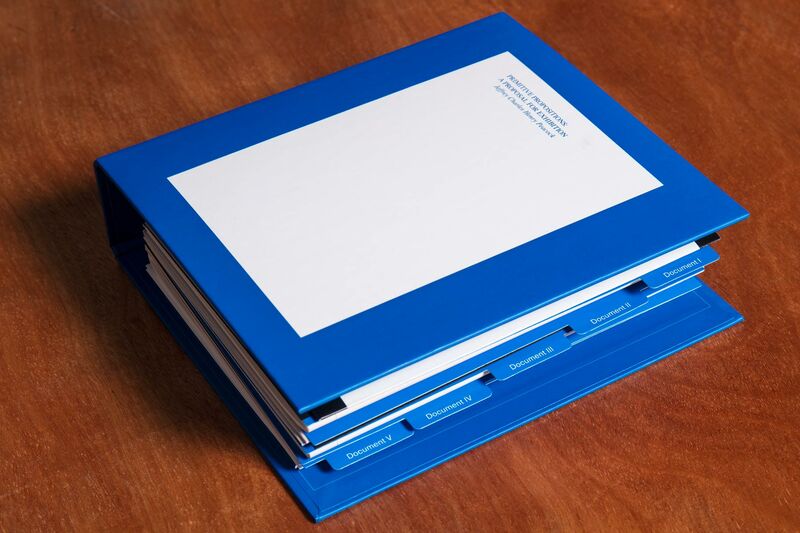 The publication comes in the form of an A5 ring binder containing various text-based inserts, utilising a wide variety of printing processes and materials. 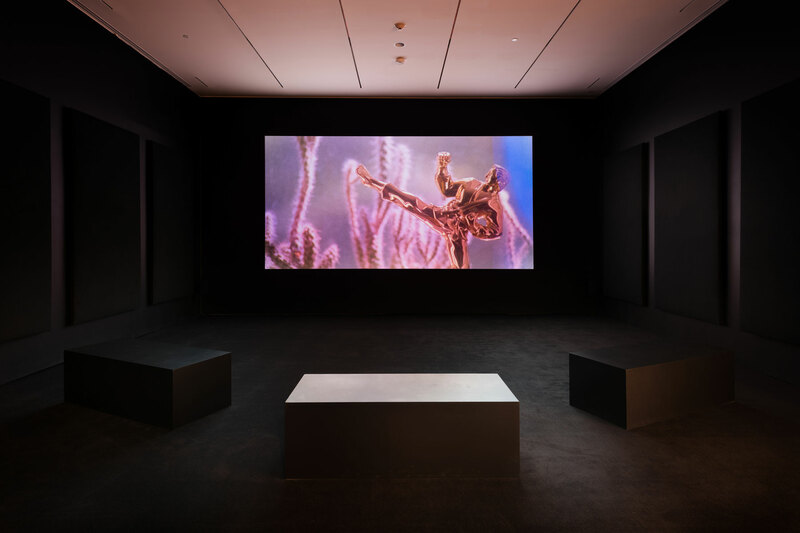 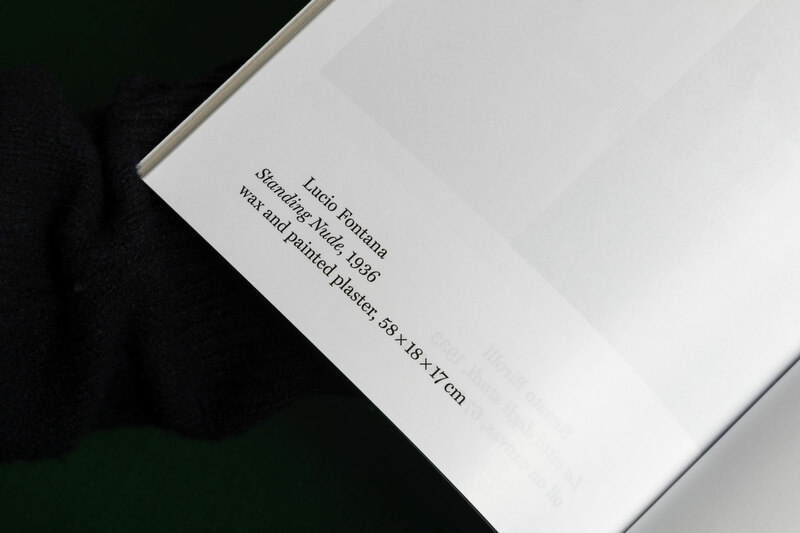 It was necessary that the proposal could be added to, amended, and corrected over an extended period of time, as further research was collected by the artists. 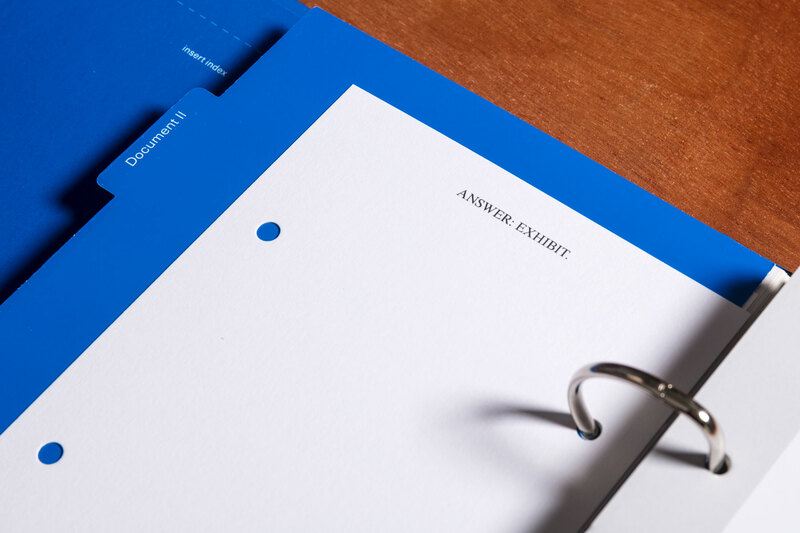 Finding a form that could successfully contend with these difficulties was important. 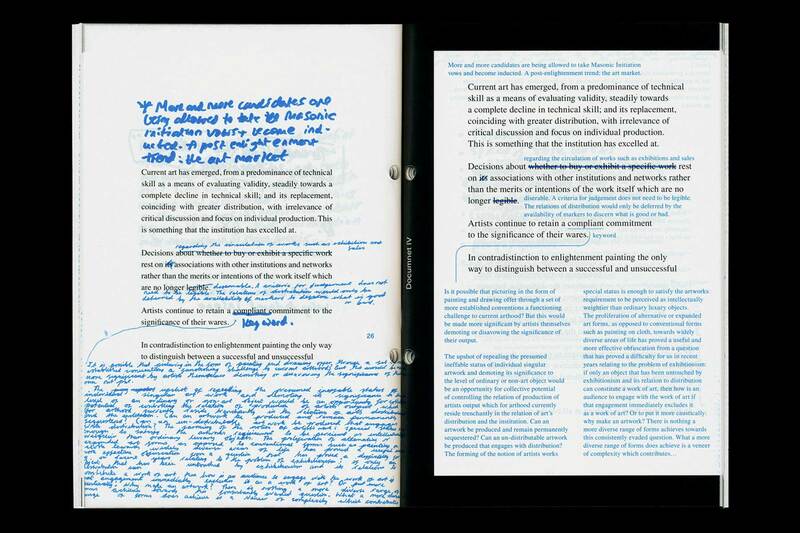 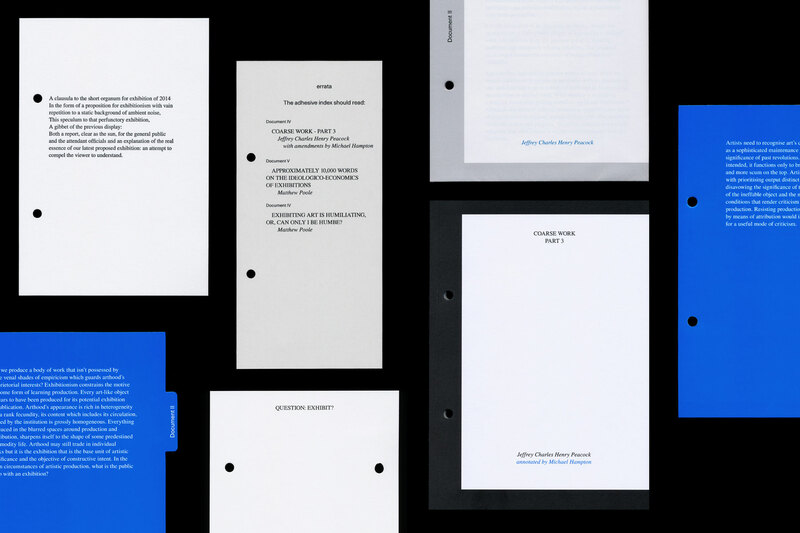 The binder arises from the idea of a physical artist proposal. 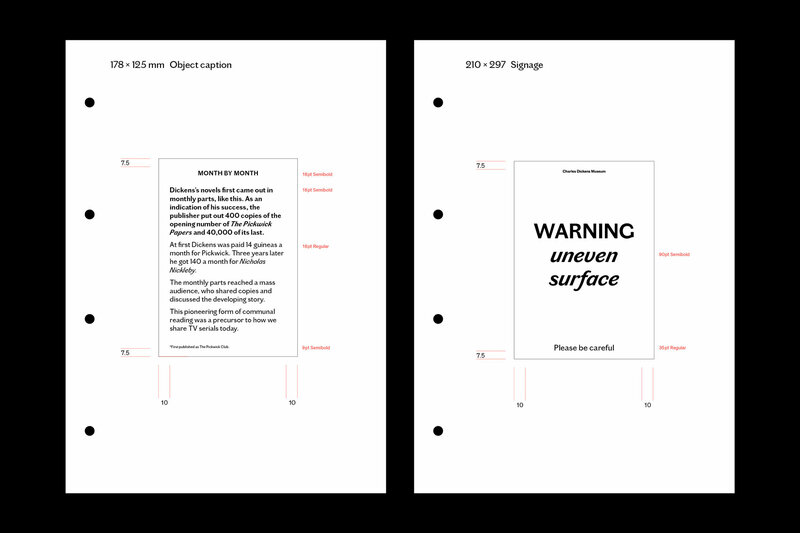 The typography is reduced to a default digital standard such as those found in software like MS Word. 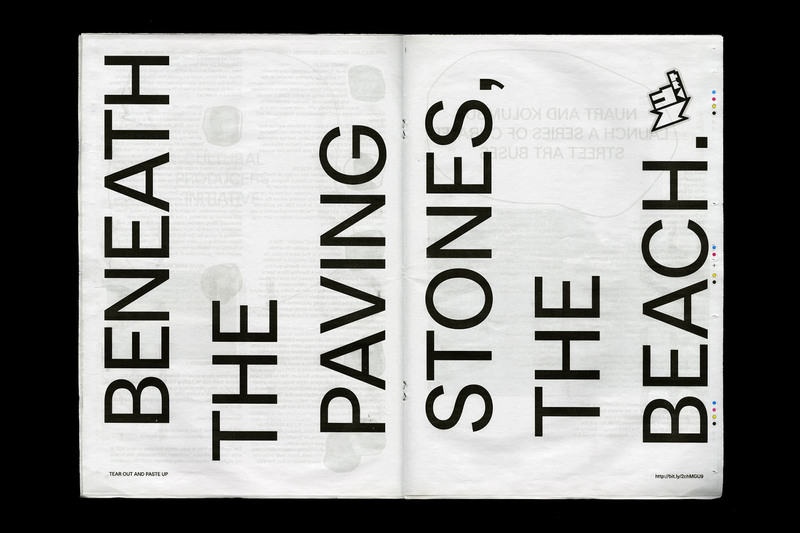 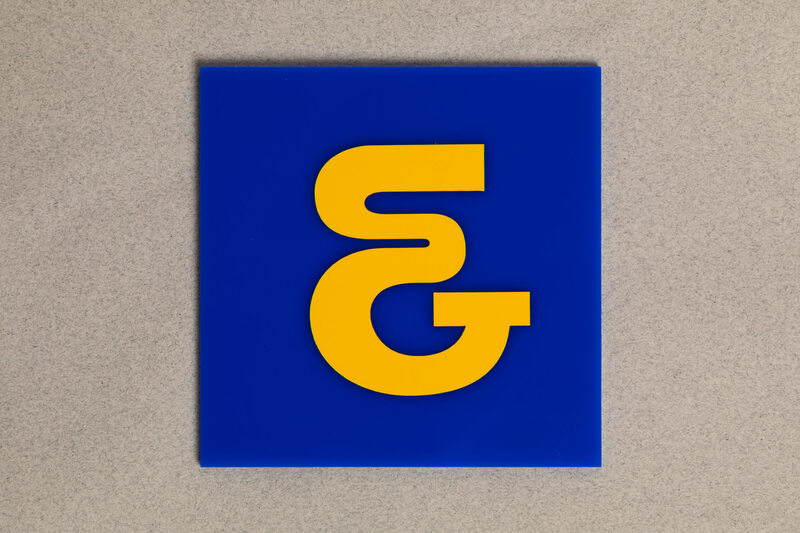 Times was used as the primary typeface; but was tweaked to include square dots rather than circular ones, as a reference to the grid drawings in the first part of the project. 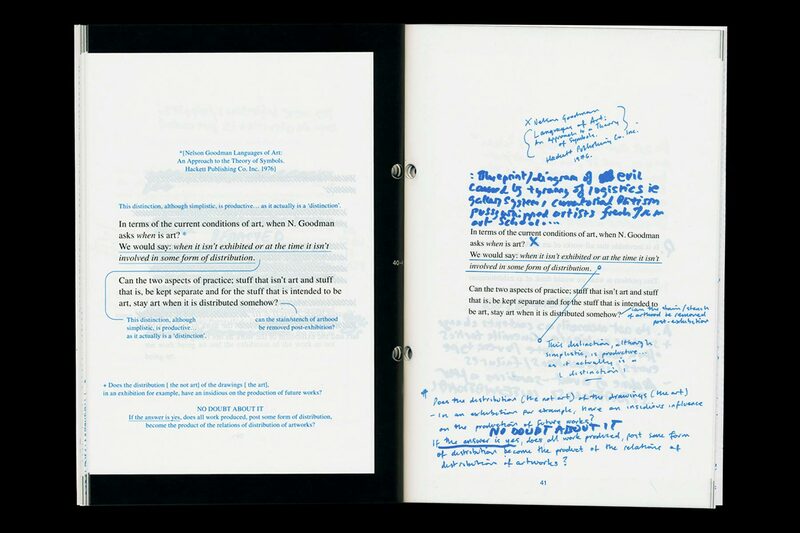 The organization of the publication is meant to reflect the relative inaccessibility of much of the written content, by appearing as a dry, bureaucratic object, and by requiring an effort of physical engagement in order to simply access the content. 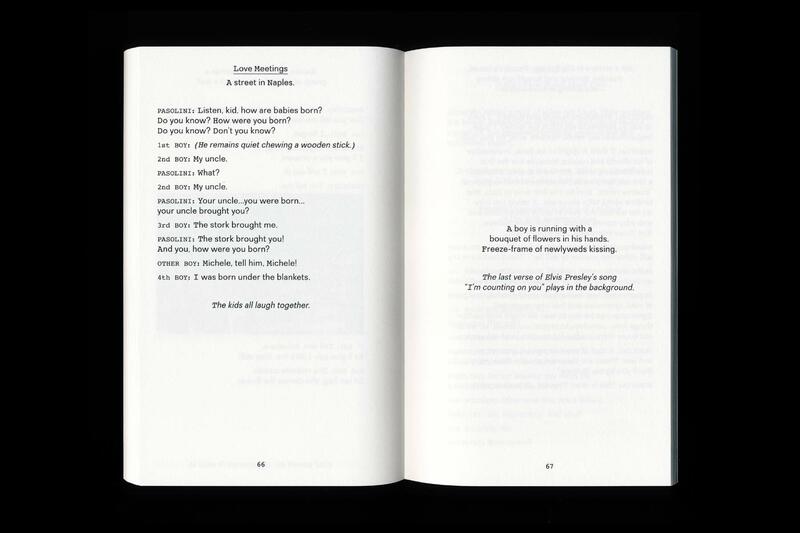 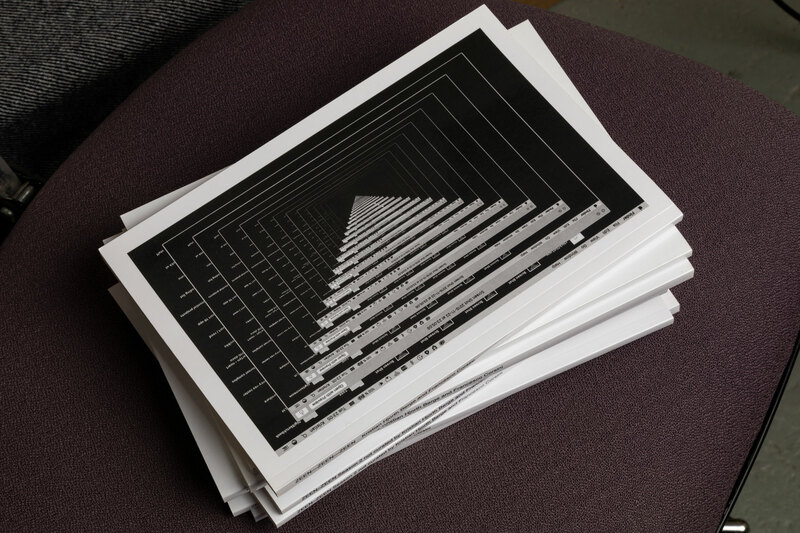 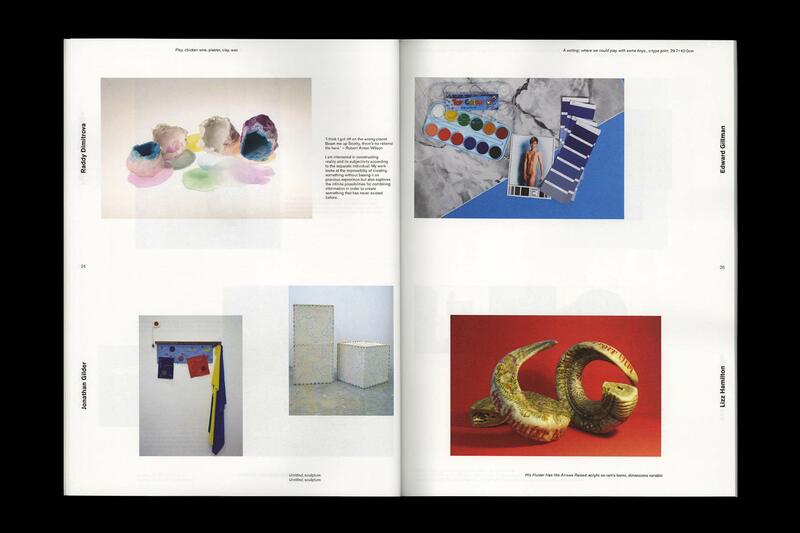 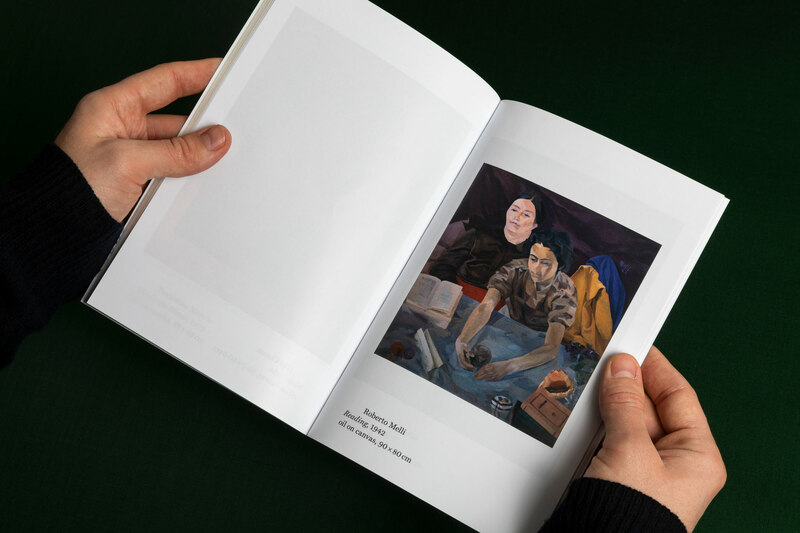 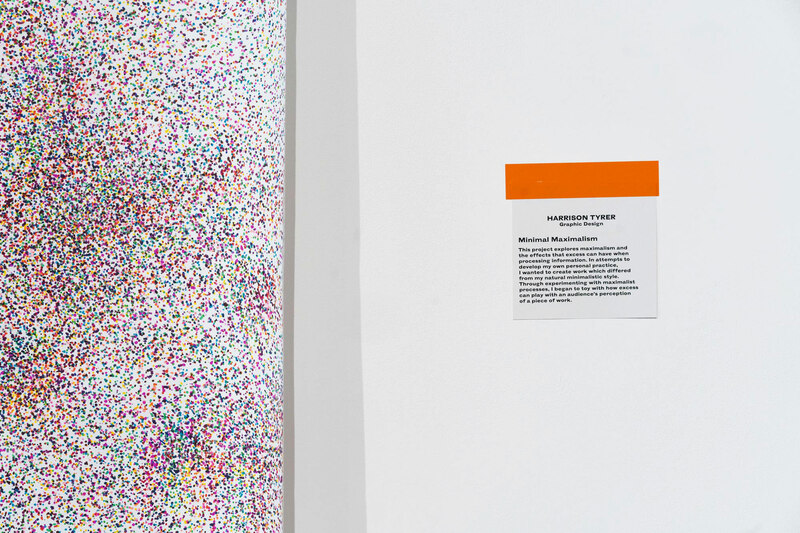 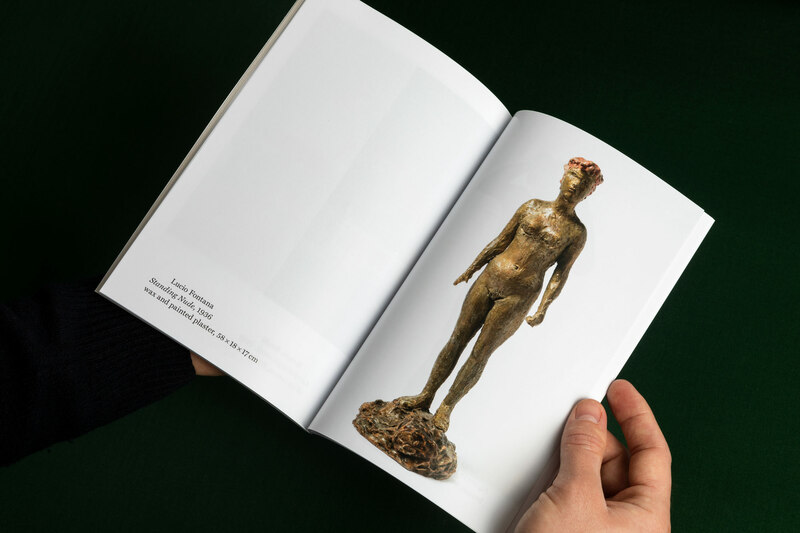 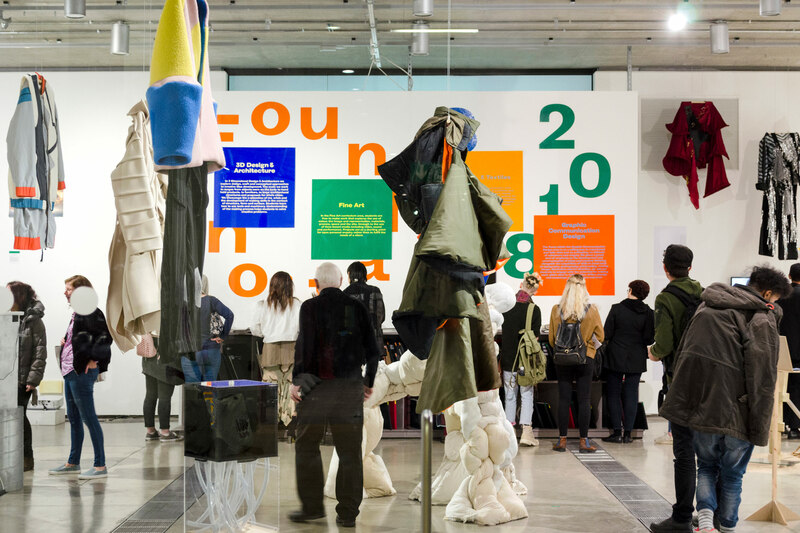 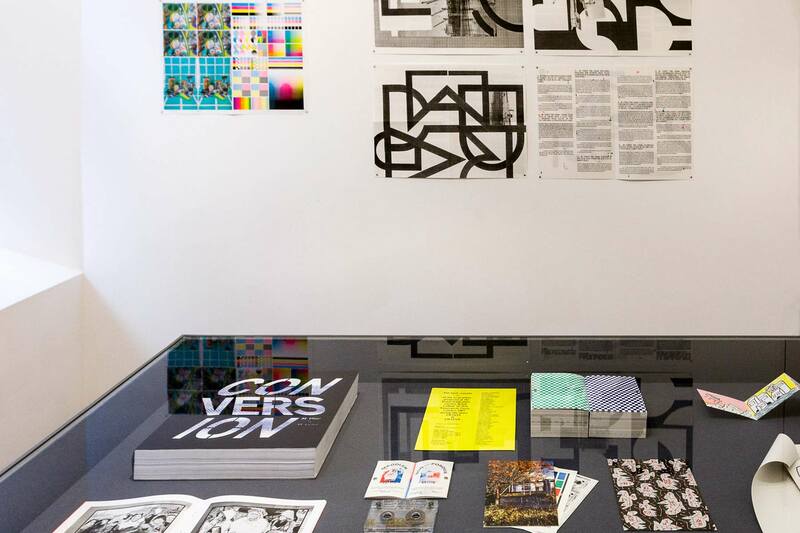 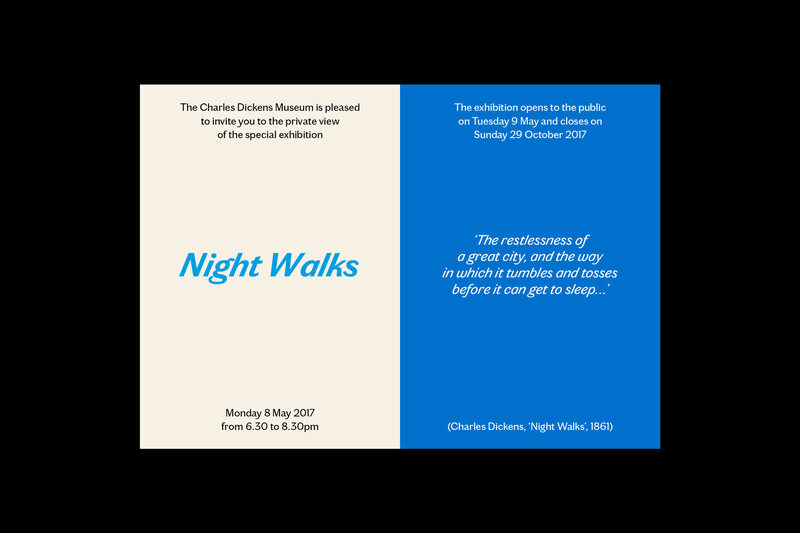 Primitive Propositions: A Proposal for Exhibition was launched as an edition of 350 copies at the East Street Arts in Leeds, October 2015, as part of an accompanying exhibition coinciding with the opening of The British Art Show. 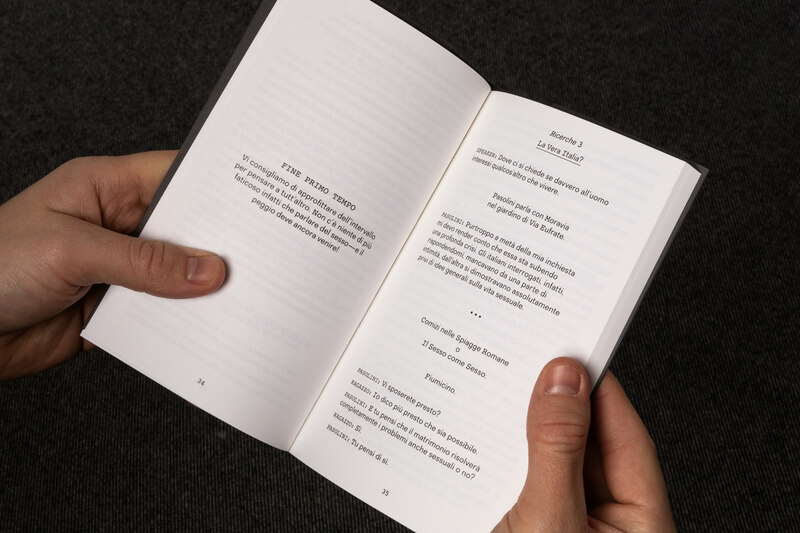 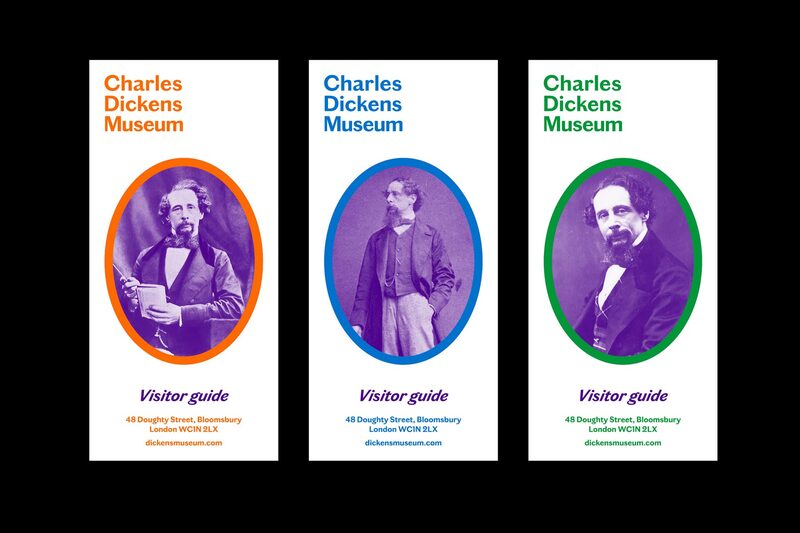 However, additional material was added post-launch, with a second and final launch of the publication taking place at the Westminster Reference Library in London, December 2016. 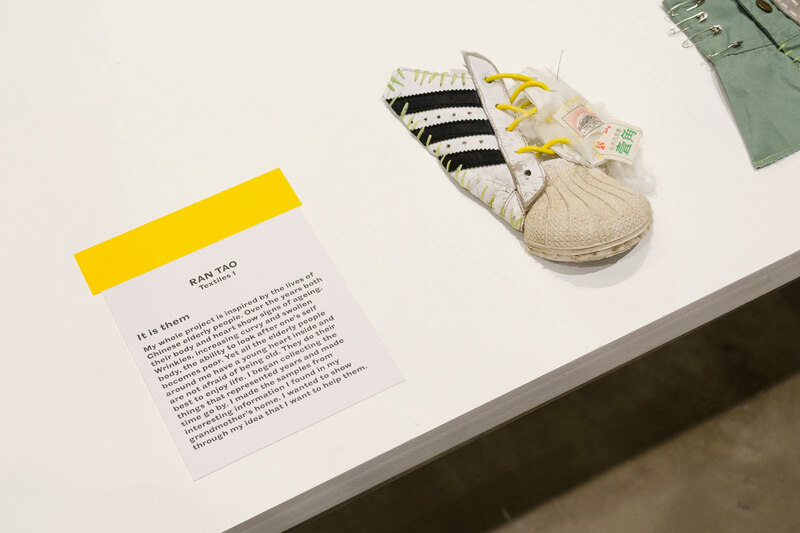 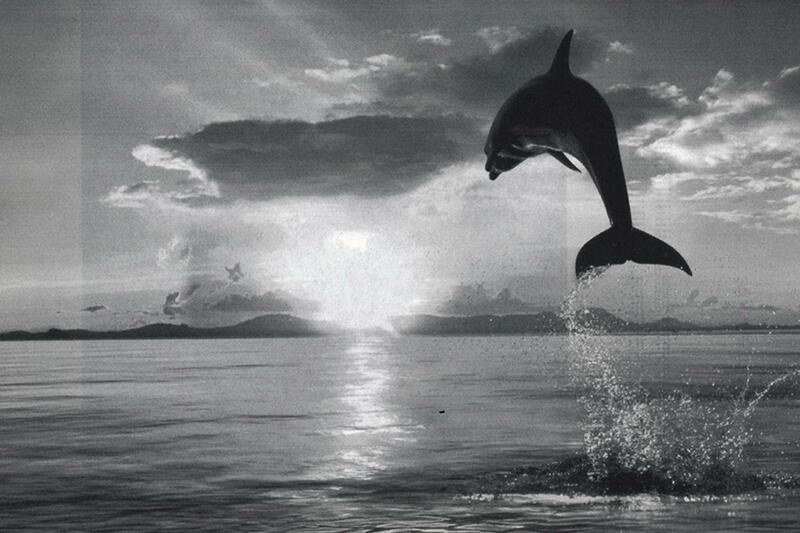 A potential future exhibition would see the finalization of the overall project. 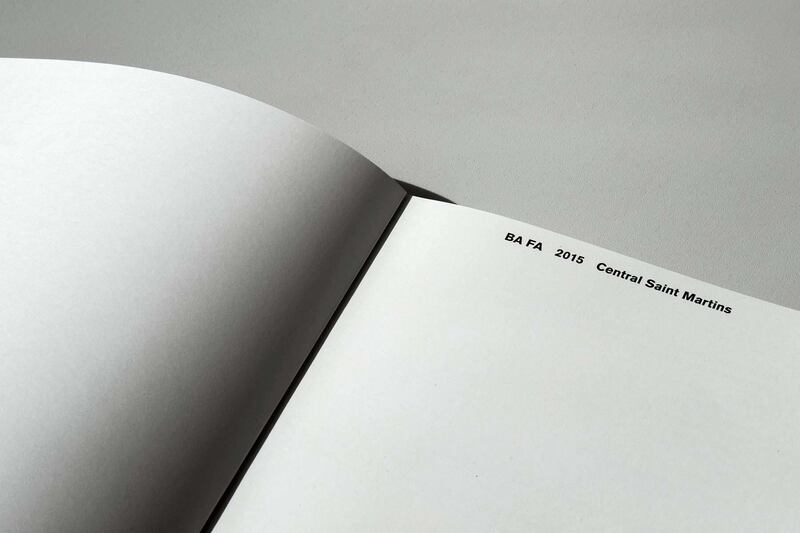 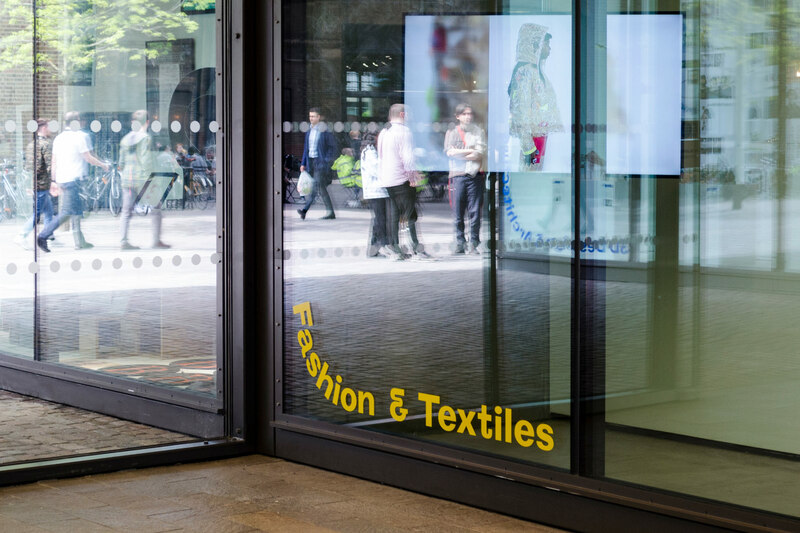 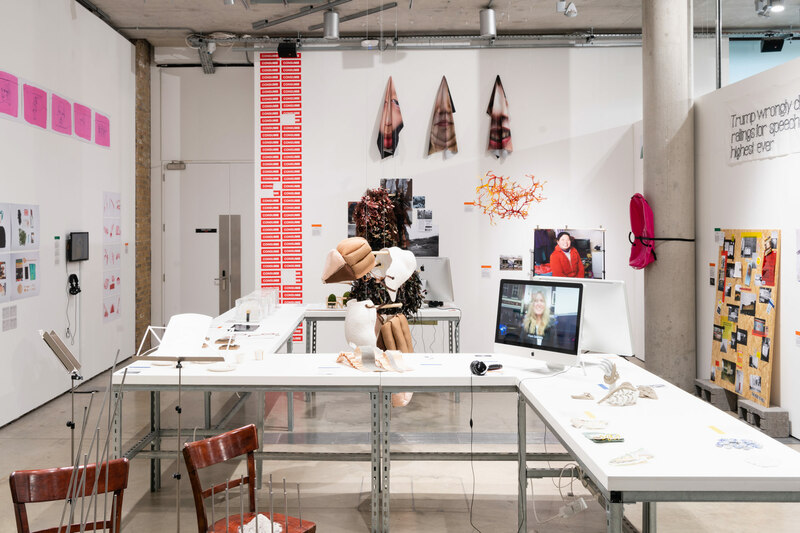 The Central Saint Martins BA Fine Art class of 2015 asked us to design their graduation show catalog. 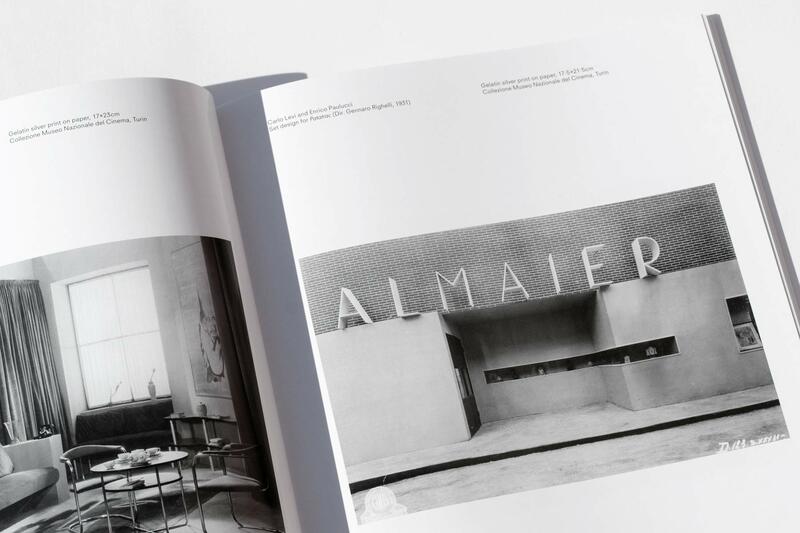 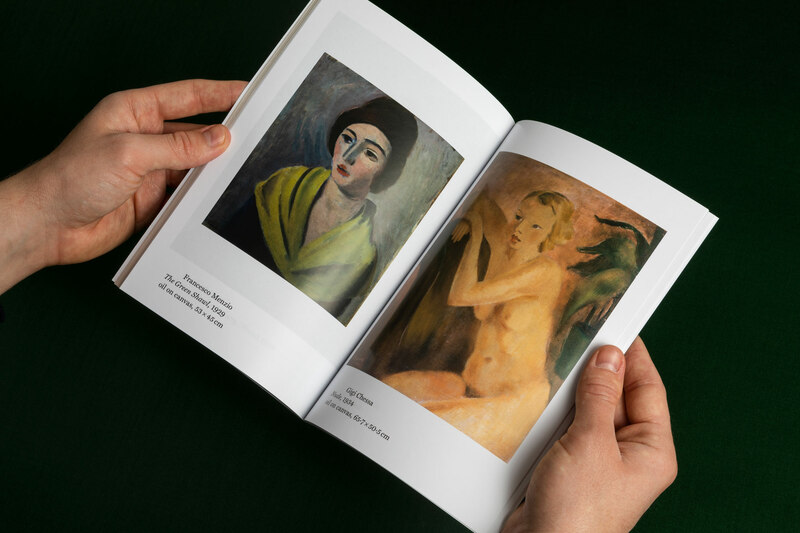 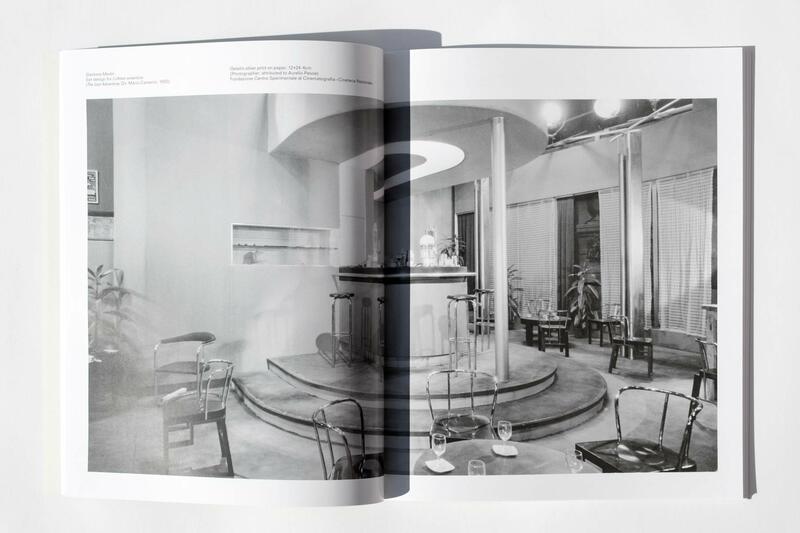 The initial brief was to make the catalog soft-covered and magazine-sized, with a minimal design that would let the artworks speak for themselves, while at the same time avoiding a rigid and repetitive layout. 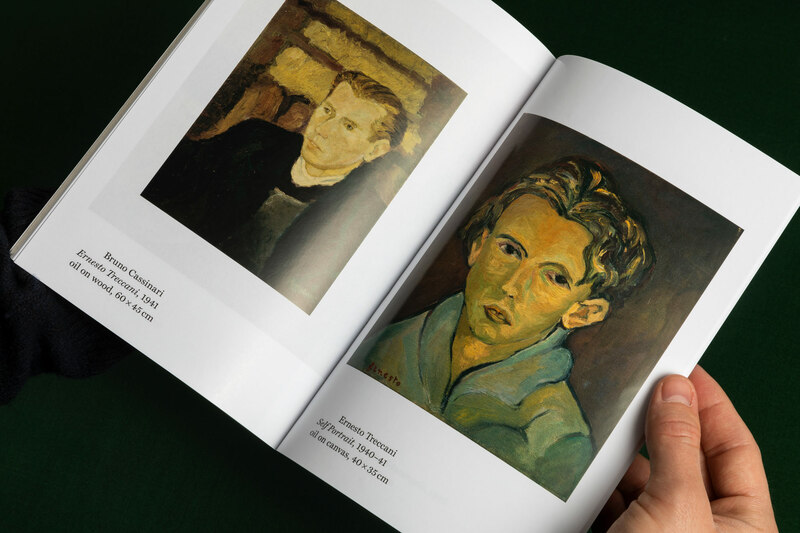 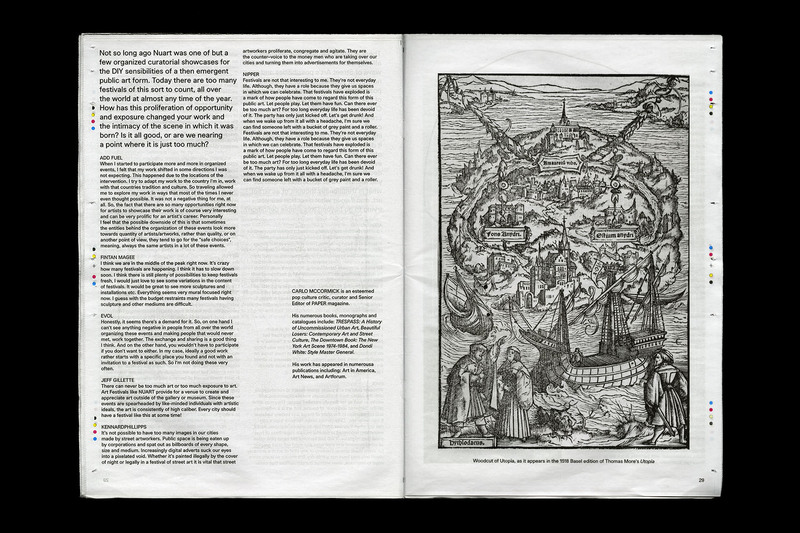 For each of the almost 150 students we had to accompany images of artworks, descriptions, and a blurb. 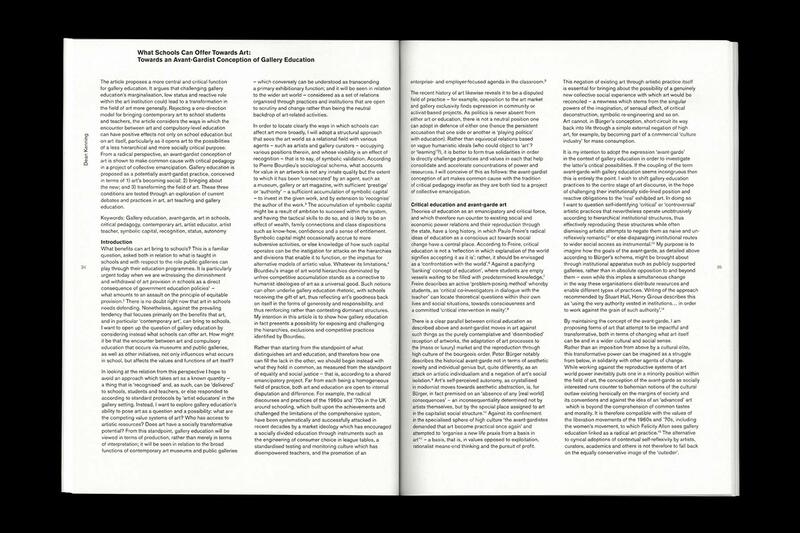 There were also seven commissioned essays and one interview to include. 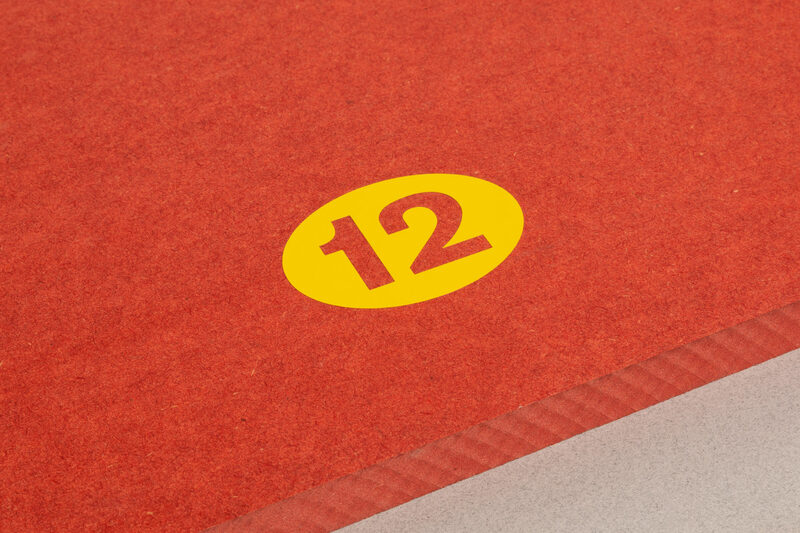 Our solution was to develop a grid system with the ability to accommodate all of those different elements, but that would also look good if it were in places to contain only one of the elements, as we anticipated the contributors would likely not all be supplying the same kind of content. 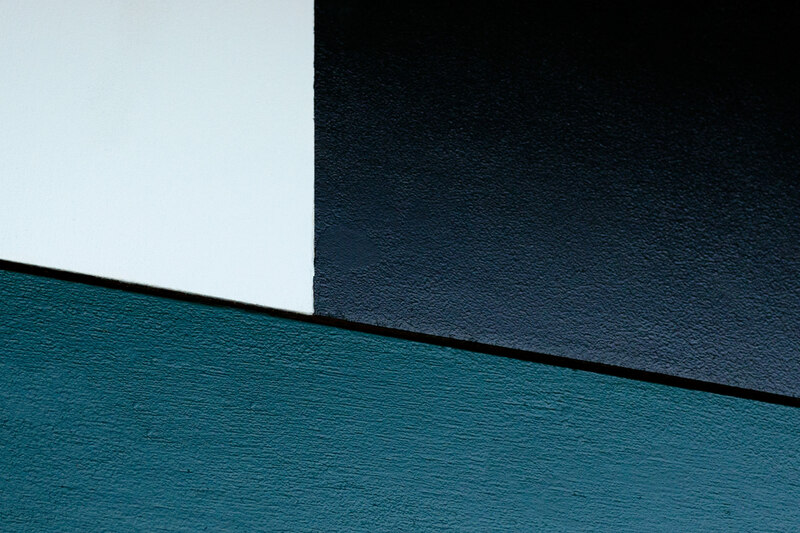 And due to the sheer volume of content, our system had to be very rational and leave very few variables for us to adjust, so that we wouldn’t have to obsess over details too much. 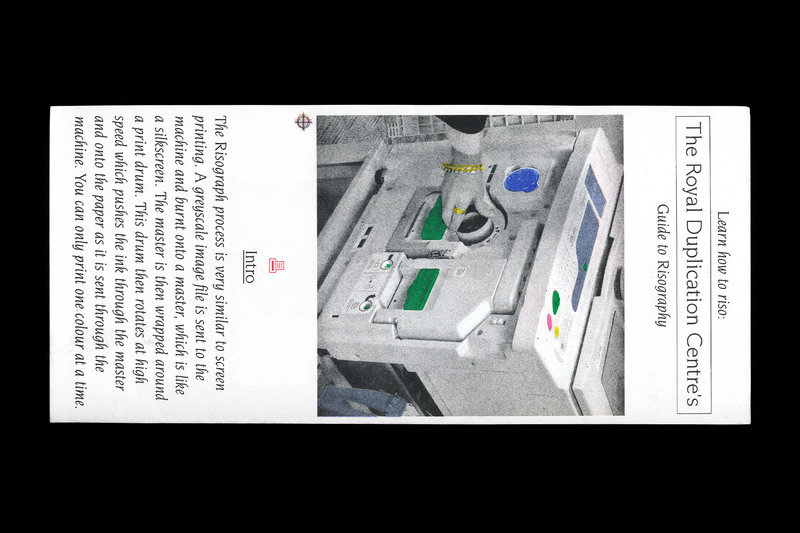 At the same time the system had to have a certain flexibility to it, in order to give an impression of continuous movement. 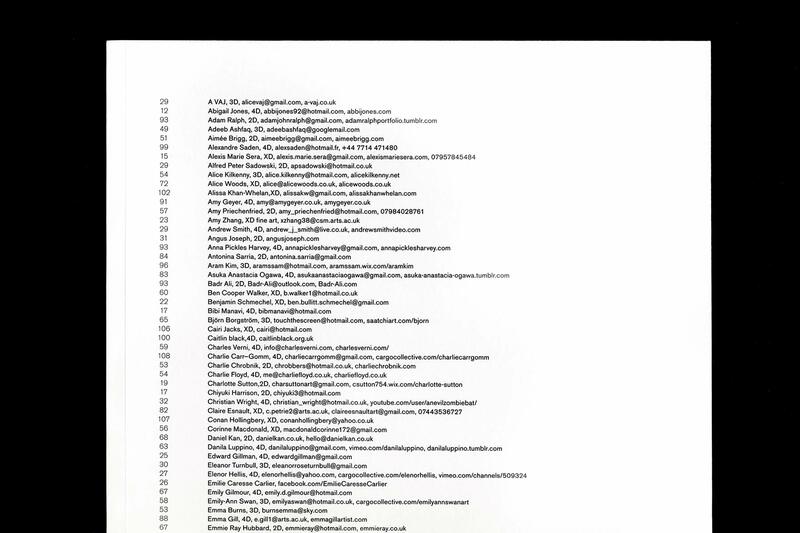 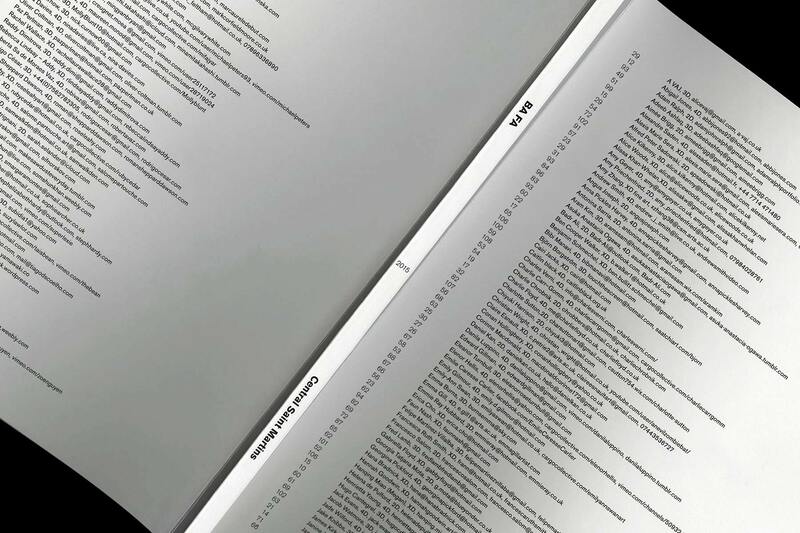 The front and back covers have a full alphabetical index of all the contributing students with their contact details. 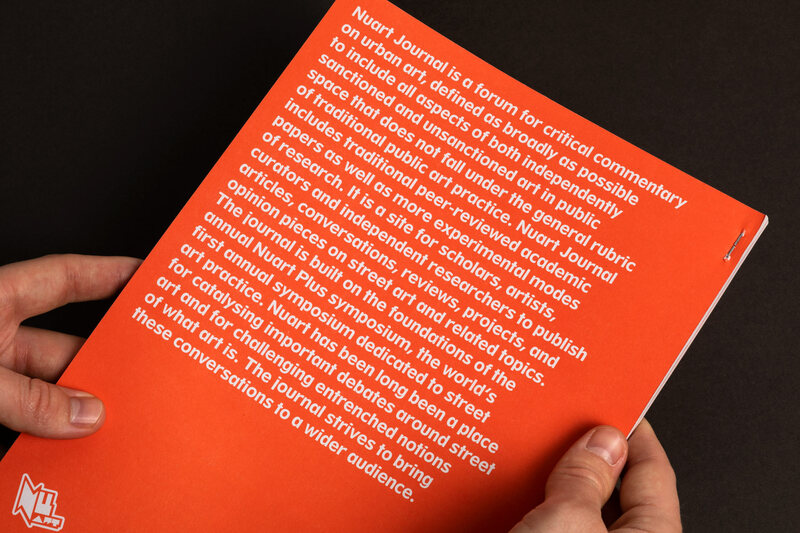 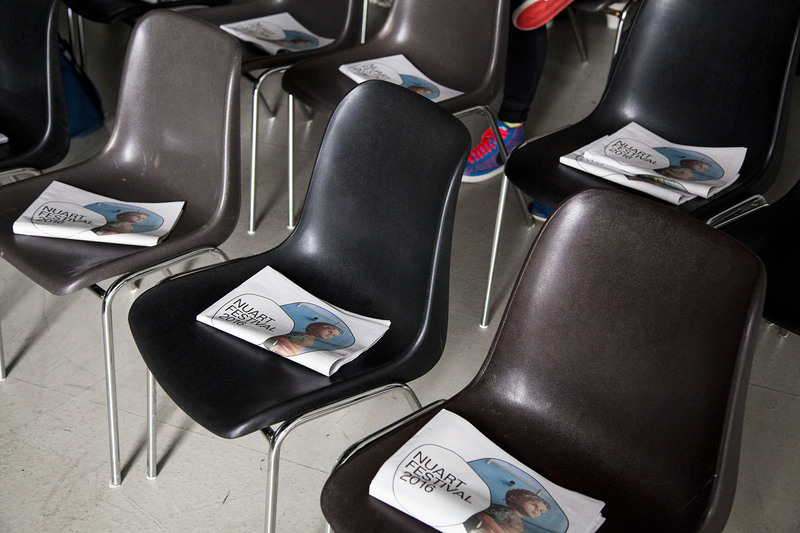 We also designed and screen printed 50 neon pink dust jackets for the sponsors of the production of the publication. 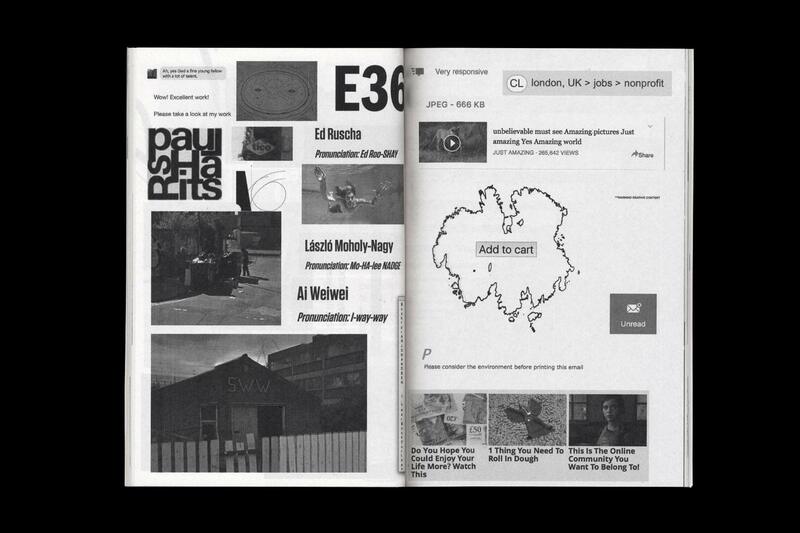 Variations I was conceived as a series of chance operations that ultimately led to the creation of a publication realised by Central Saint Martins students in London. 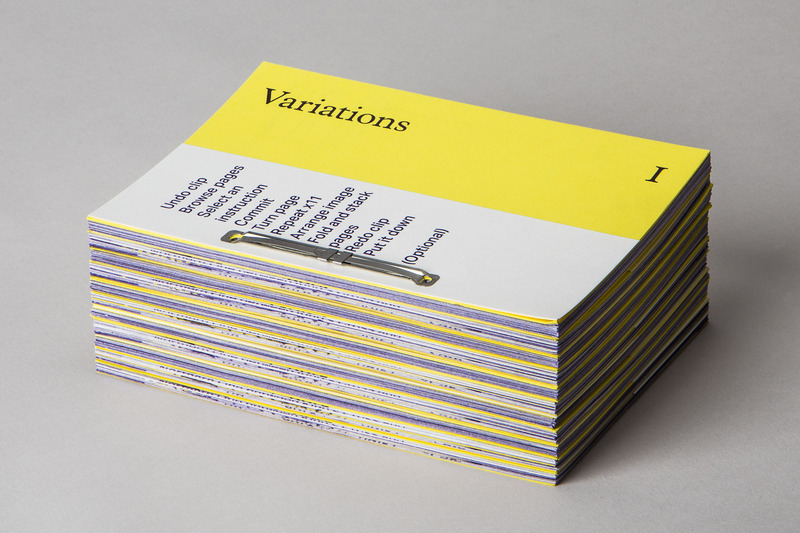 Variations I consists of a set of instructions that like musical scores have the potential to be realised by anyone other than the original creator. 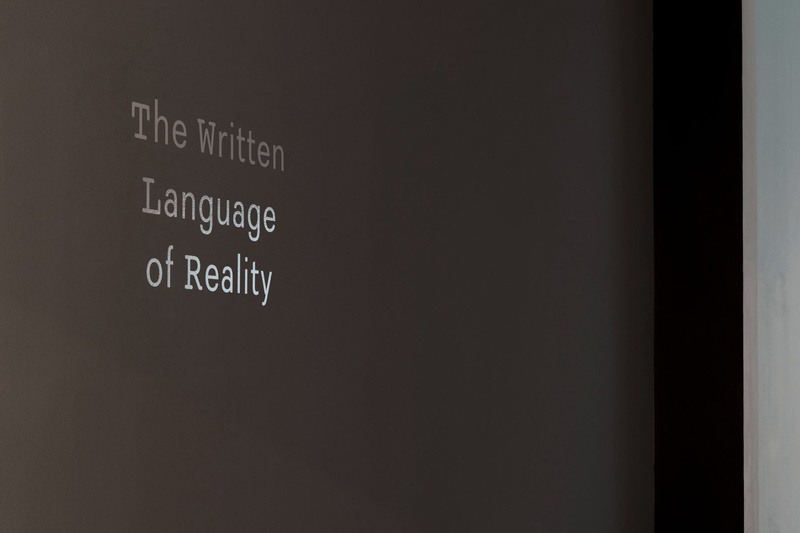 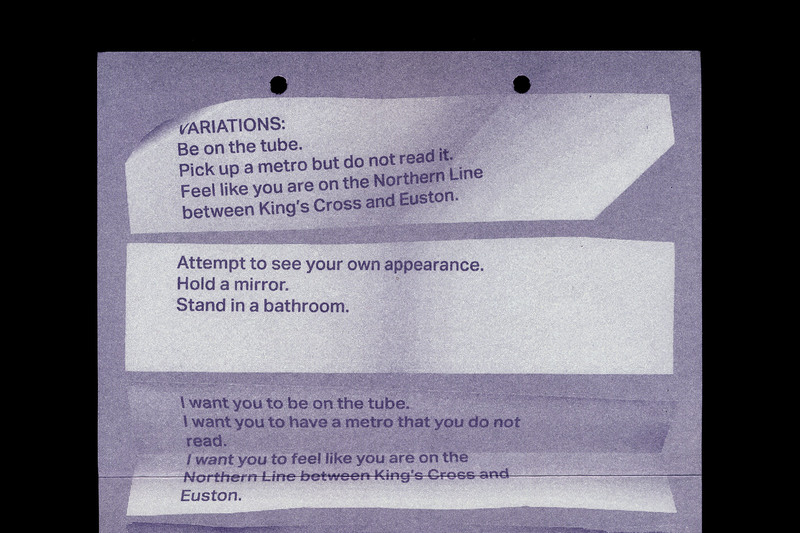 The instructions involve real and imaginary actions, ideas, and objects from everyday life re-contextualised as performance. 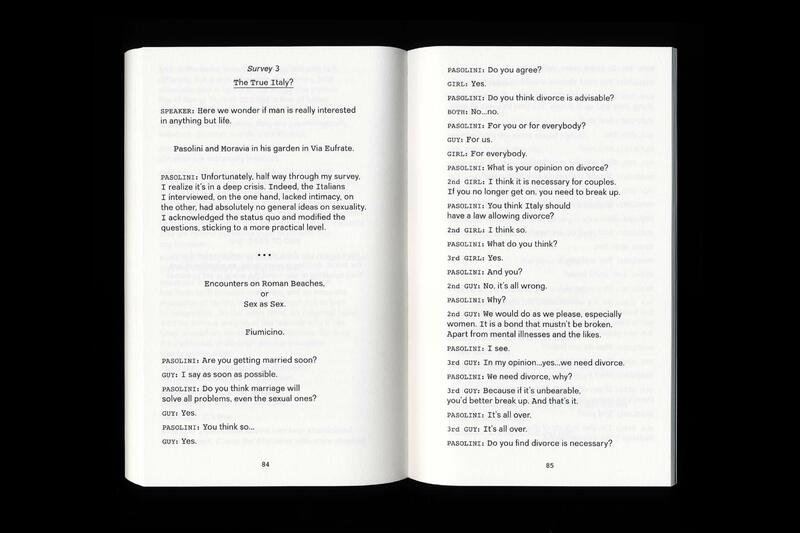 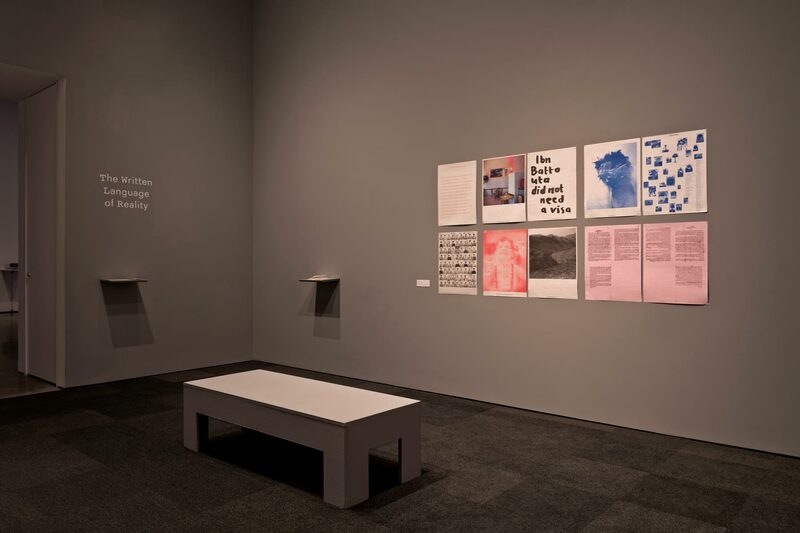 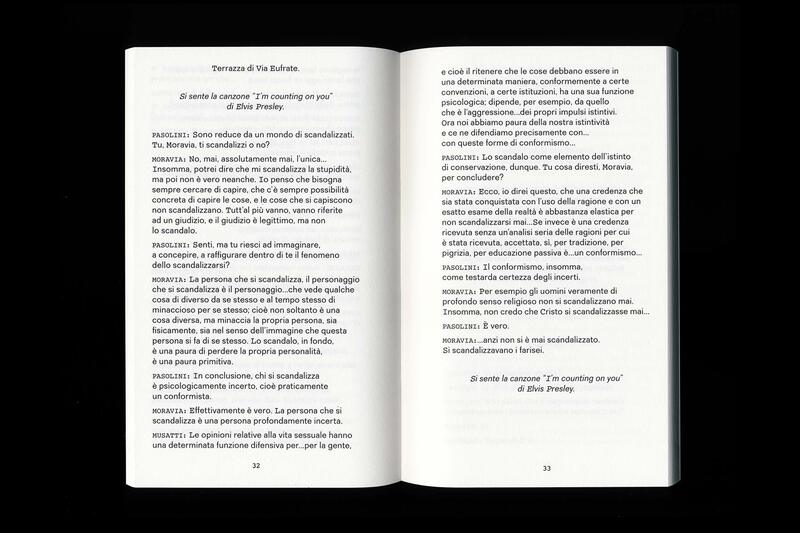 Taking its name from an experimental musical score written by the American composer John Cage in 1958, Variations I aims to turn its readers into active interpreters and participants by enabling them to perform, interpret and play with the instructions in different ways. 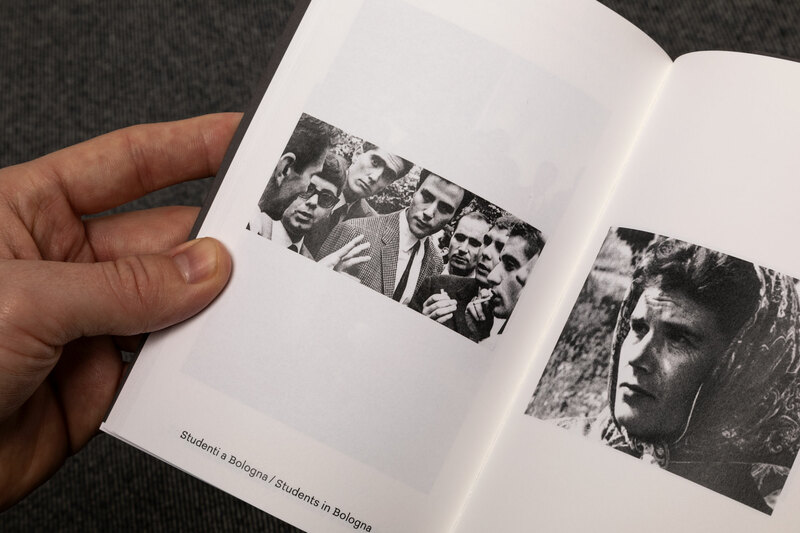 Inspired by Fluxus and conceptual artistic and curatorial practices of the 1960s, this publication could be seen as having a tripartite nature: as an “object” to be played with, a “portable exhibition” consisting of “Open Works”, and as a collection of “Texts” to be performed. 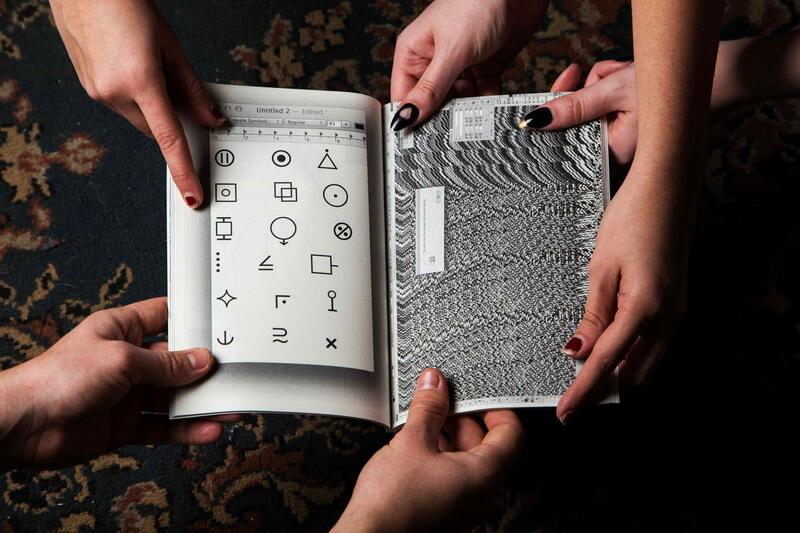 Our role in this collaboration was as art directors, designers, co-curators, and contributors. 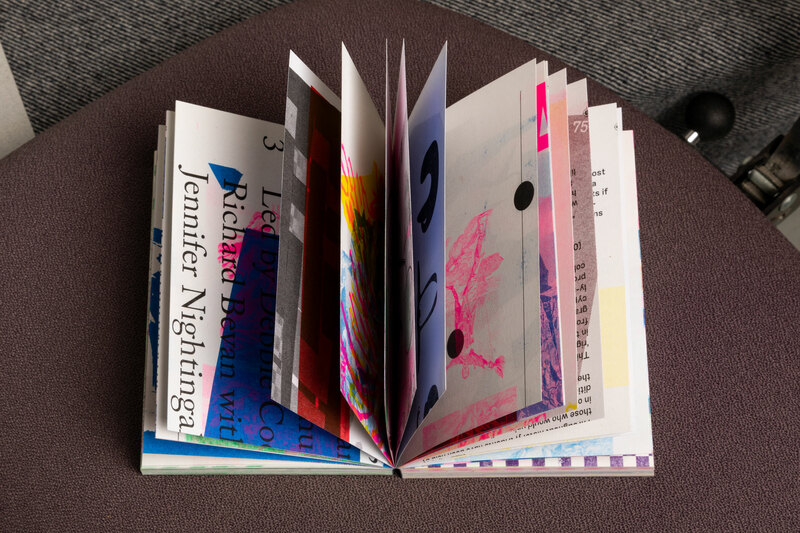 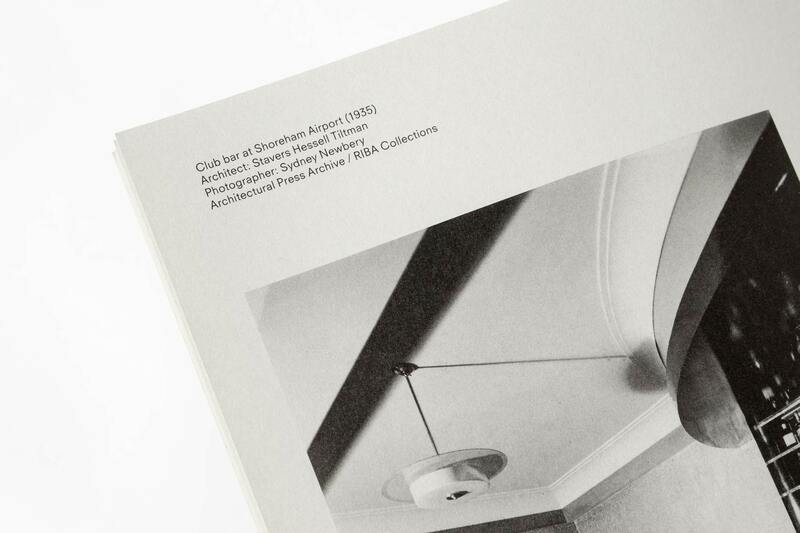 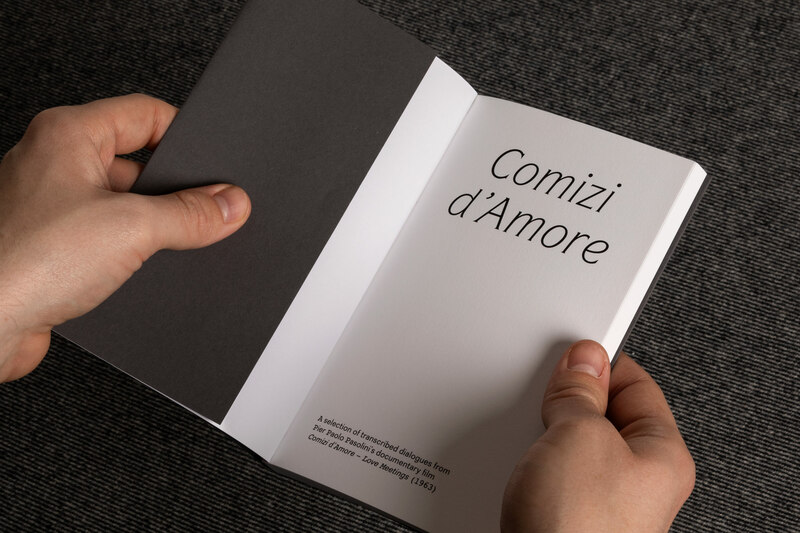 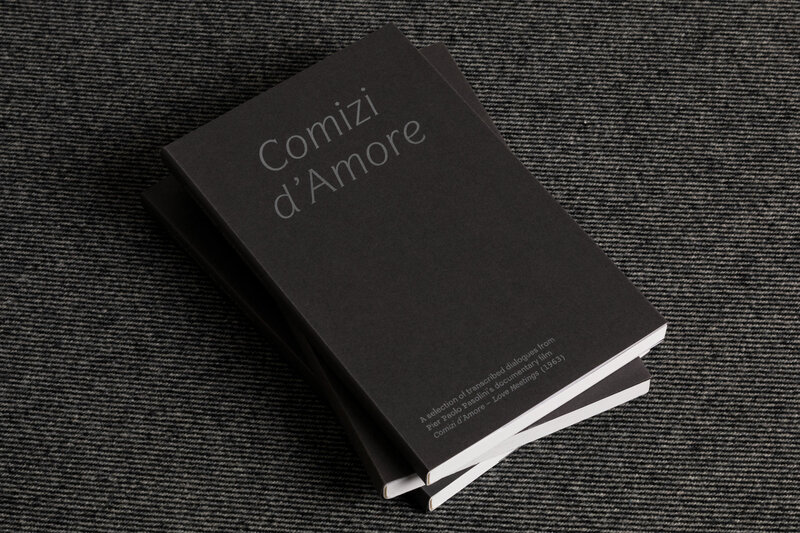 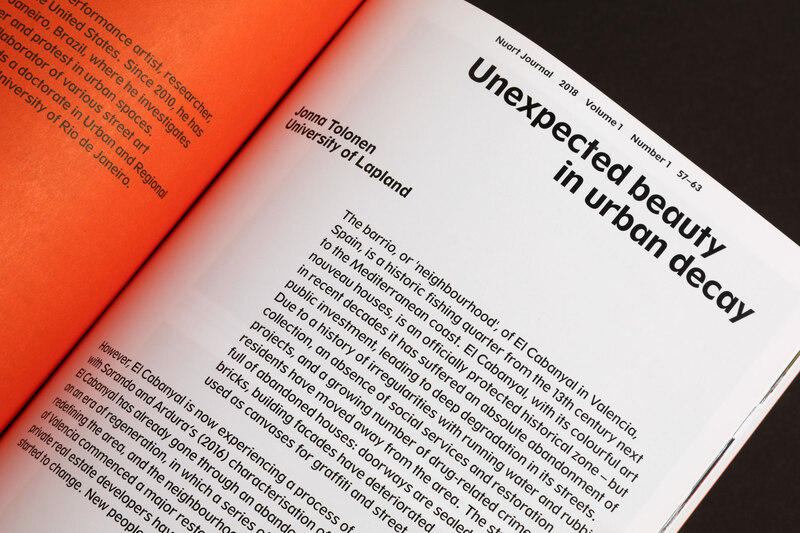 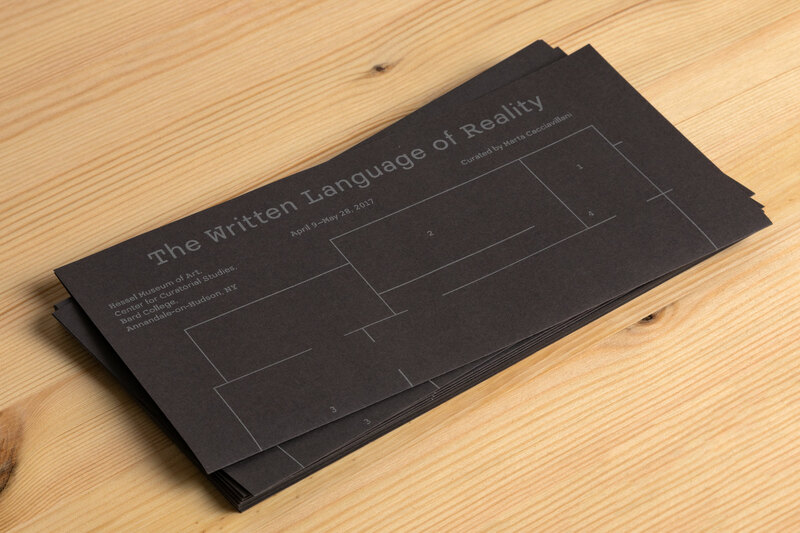 The publication was risograph printed, french-folded, and bound with a binding clip. 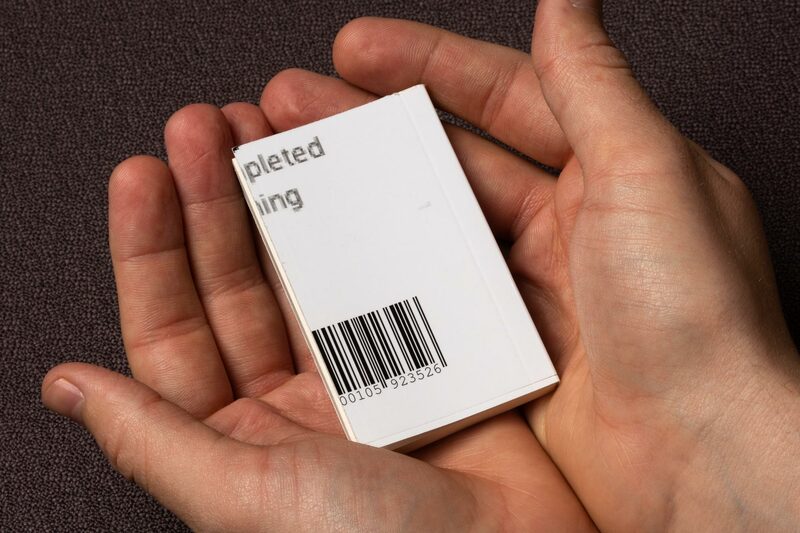 These factors all serve the purpose of making a cost-effective, intriguing, tactile object that could be easily disassembled, reassebled, and used. 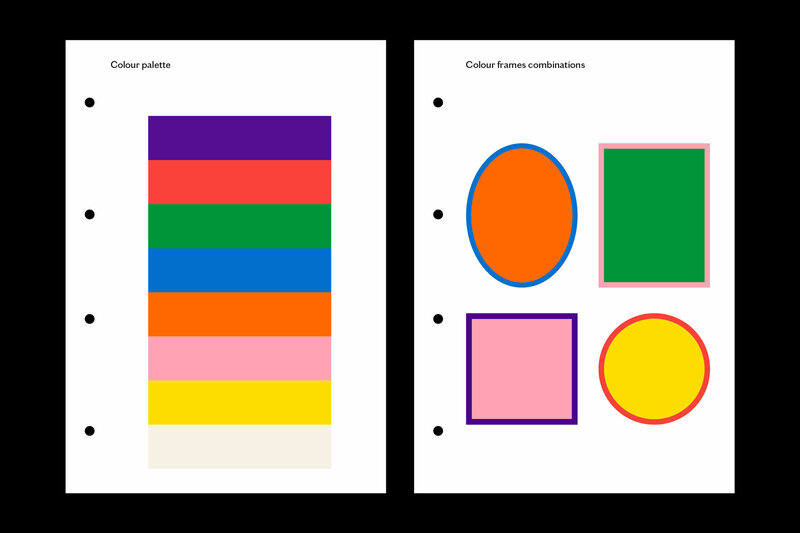 We produced this publication for Howard Griffin Gallery London on the occasion of Thierry Noir’s first ever retrospective exhibition. 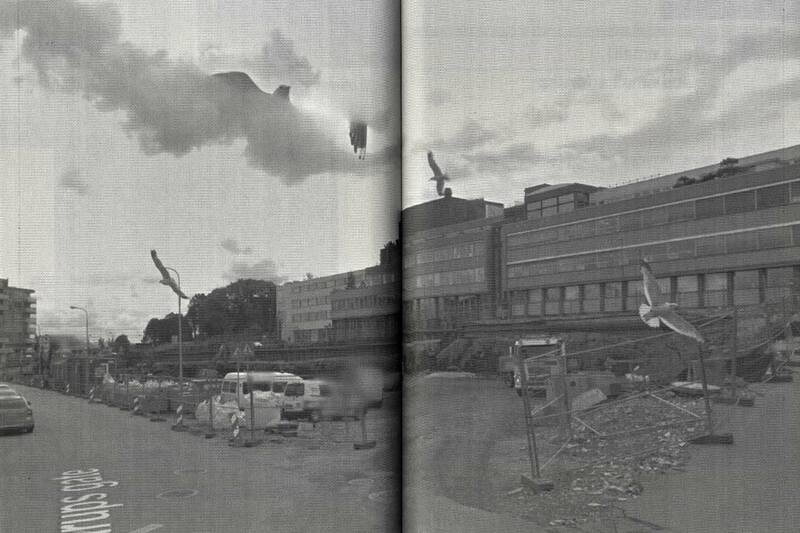 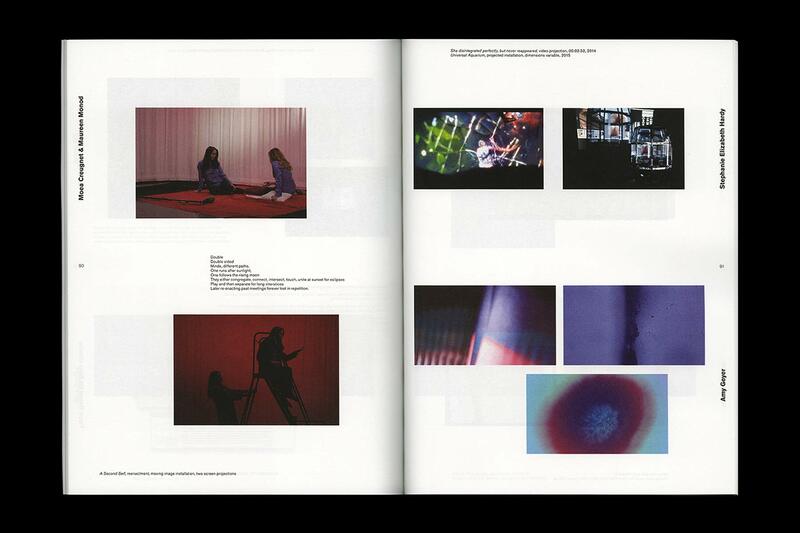 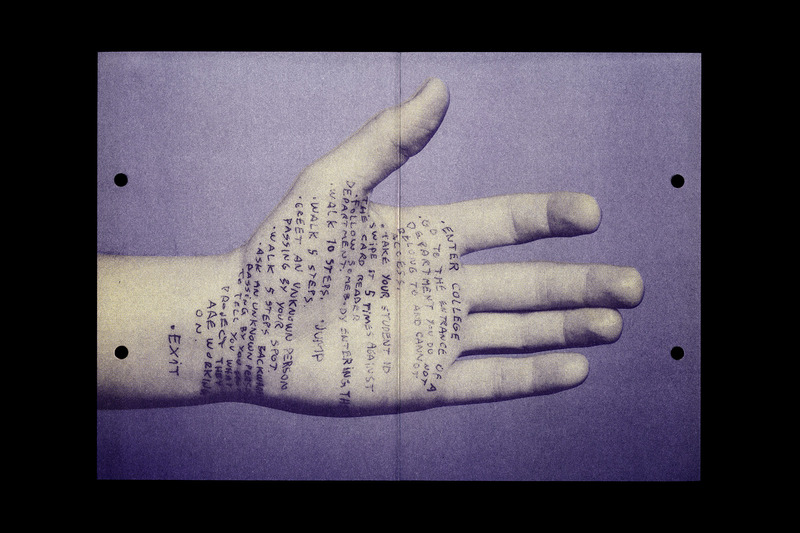 The booklet is comprised of an artist statement and an interview, as well as Noir’s own photos with accompanying stories. 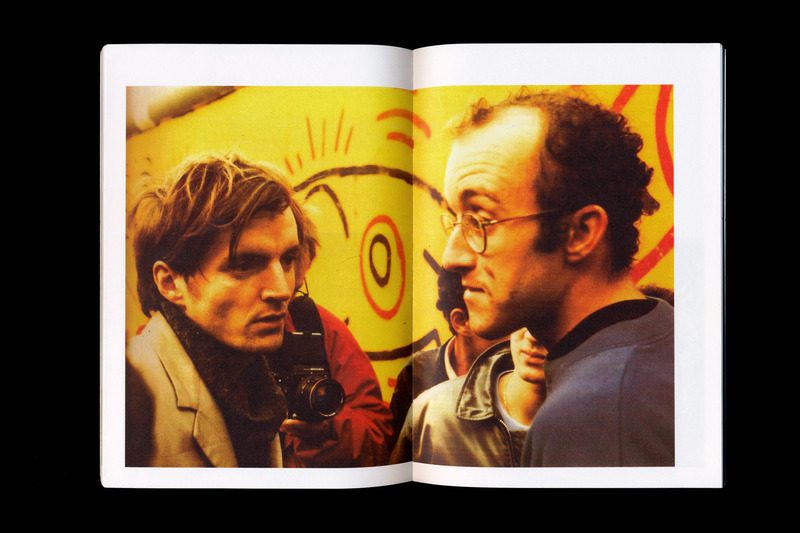 Thierry Noir: A Retrospective was the first solo exhibition of the infamous Berlin Wall artist Thierry Noir. 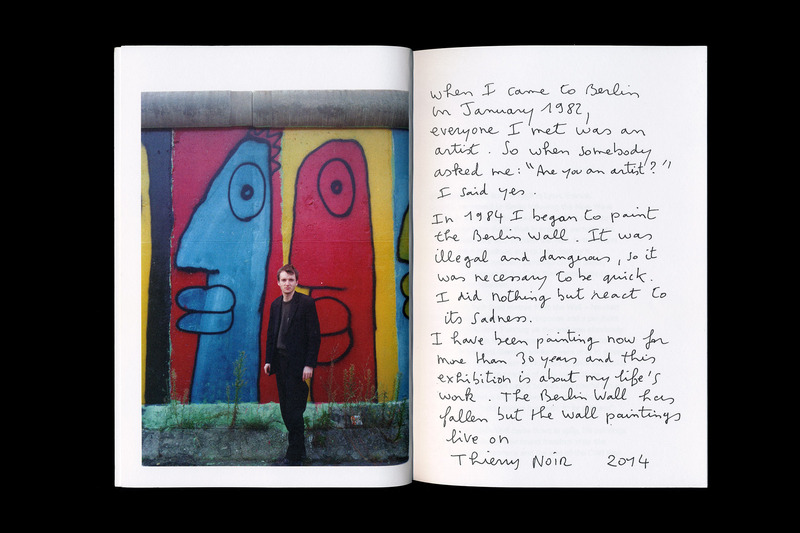 In 1984, Noir was the first artist to illegally paint mile upon mile of the Berlin Wall. 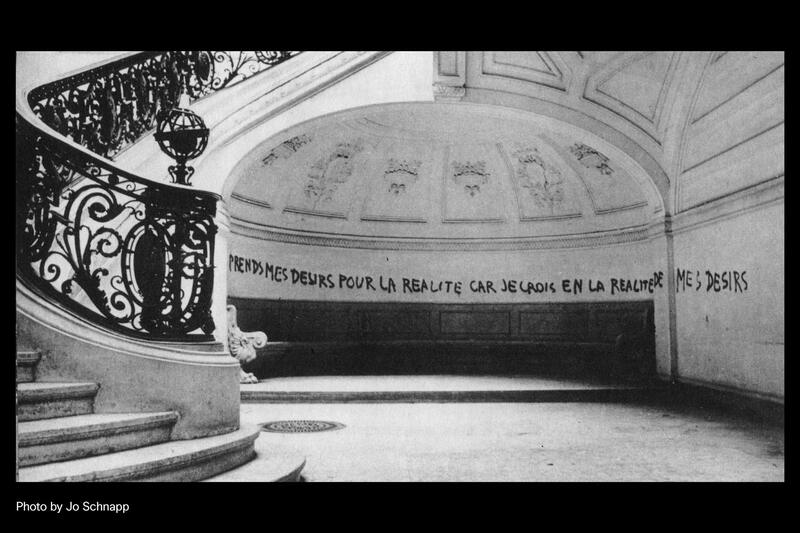 Noir wanted to perform one real revolutionary act: to paint the Wall, to transform it, to make it ridiculous, and ultimately to help destroy it. 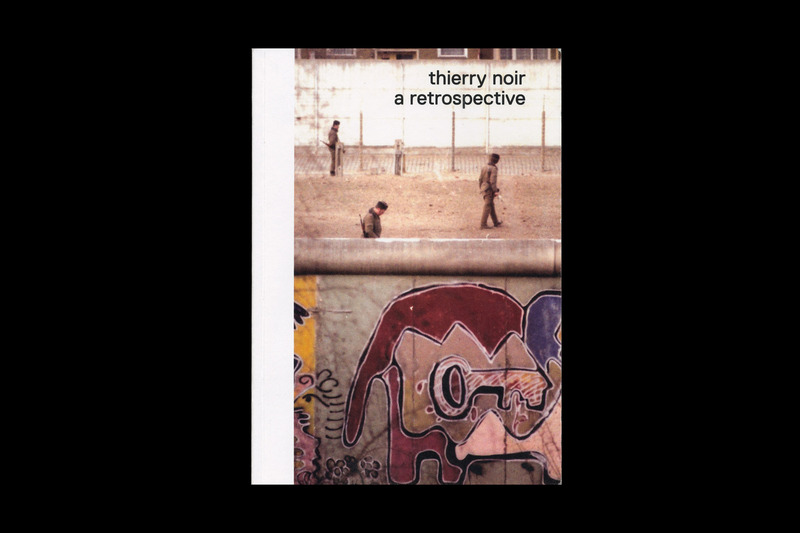 Noir’s iconic, bright and seemingly innocent works painted on this deadly border symbolised a sole act of defiance and a lone voice of freedom. 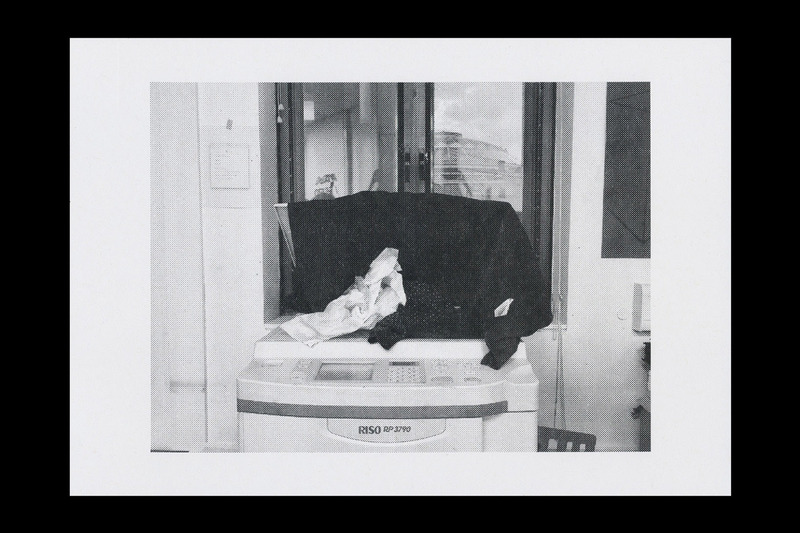 In this landmark exhibition at Howard Griffin Gallery in Shoreditch, new original works were exhibited alongside rarely seen photographs, interviews and films, juxtaposing old and new to reassess Noir’s enduring legacy and contribution to society. 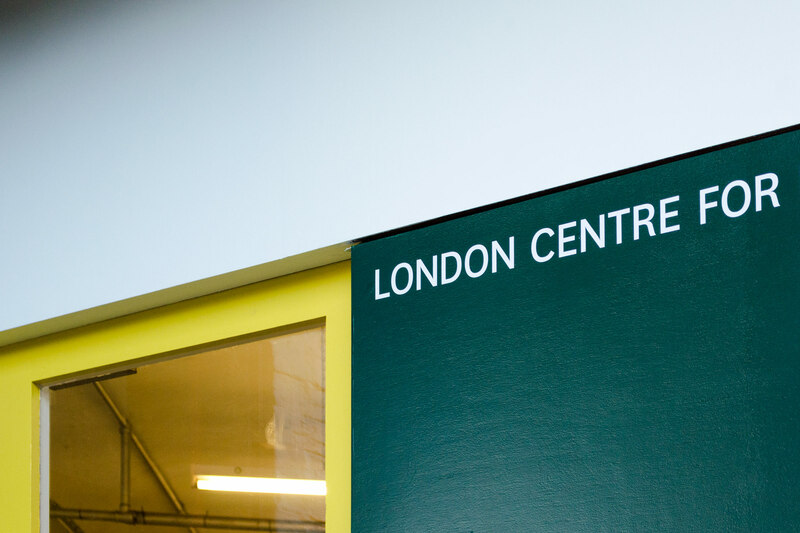 Central Saint Martins College of Art and Design celebrated the launch of CSM Public on January 14th 2016 with Art, Design and the Common Good – an evening of debate and exhibitions exploring how art and design schools can collaborate with academic, corporate, non-profit, and government organisations to develop new ways of engaging with societal issues. 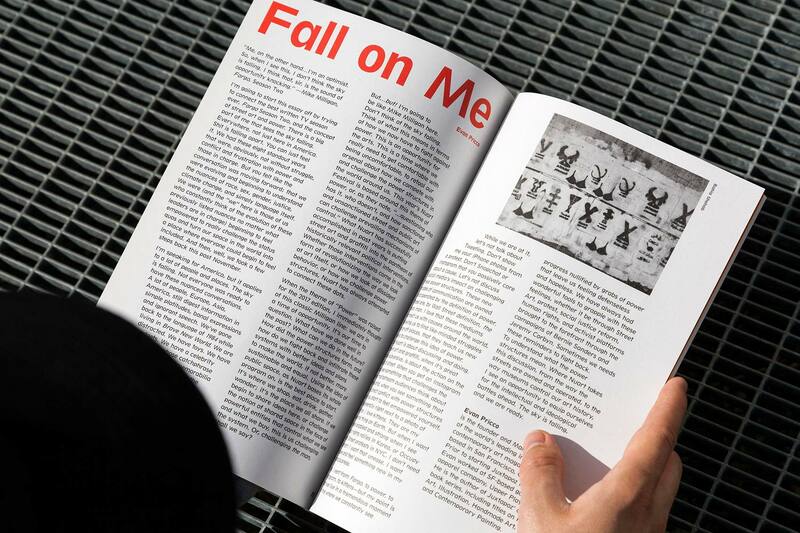 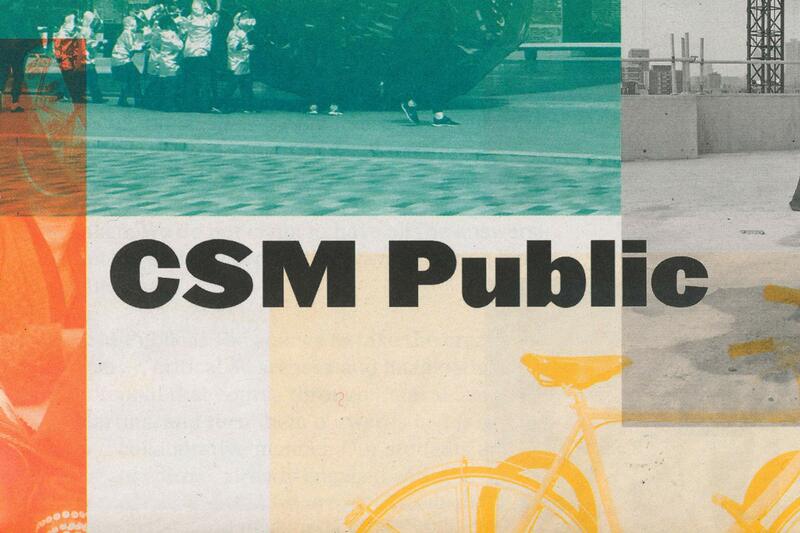 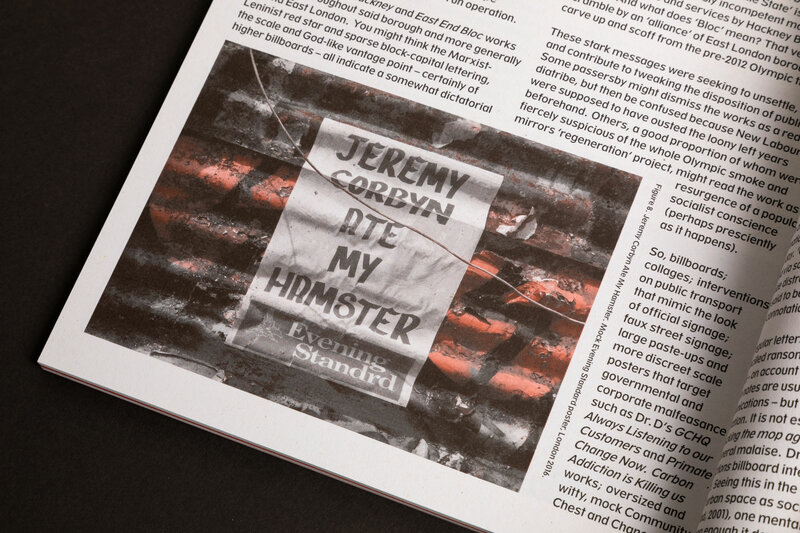 For the launch, we were approached to design a tabloid publication to showcase the projects that CSM have already initiated in the spirit of CSM Public. 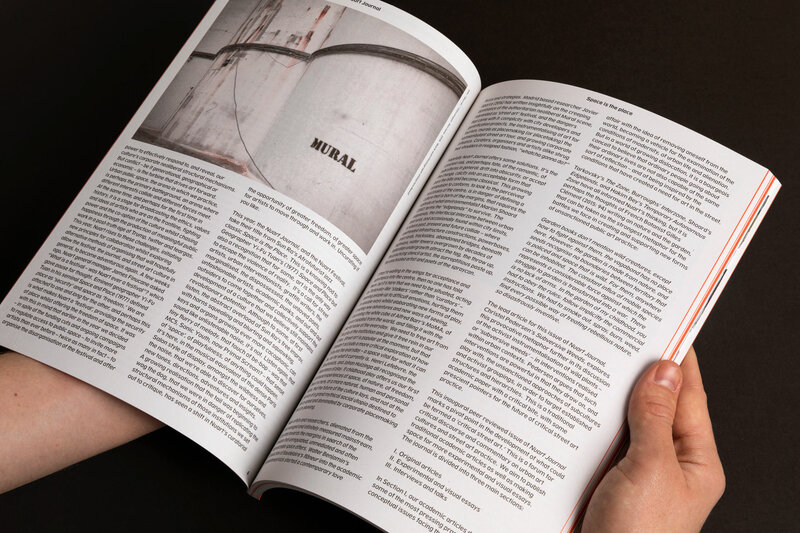 With a good mix of articles, essays, student spotlights, and box-outs appearing in the publication, we developed a flexible layout combining the structure of a newspaper and the variation of a magazine in order to unify all the content and present it in a simple, logical way without making the publication feel static. 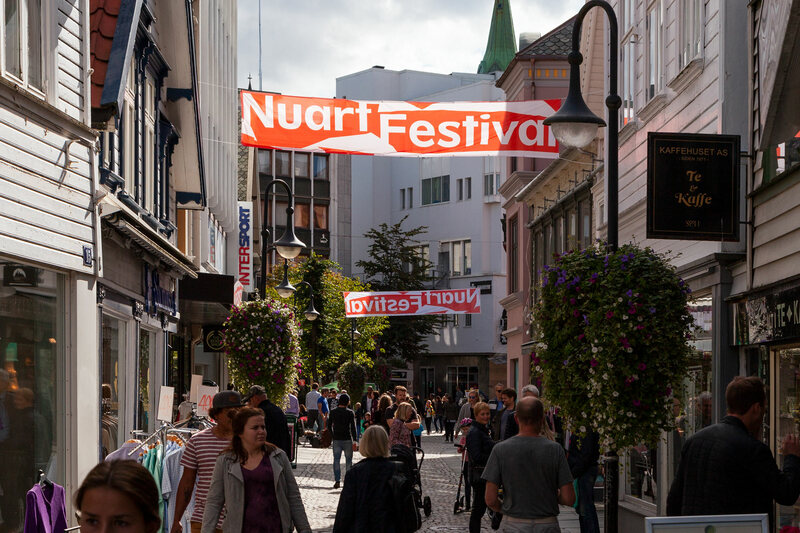 Nuart Festival is one of the world’s biggest and most well-known street art festivals; and the only one of its kind; being set in the context of Stavanger; a small city on the south-west coast of Norway. 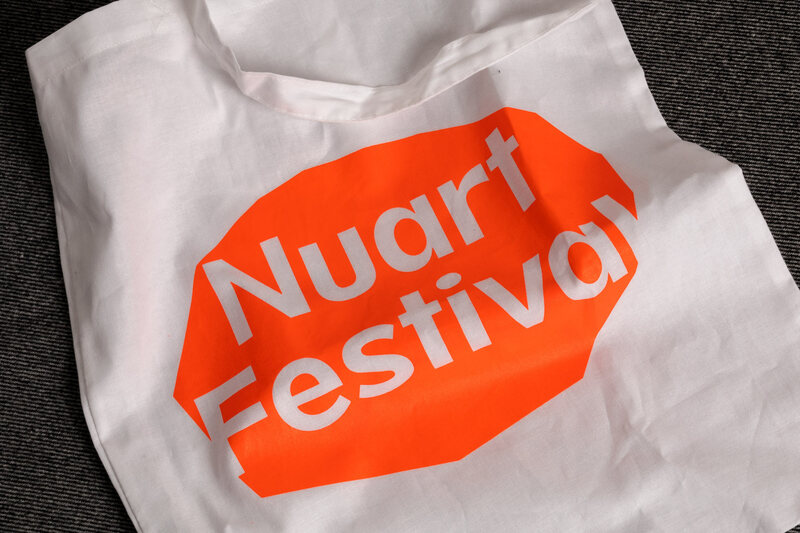 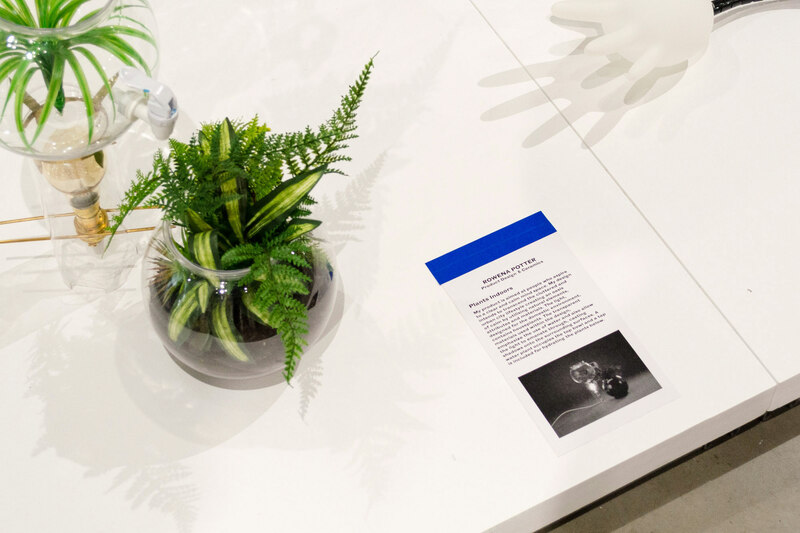 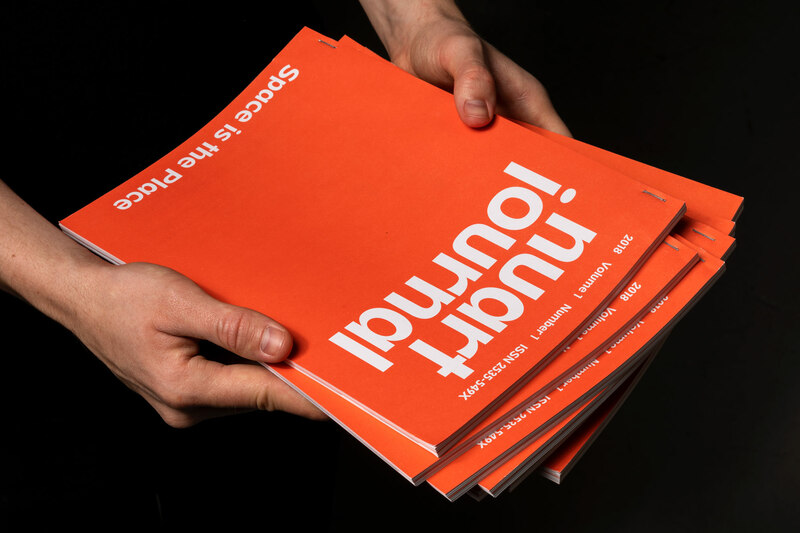 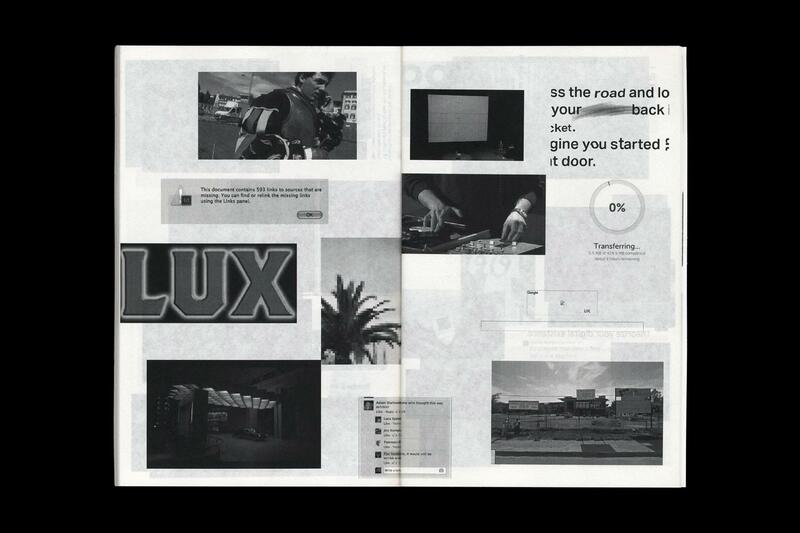 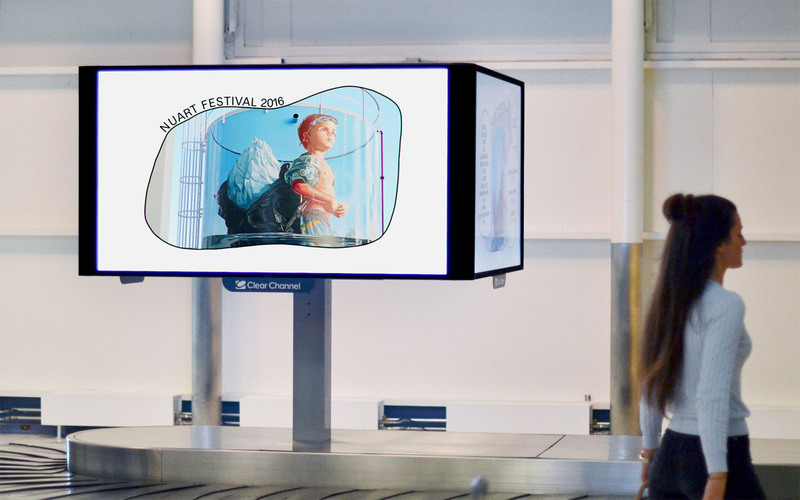 Serving as the catalog for the 2015 version of the festival and its accompanying academic program Nuart Plus, this publication consisted of events programme, artist profiles, artist interviews, and critical essays. 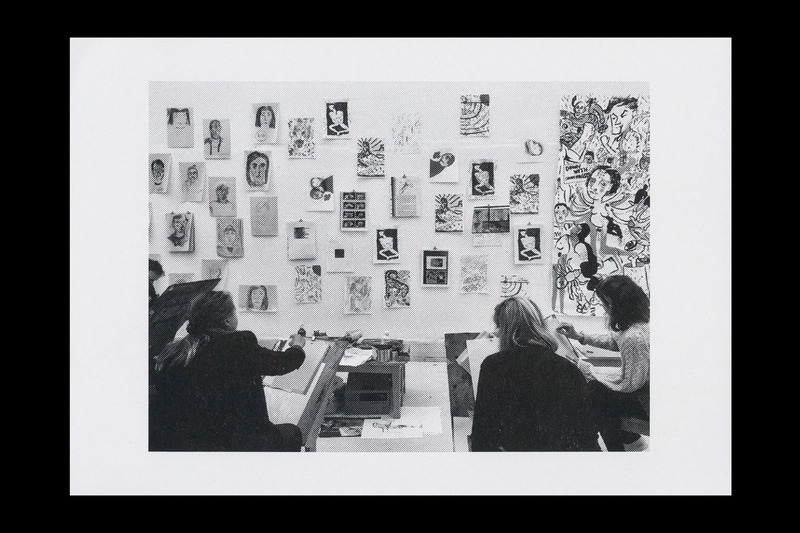 The programme was themed around Situationism & Play, and explored how Punk, Graffiti and Street Art have been affected by increasing commercial and academic interest in these movements. 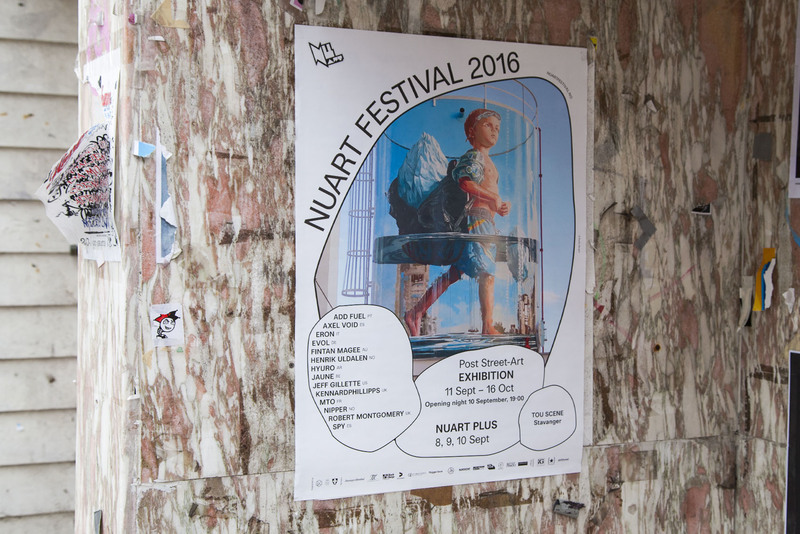 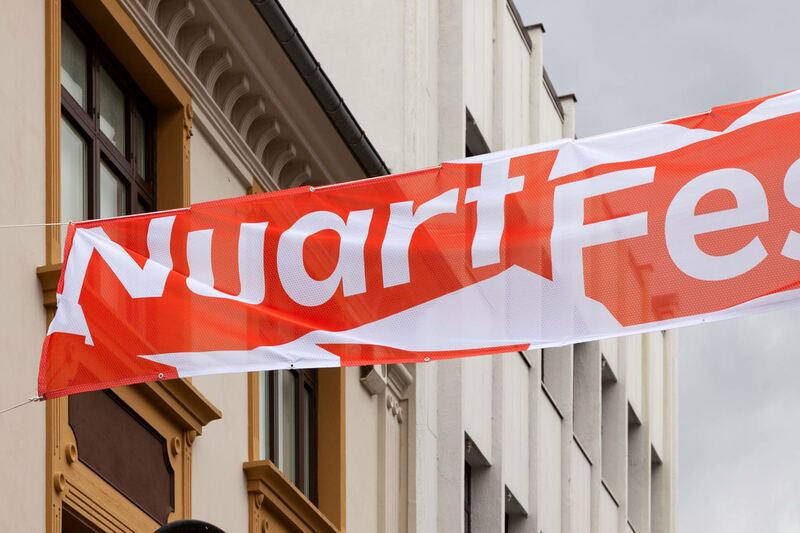 2015 marked the fifteenth anniversary of the Nuart Festival. 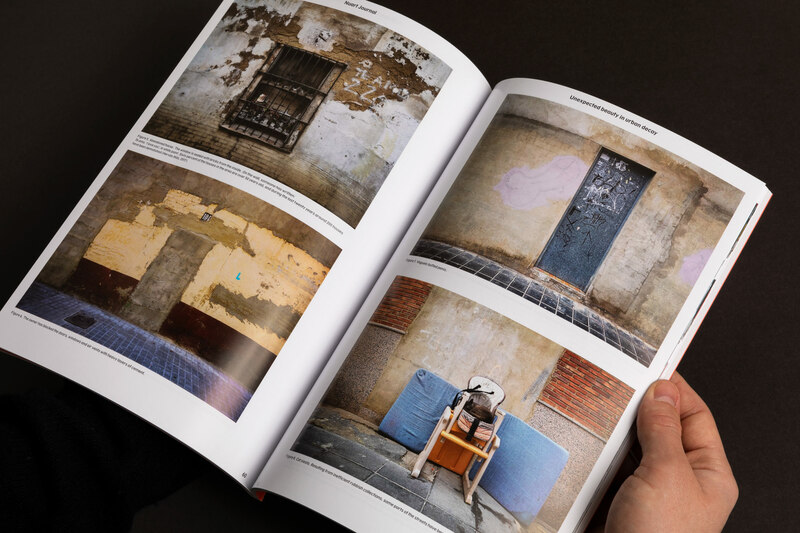 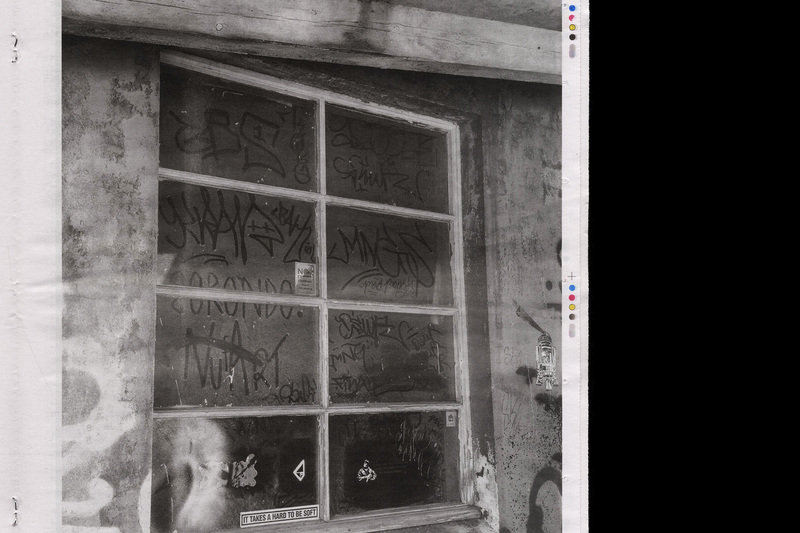 As a commemoration of the years passed, we took a series of snapshots of “classic” Nuart pieces; old, forgotten, fading, or generally overlooked artworks around the city; and scattered them throughout the publication. 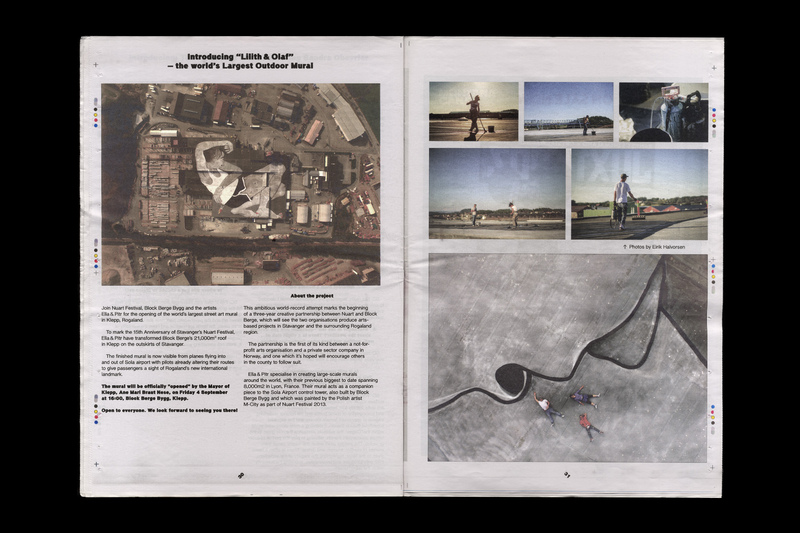 A rusty, overgrown Pøbel made the cover page. 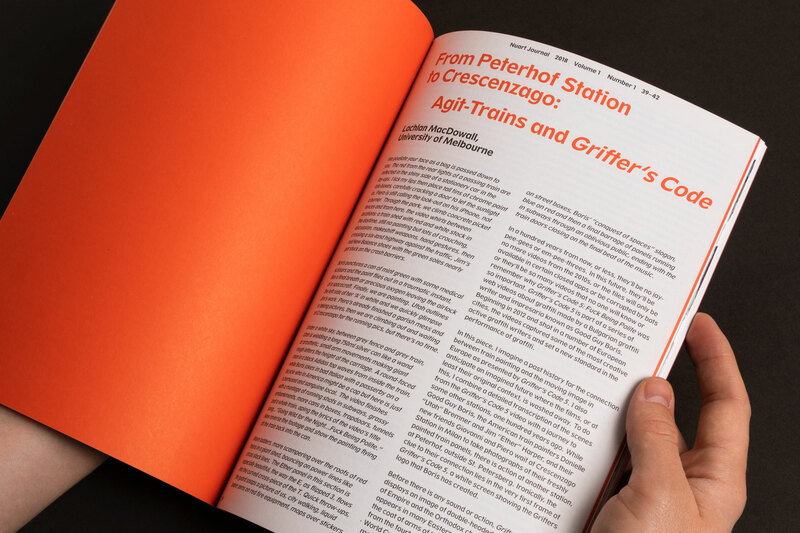 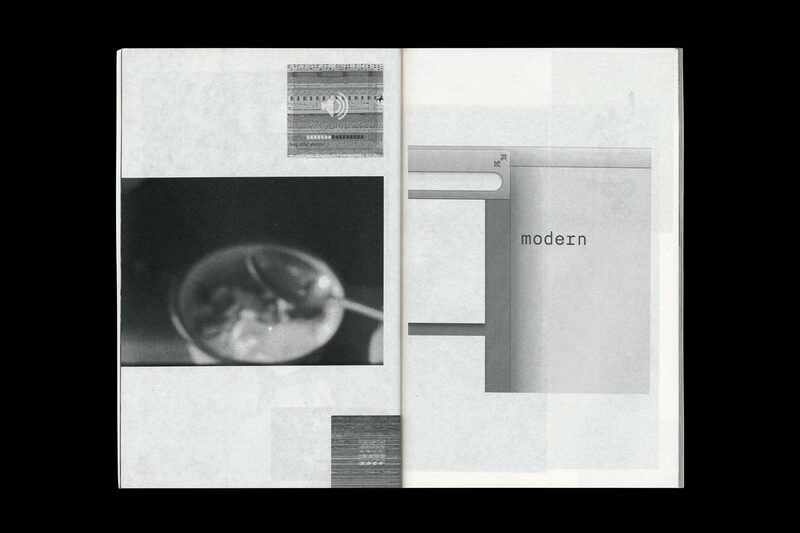 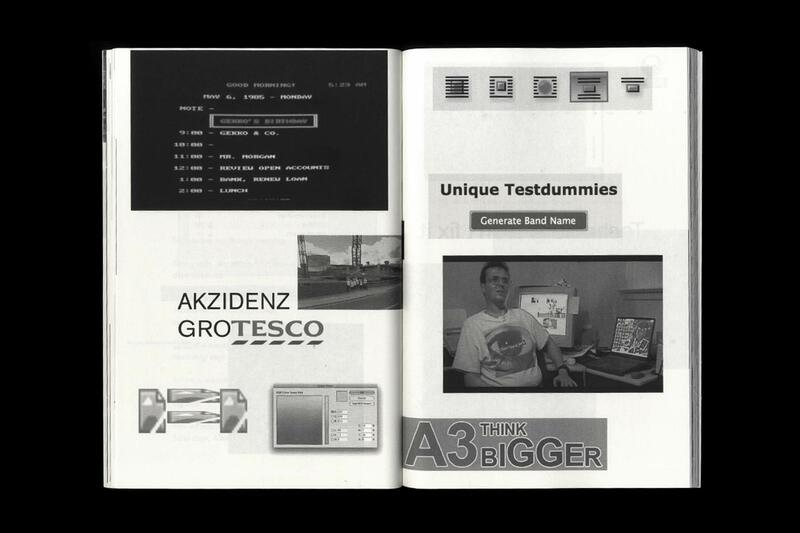 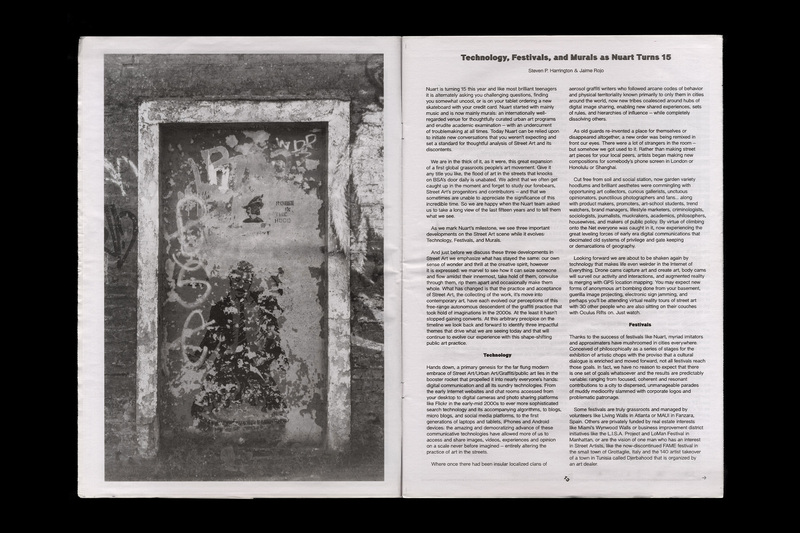 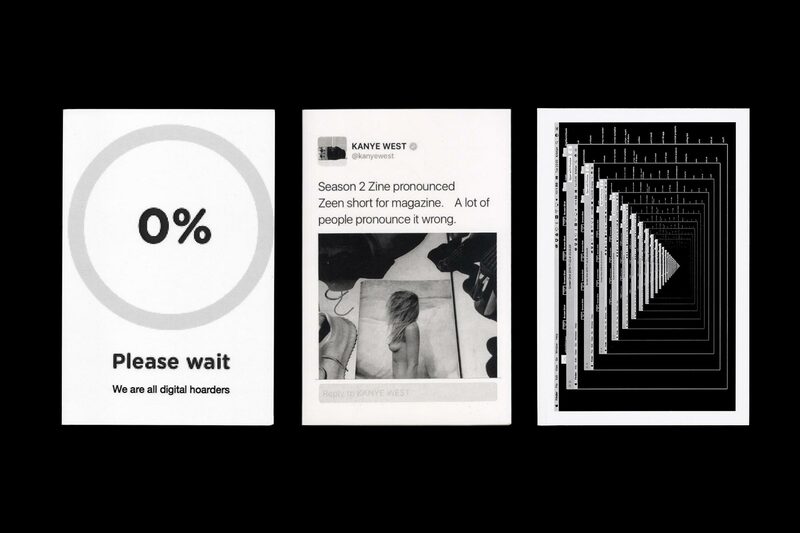 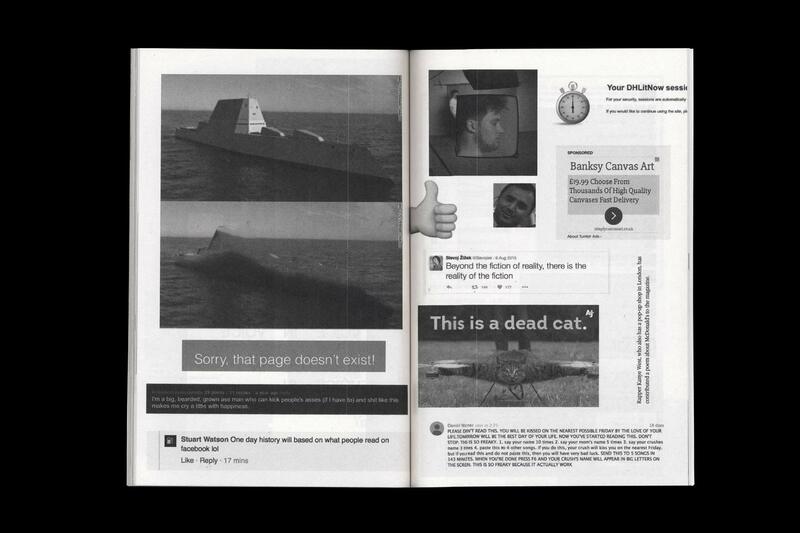 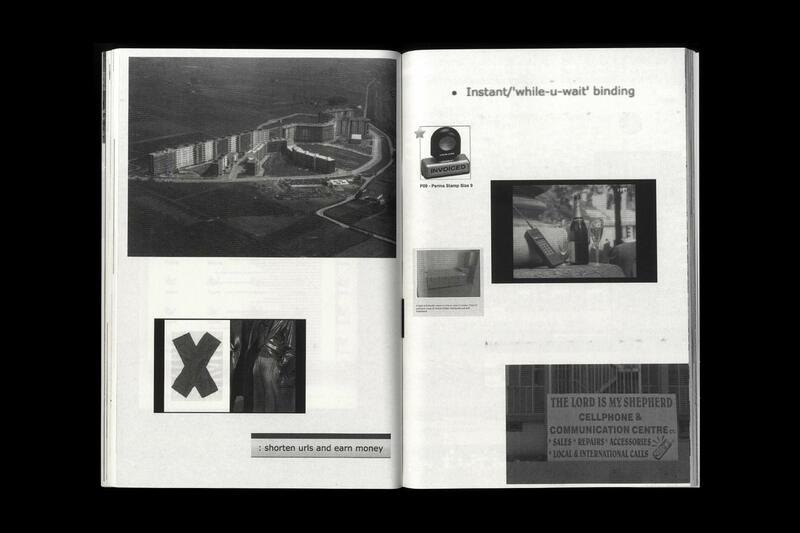 ZEEN–ZEEN is a developing series of publications exploring the concept of digital hoarding. 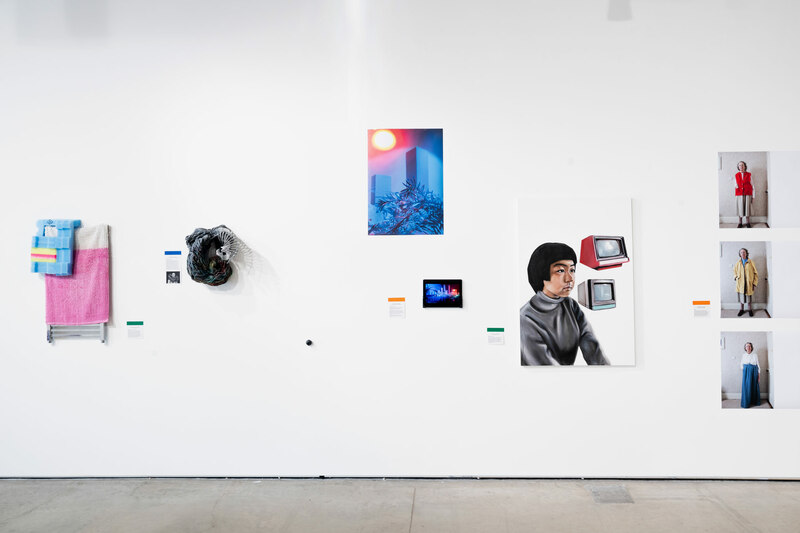 It consists of the collections of screen shots, downloads, and other digitally acquired imagery sitting on the desktops of the two authors (us). 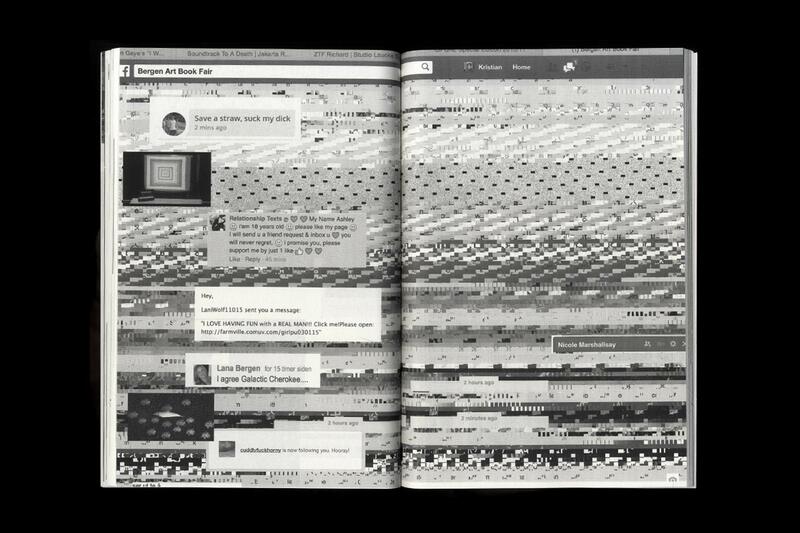 We realised that “digital hoarding” is a side-effect of what we do day-to-day; a kind of constant sense of research, a subconscious instinct that kicks in during daily routine, when suddenly we spot something of interest that prompts us to take a picture and drop it in a folder on the desktop, where under normal circumstances it would just stay untouched together with hundreds of others. 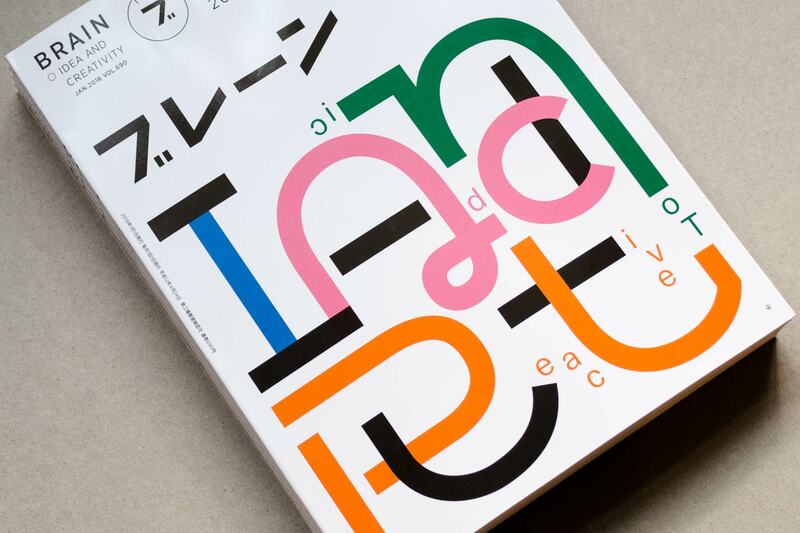 ZEEN–ZEEN is our way of making use of – and trying to make sense of – this “instinct”, and of presenting it to the world in a somewhat readable way. 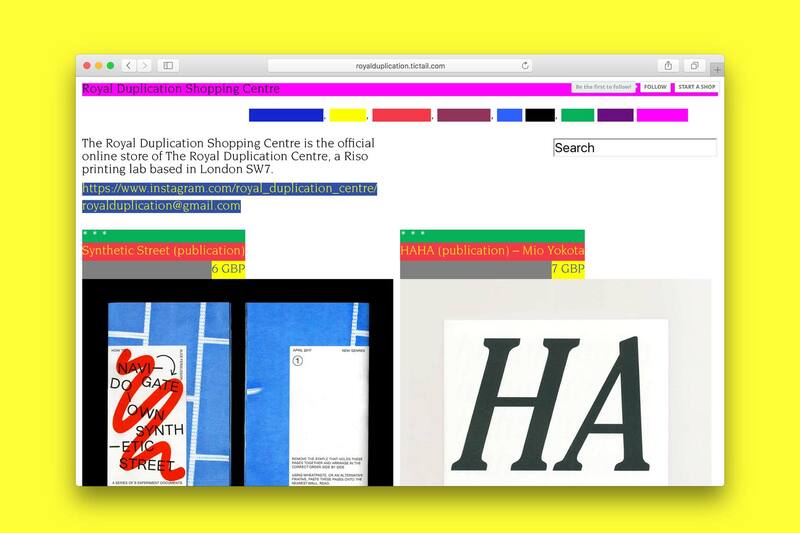 Haphazardously throwing the content onto the spreads without much consideration or curation is our way of maintaining the chaotic nature of the process and the internet in general. 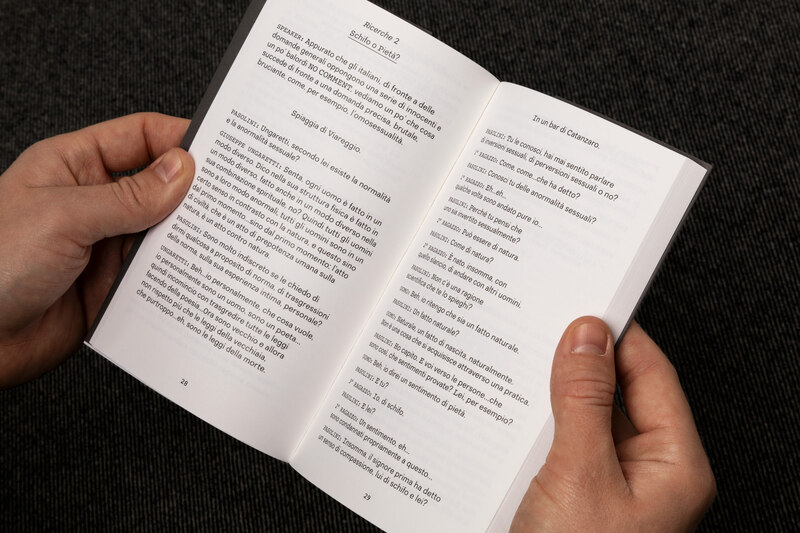 A book is the possibly most unlikely destiny for our material, but presenting it as a physical object somehow elevates the status of the random, digital content to a level where a reader might start reading things into it. 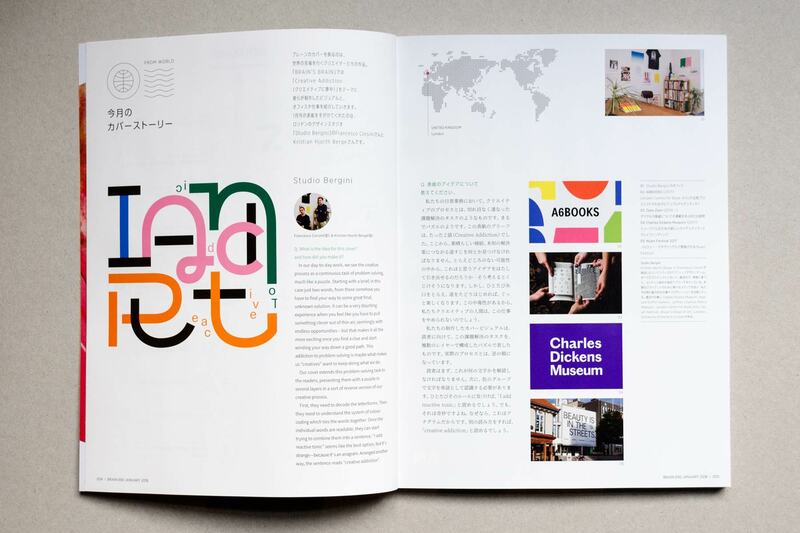 The ZEENs are printed and published through Lulu.com, and can be ordered through their website.